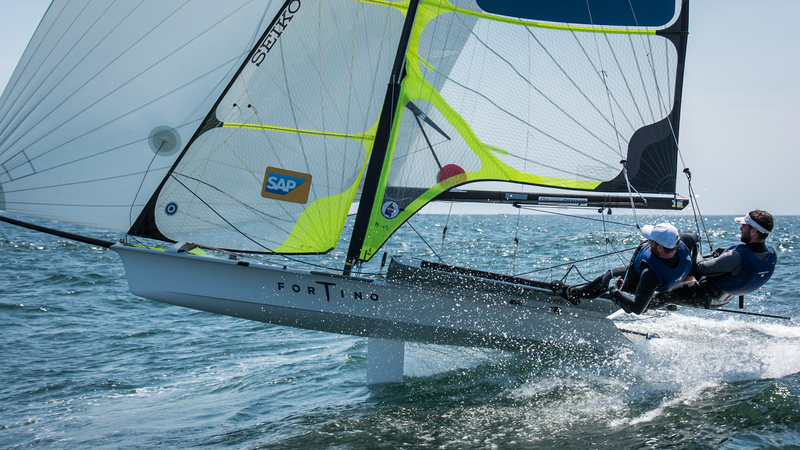 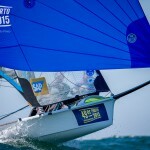 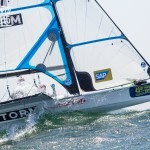 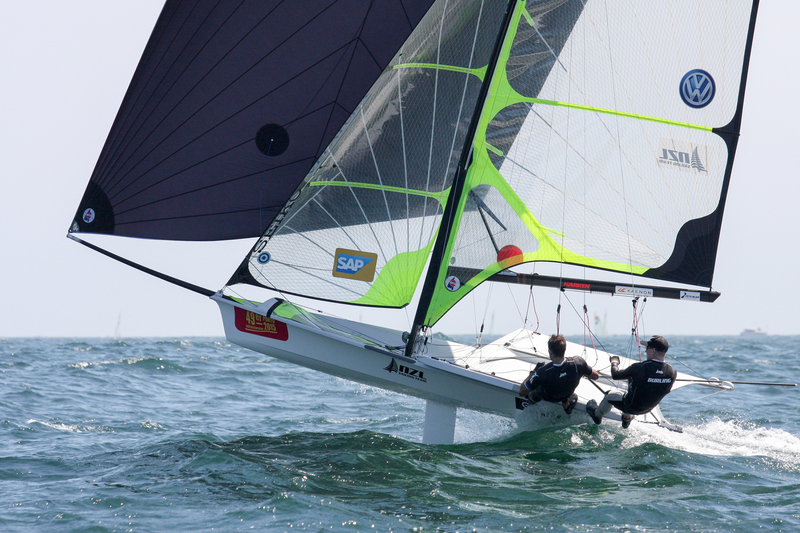 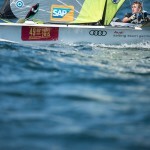 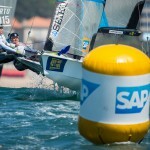 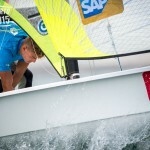 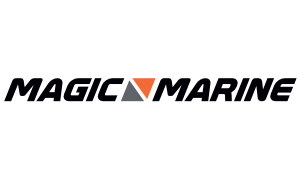 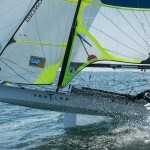 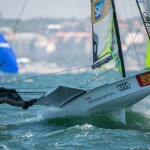 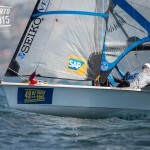 Link to SAP Analytics – for Gold fleet only. 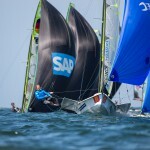 SAP Analytics from Thursday onwards. 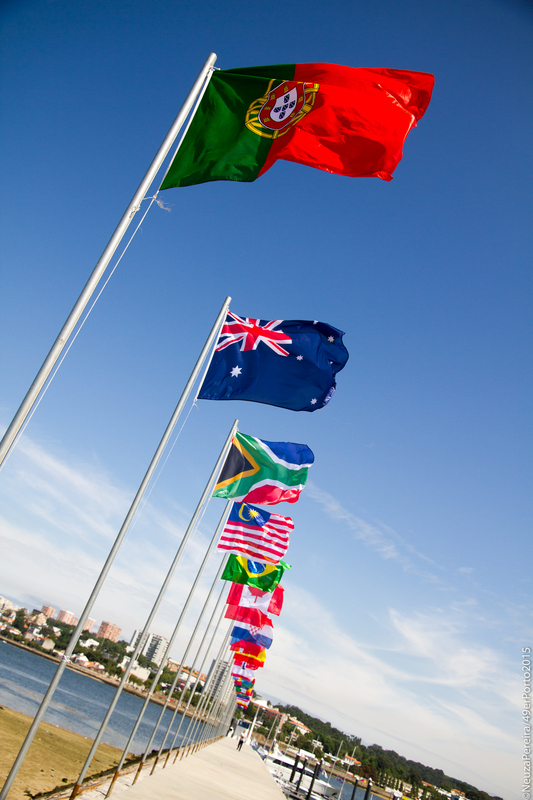 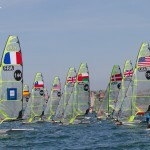 Trials or Selection - How to Qualify for the Games? 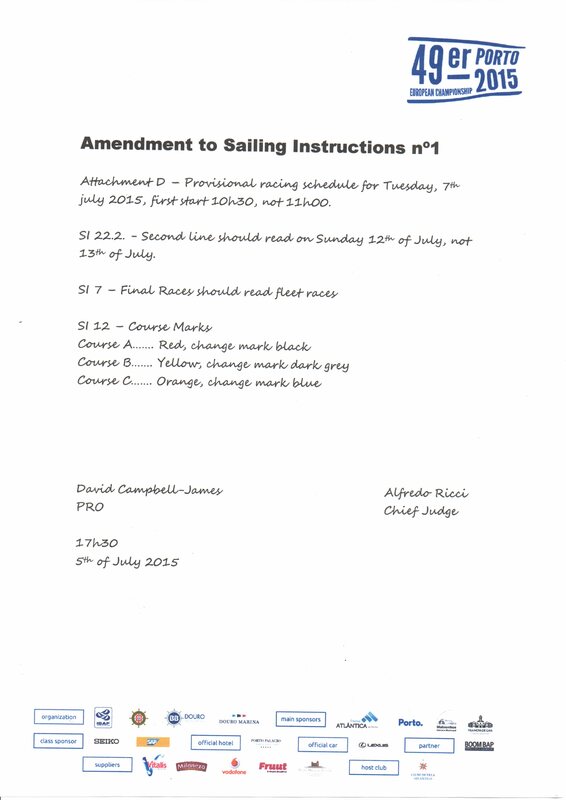 Updated June 18, section 1.7 added. 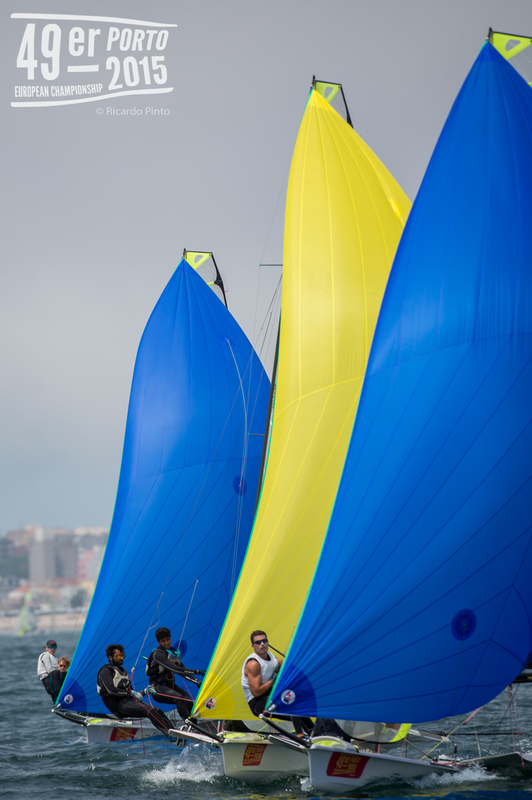 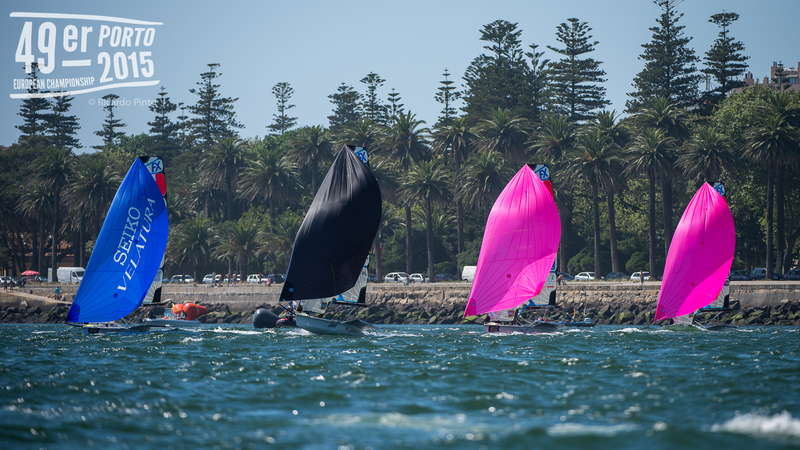 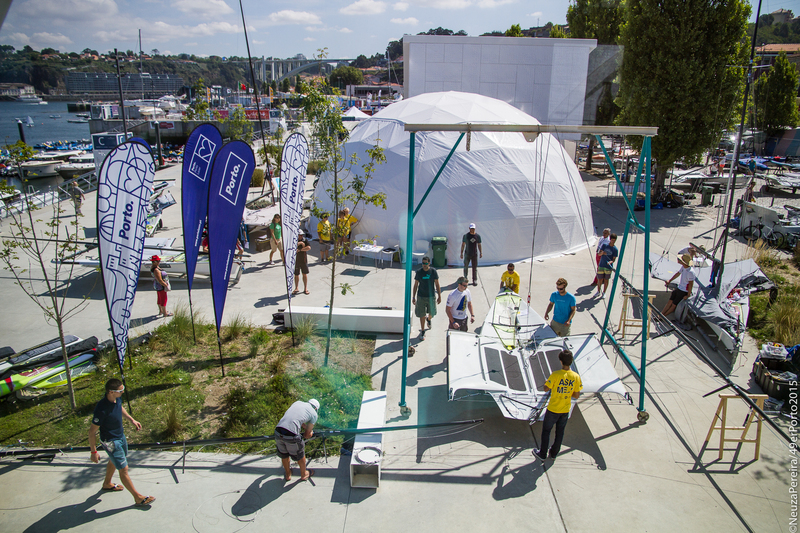 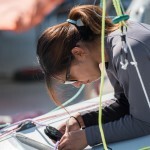 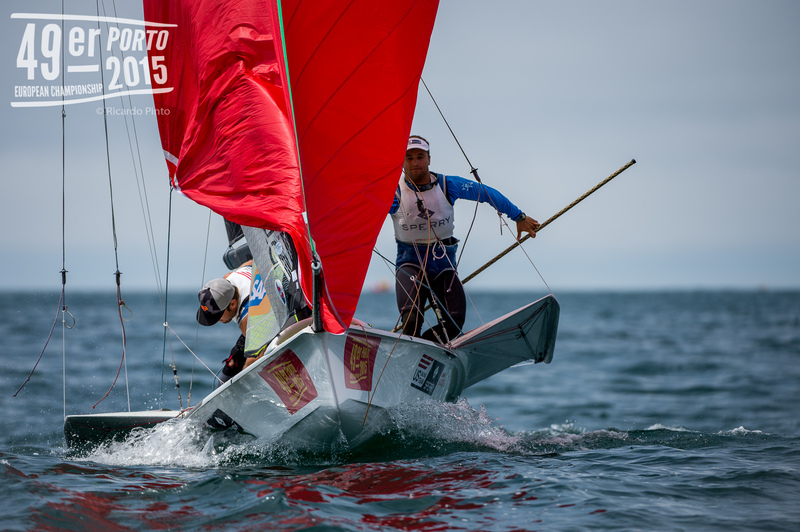 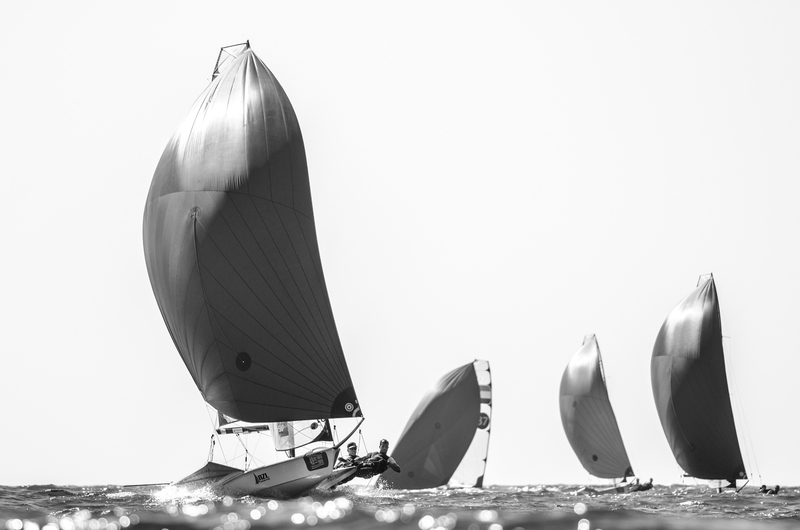 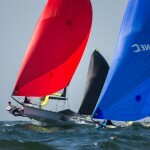 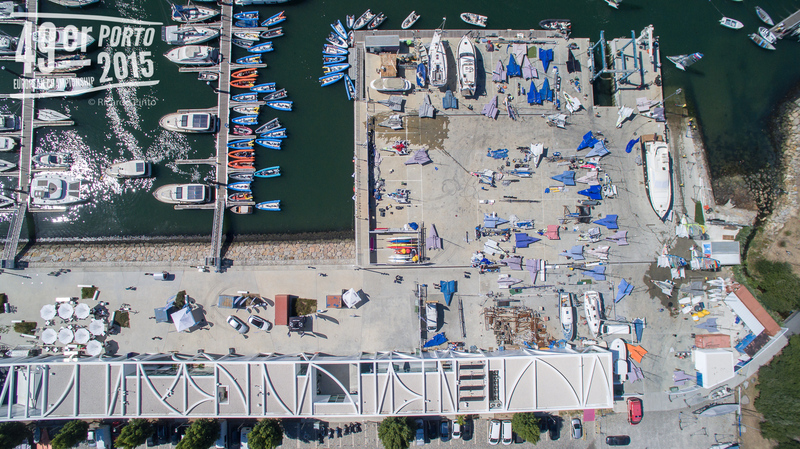 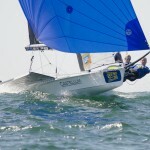 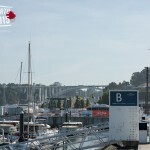 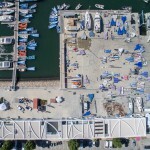 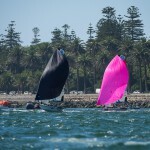 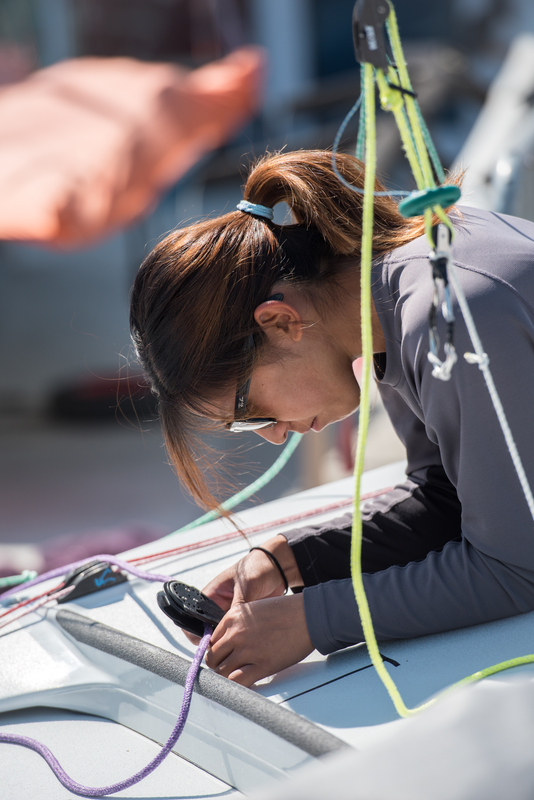 The 49er class is built on the foundation of the Sydney Harbor 18 foot skiff class and has been an Olympic event since 2000. 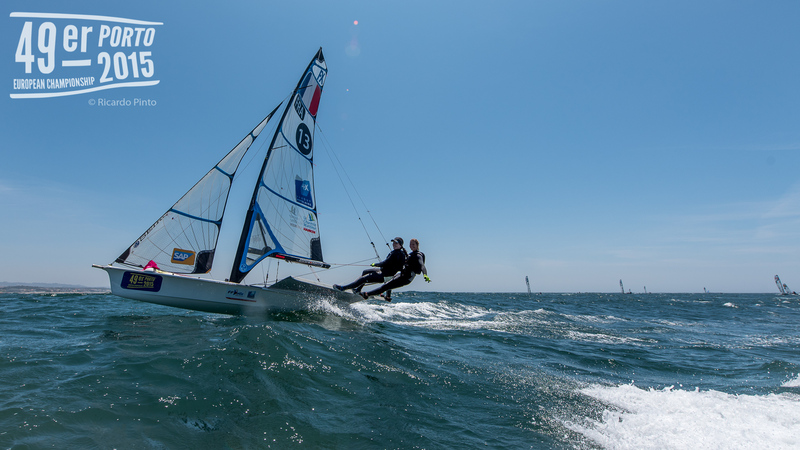 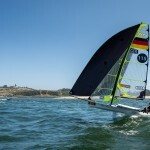 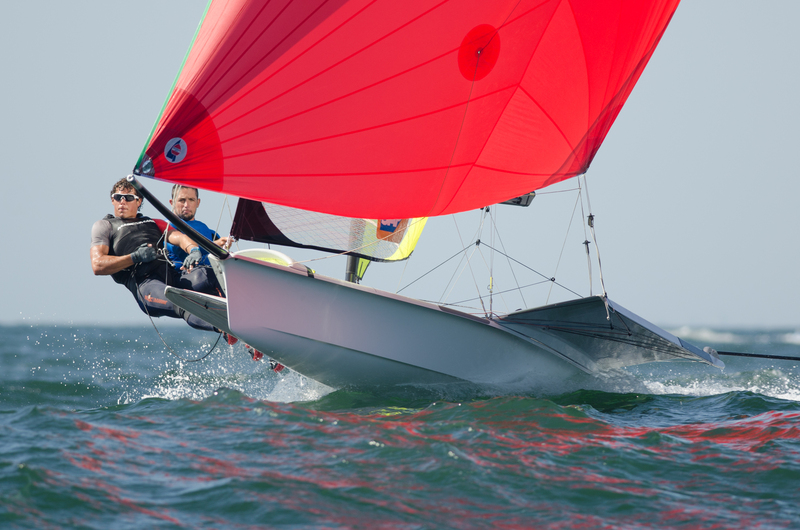 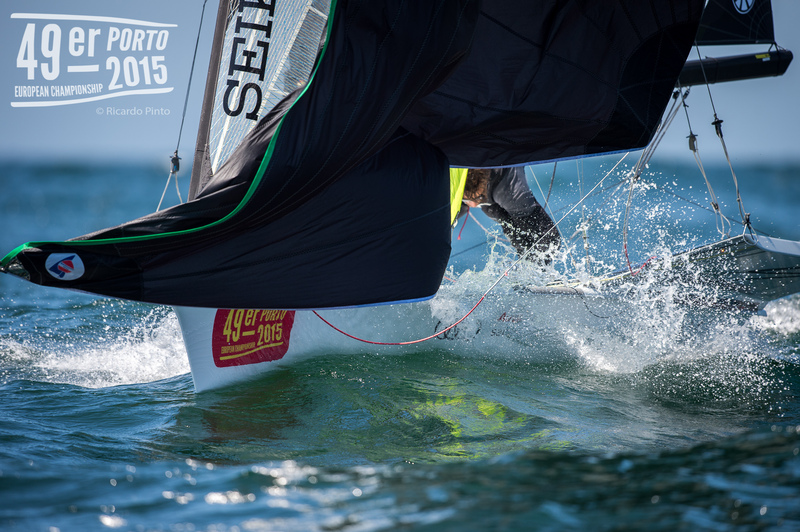 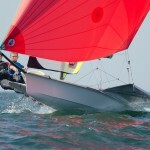 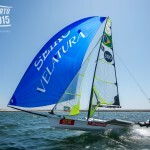 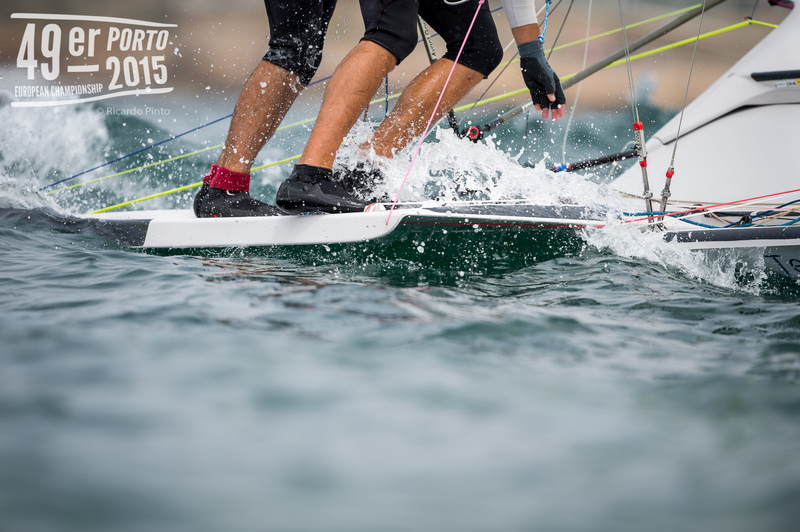 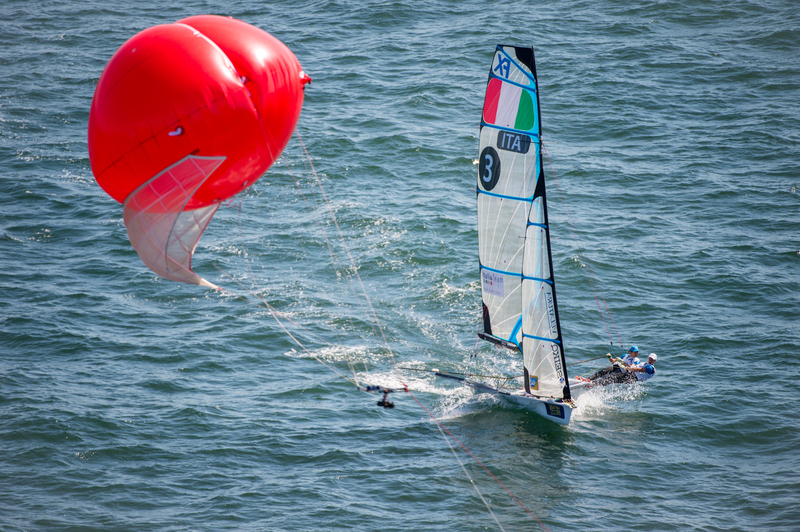 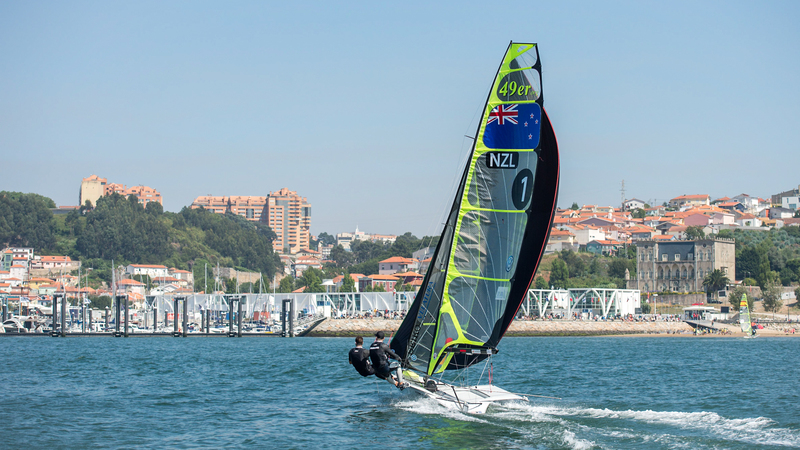 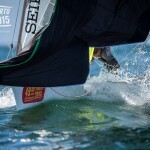 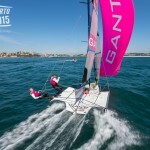 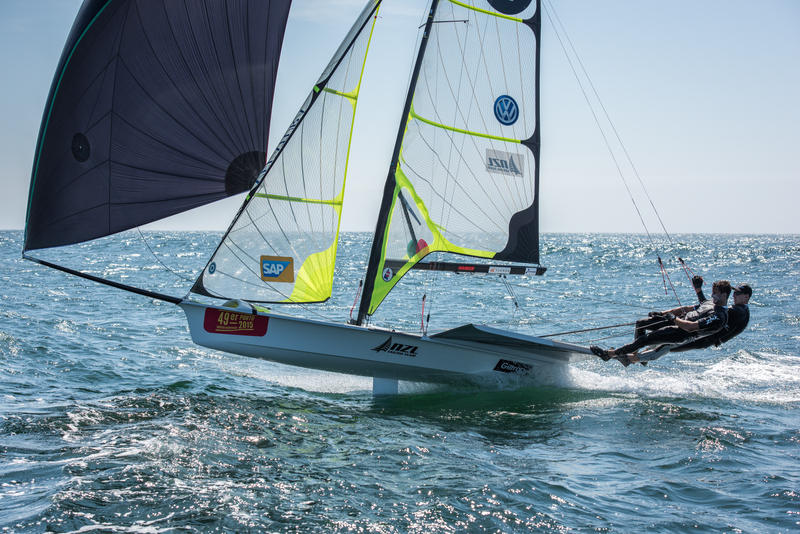 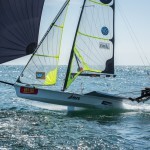 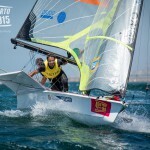 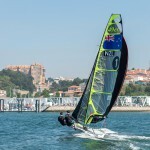 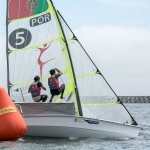 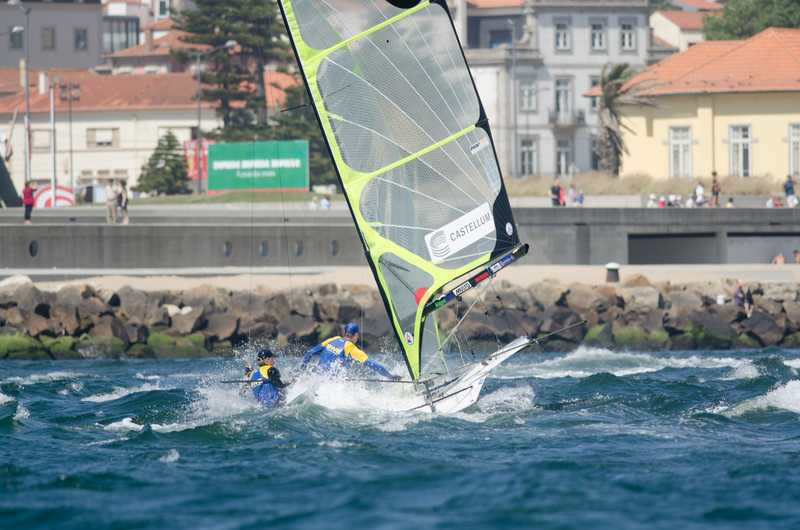 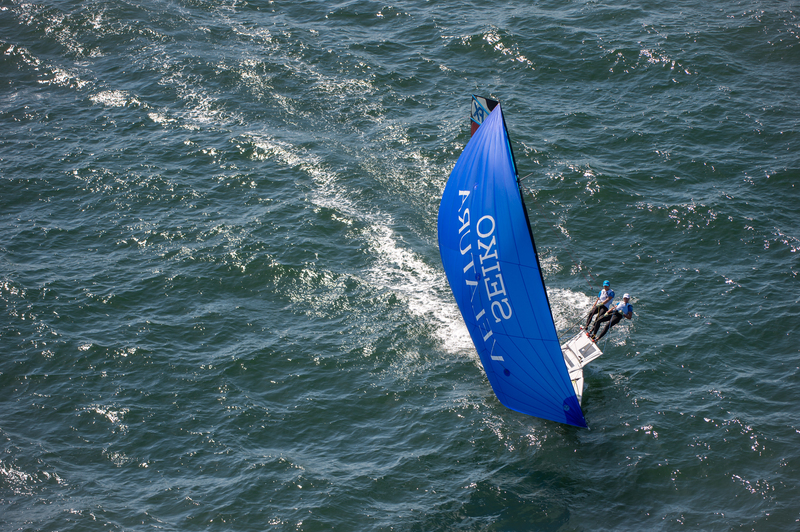 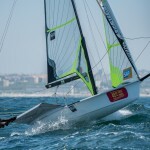 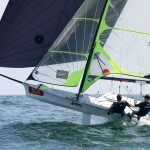 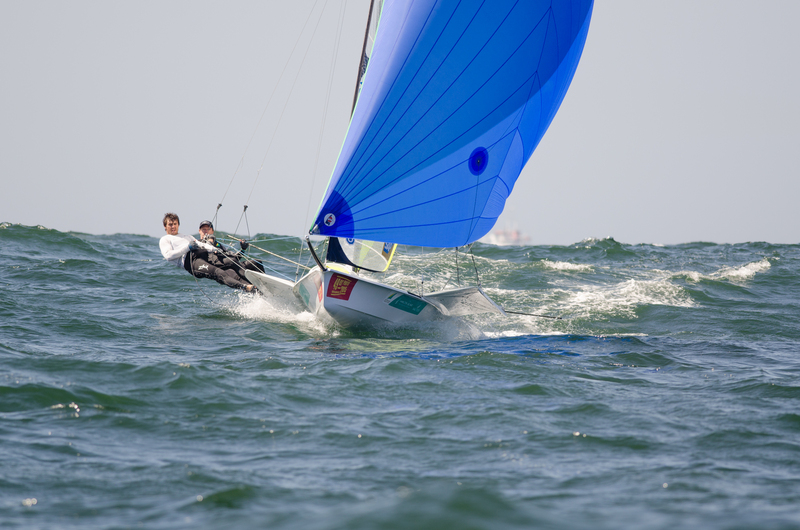 The 49erFX will be making it’s first appearance at the Olympics in Rio 2016. 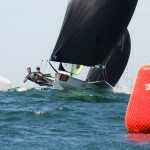 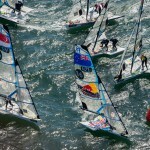 These boats are thrilling to watch and are sailed by the worlds best. 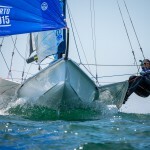 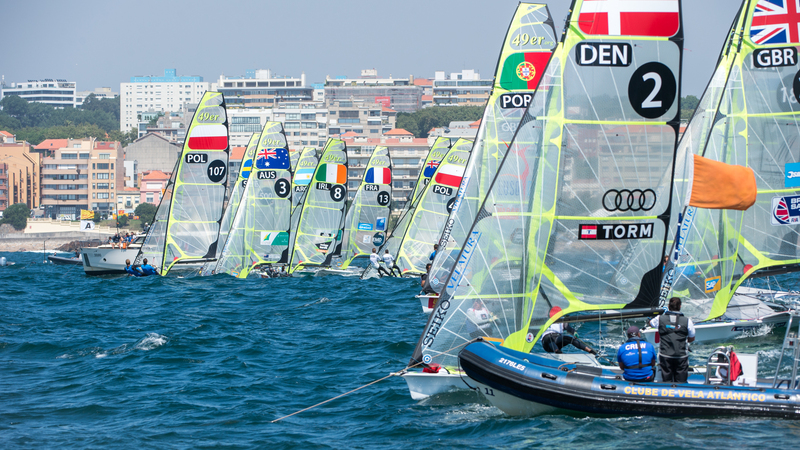 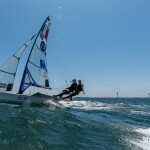 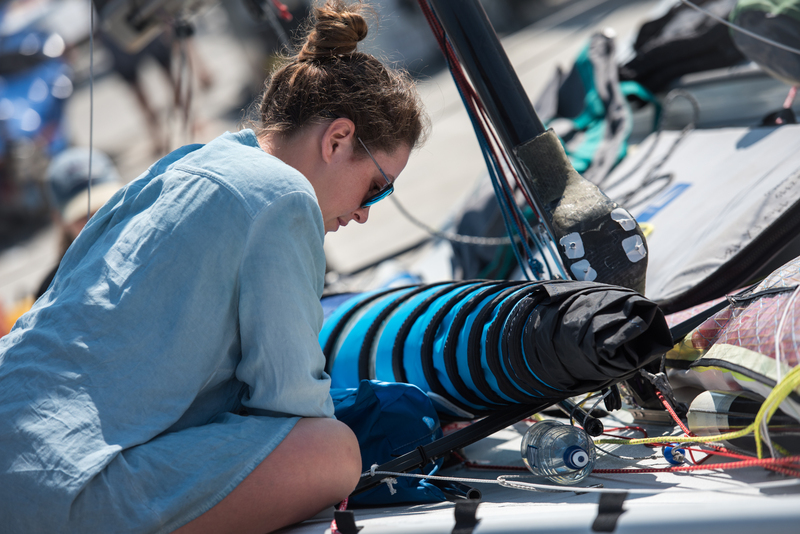 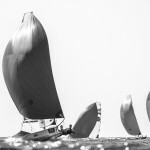 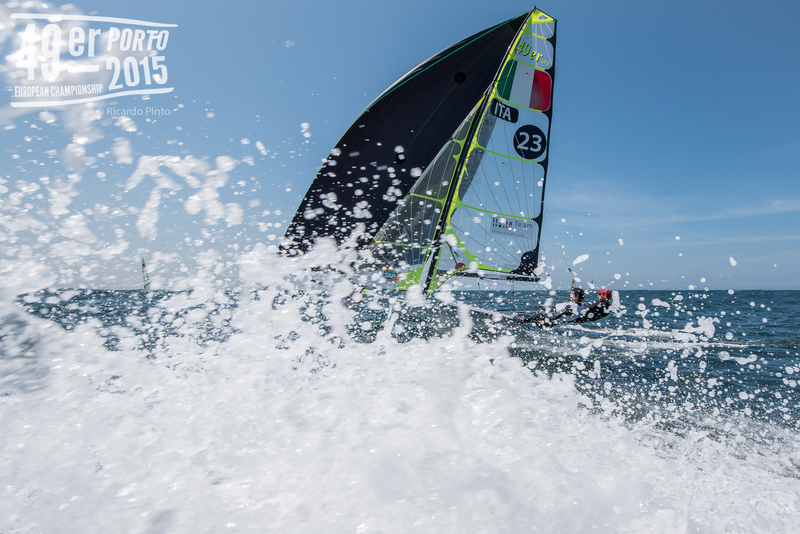 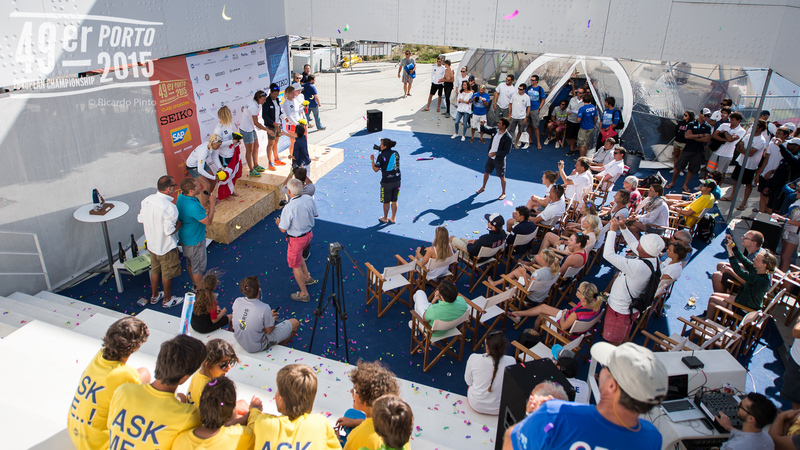 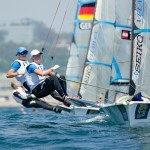 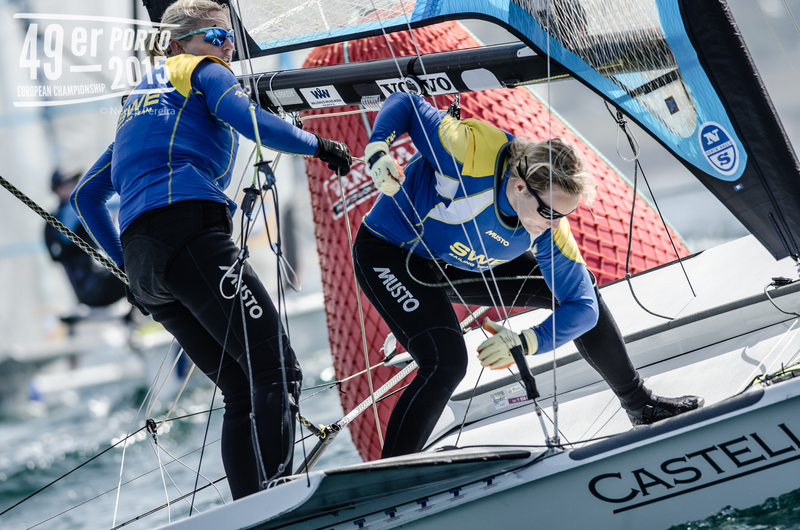 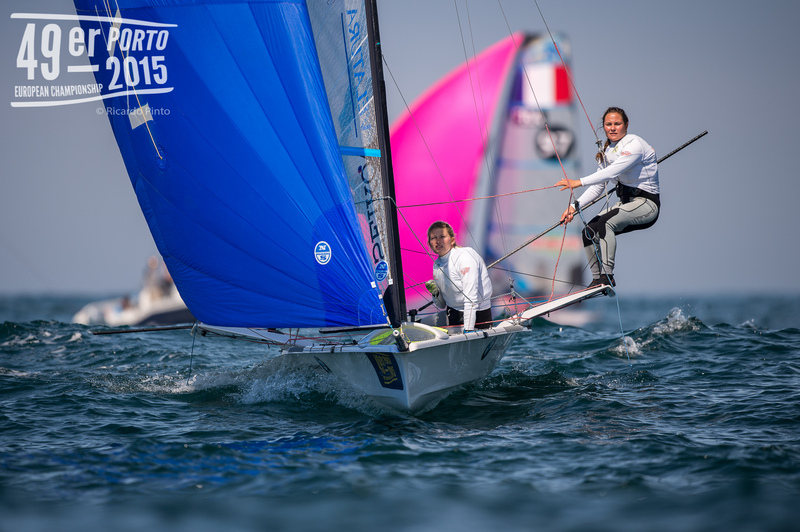 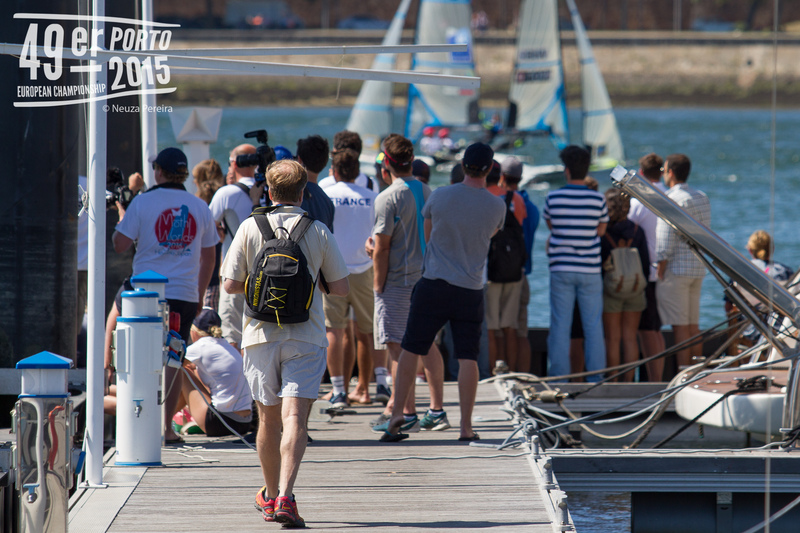 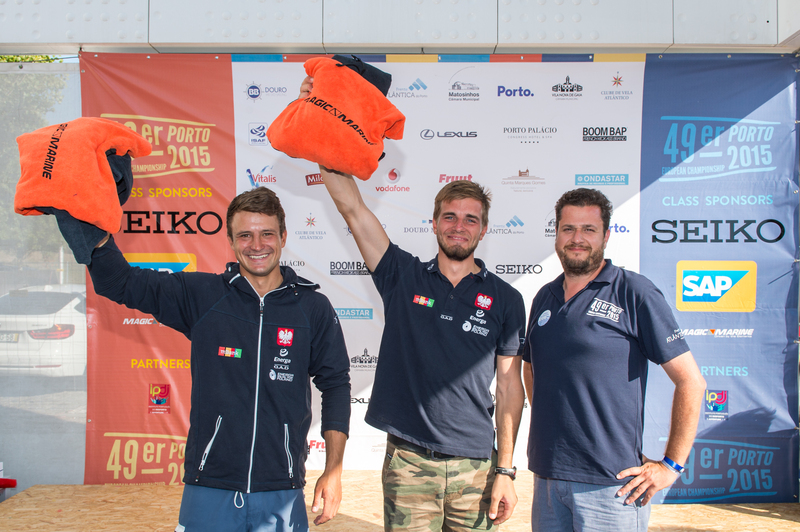 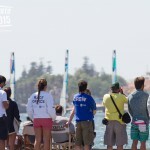 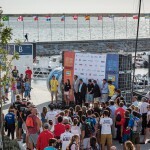 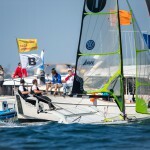 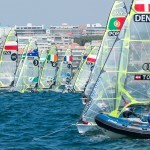 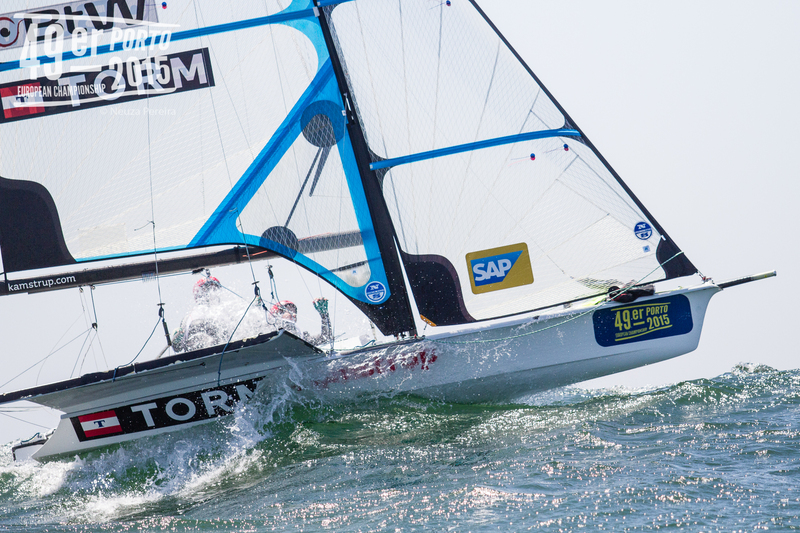 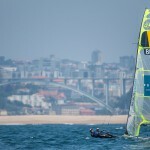 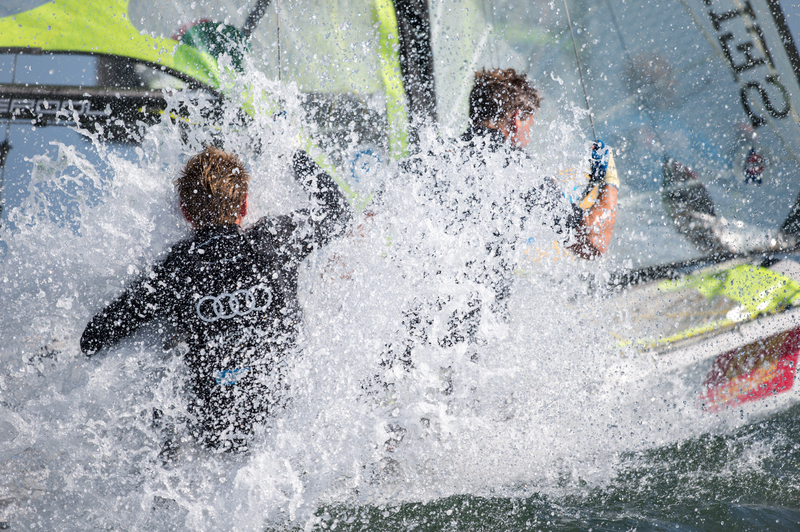 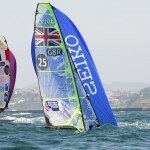 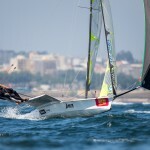 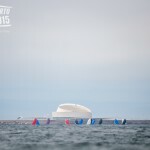 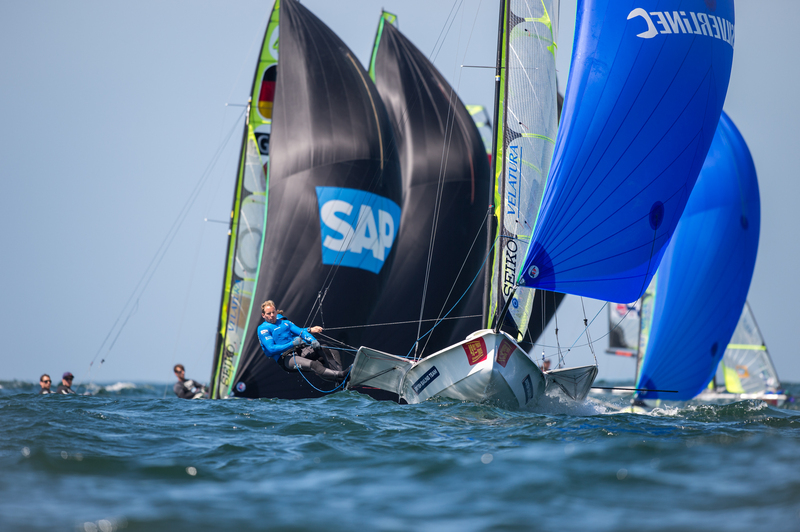 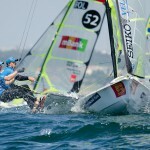 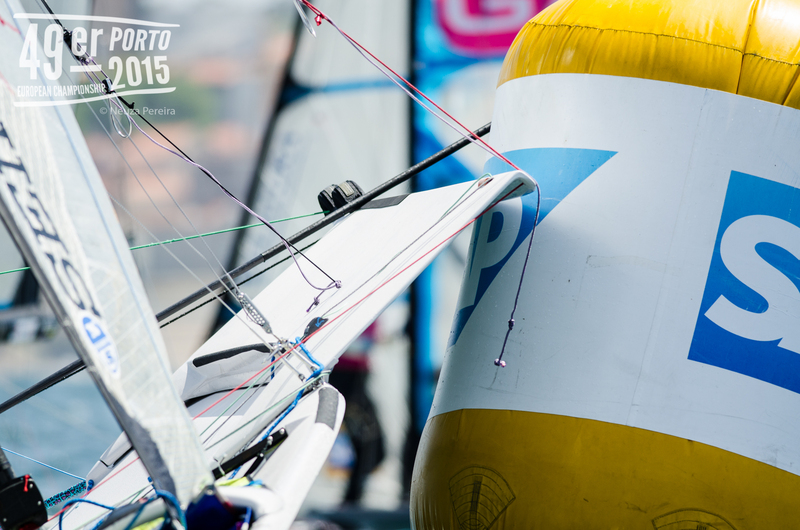 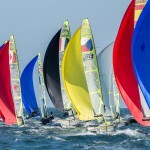 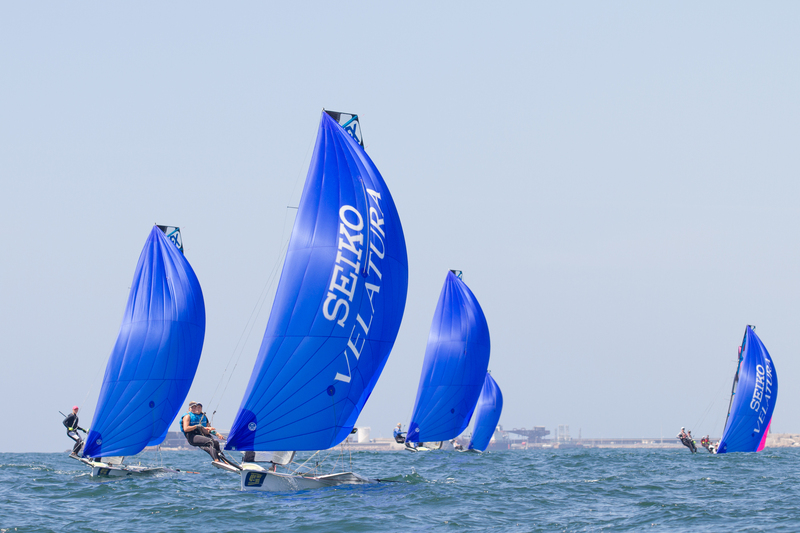 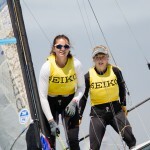 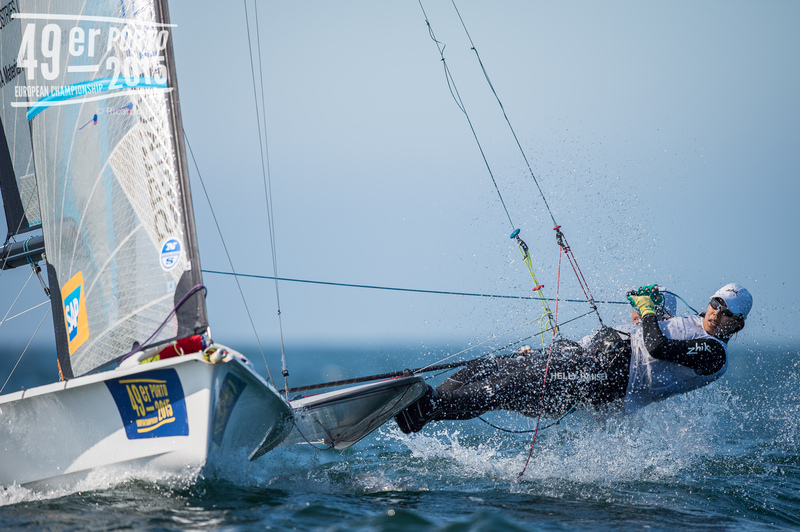 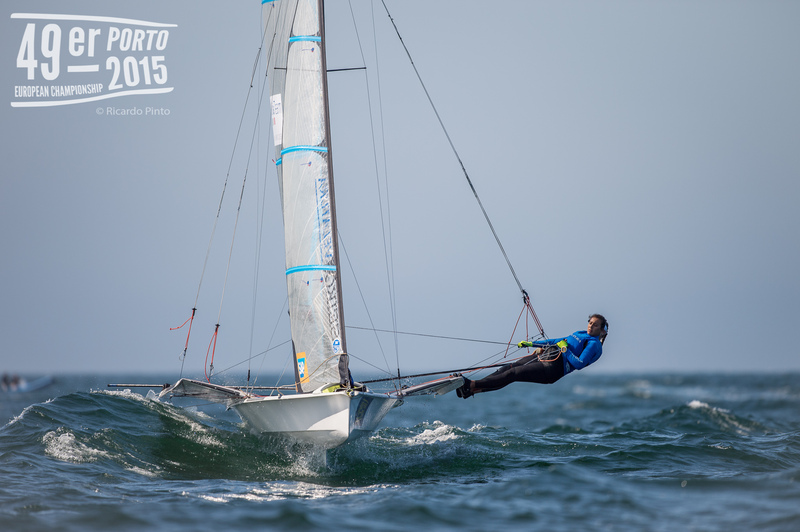 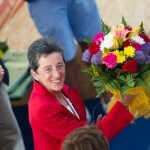 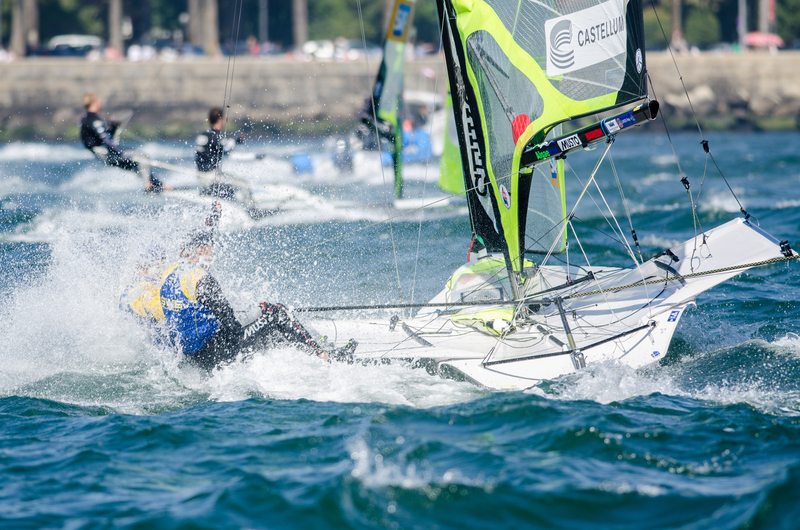 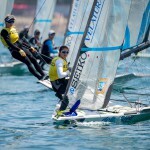 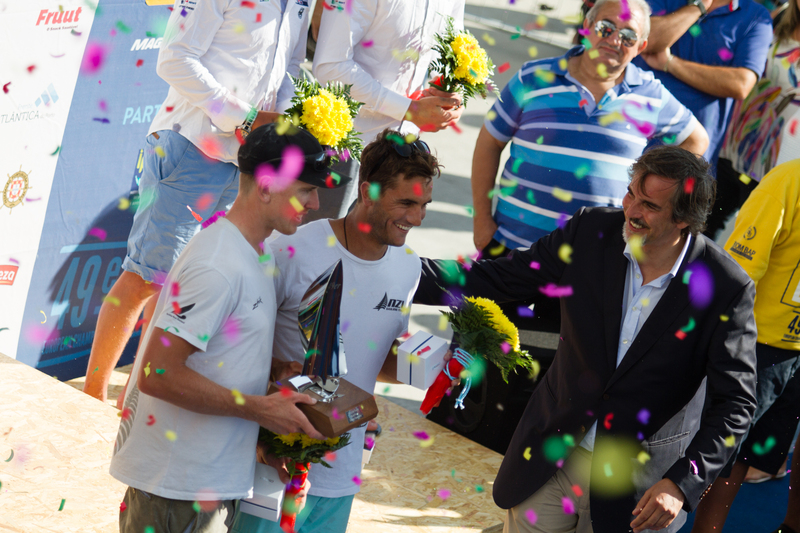 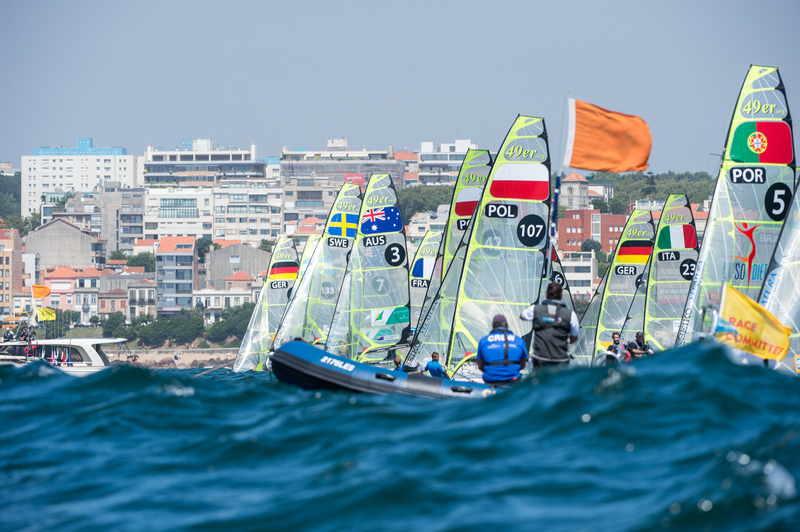 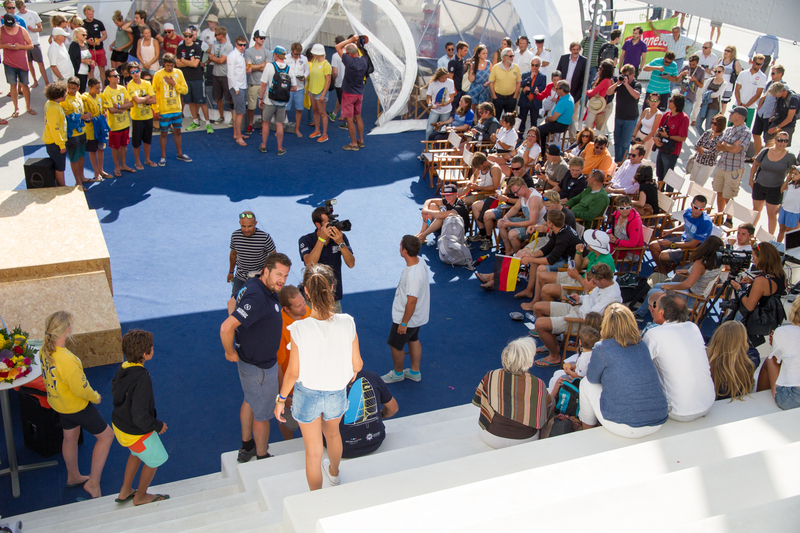 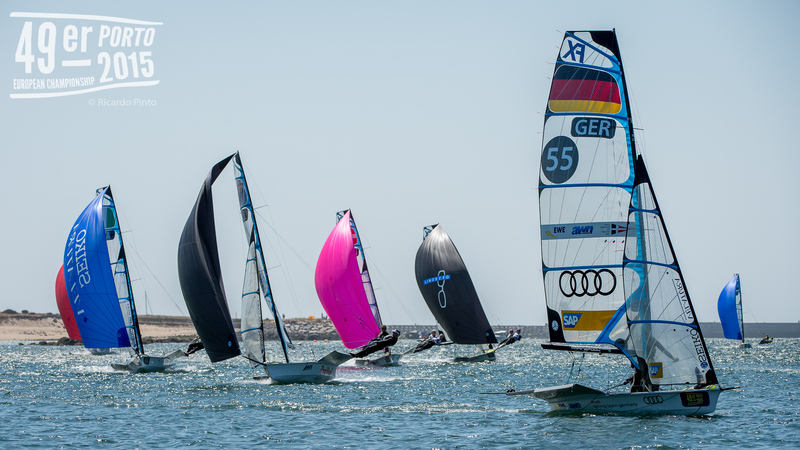 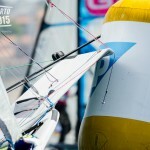 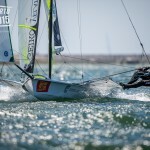 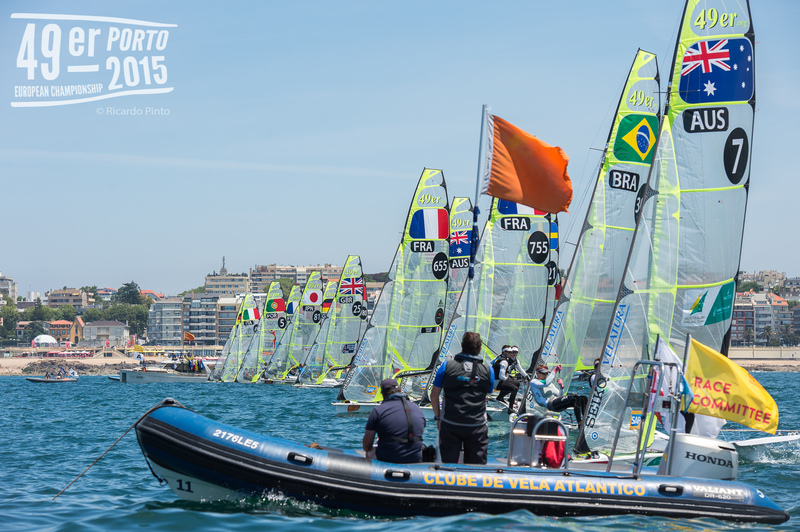 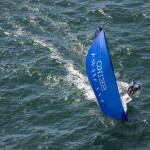 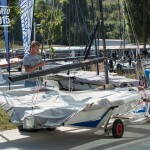 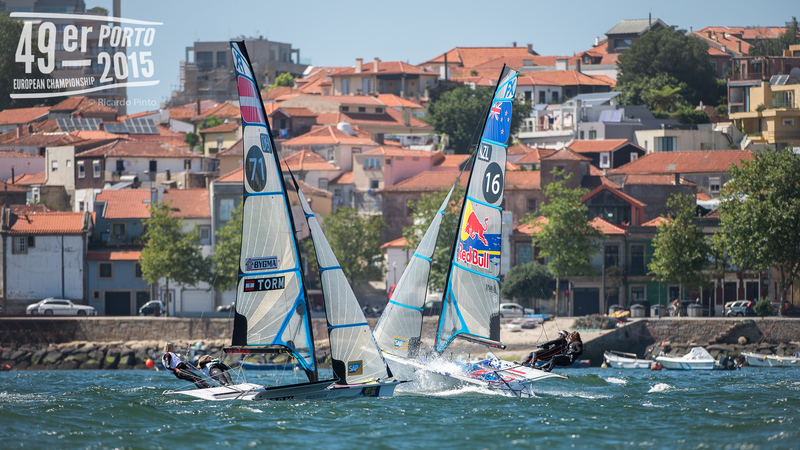 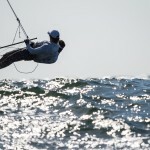 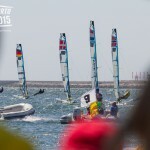 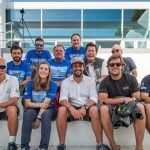 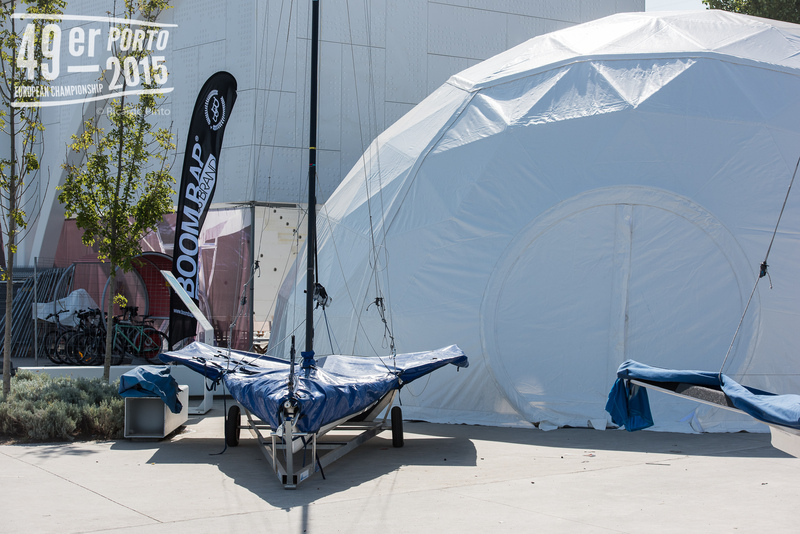 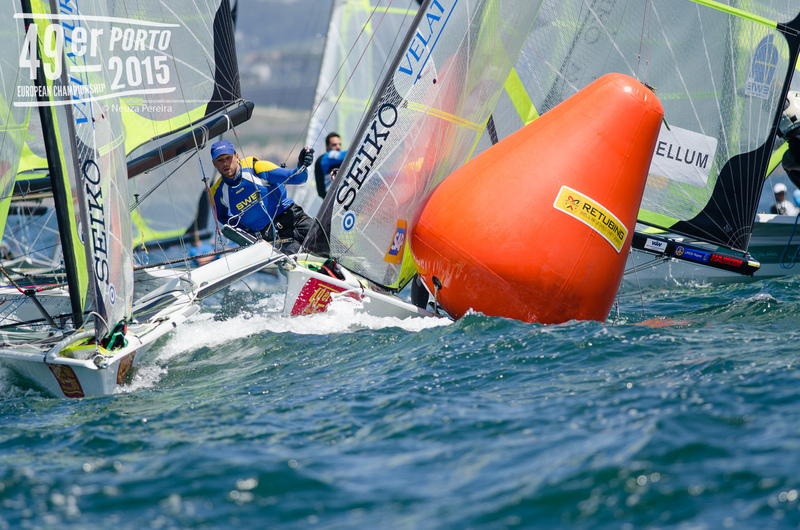 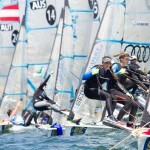 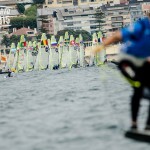 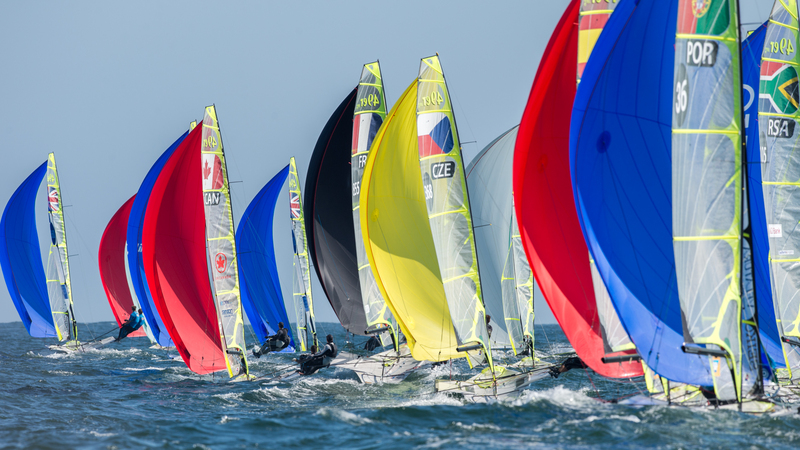 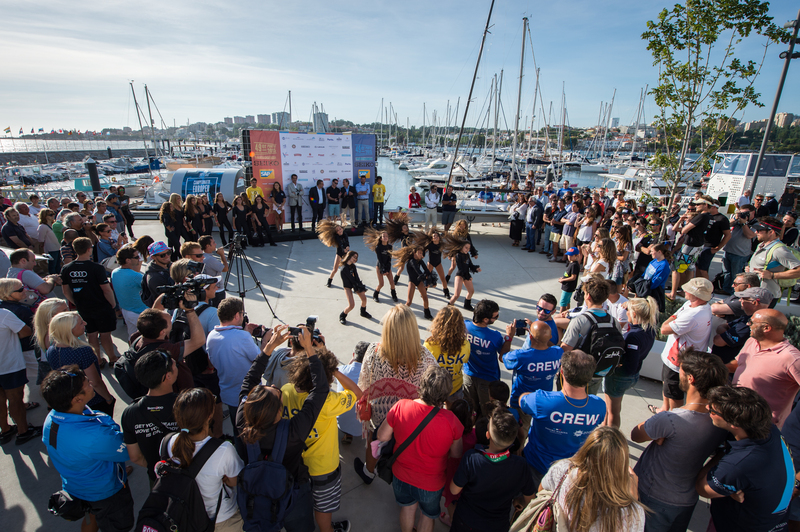 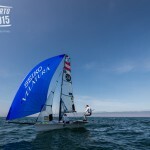 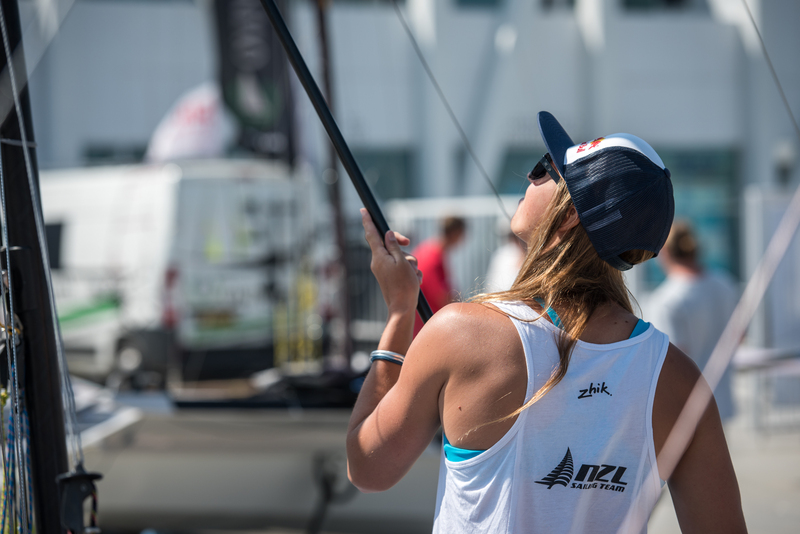 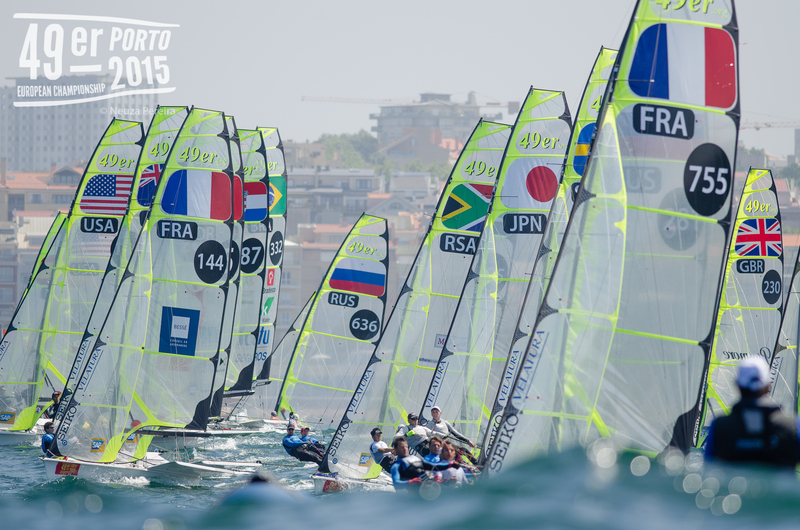 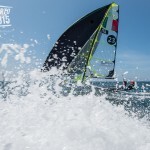 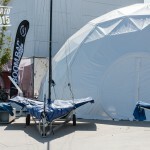 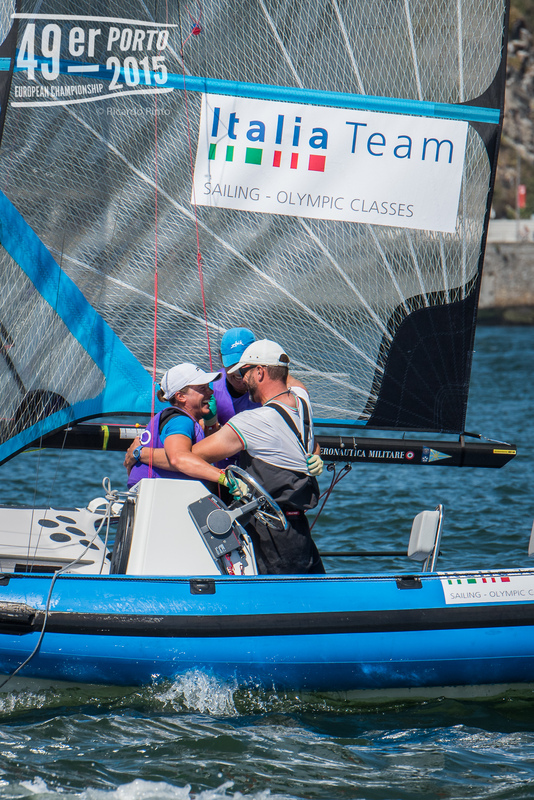 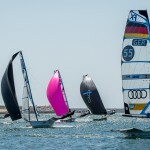 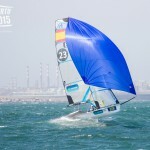 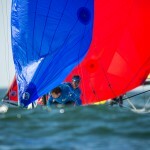 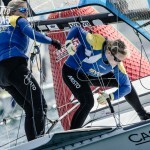 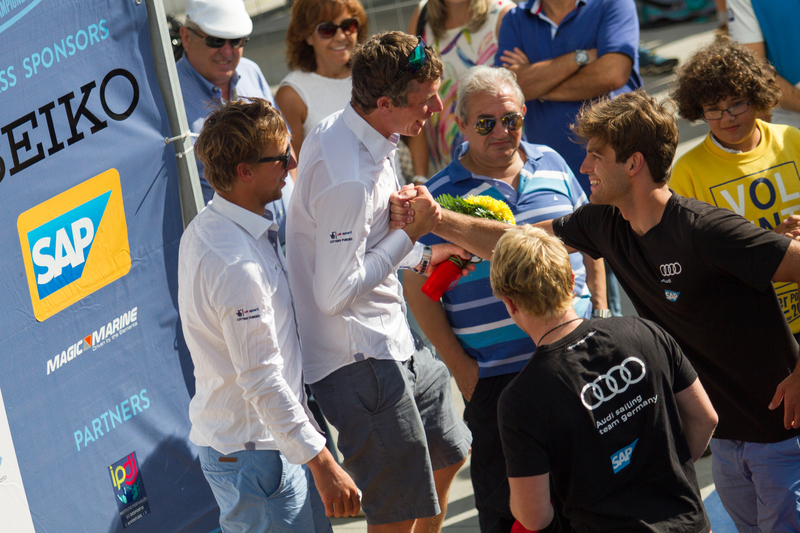 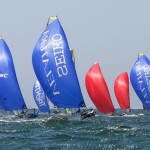 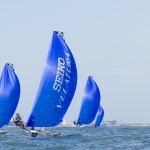 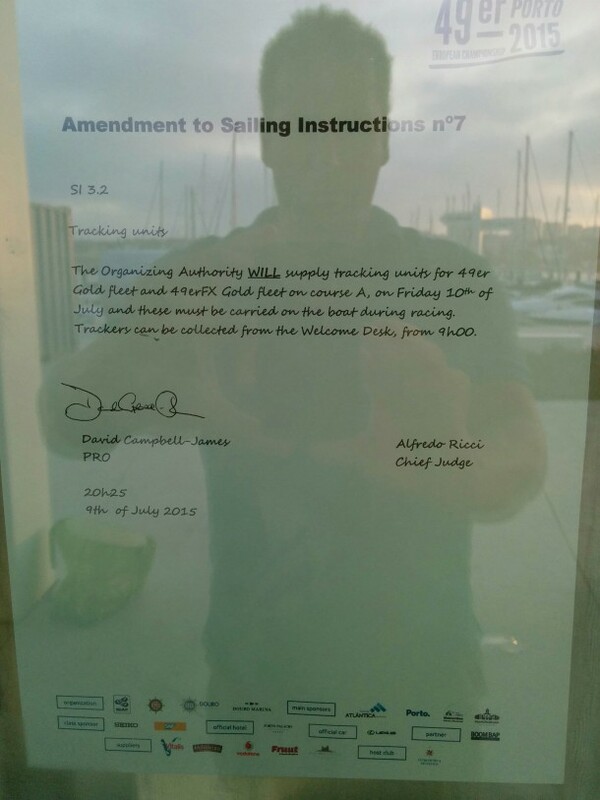 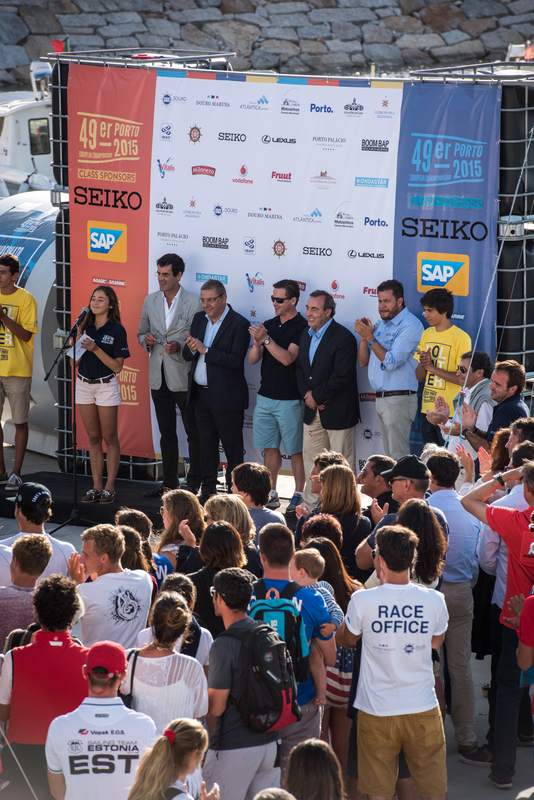 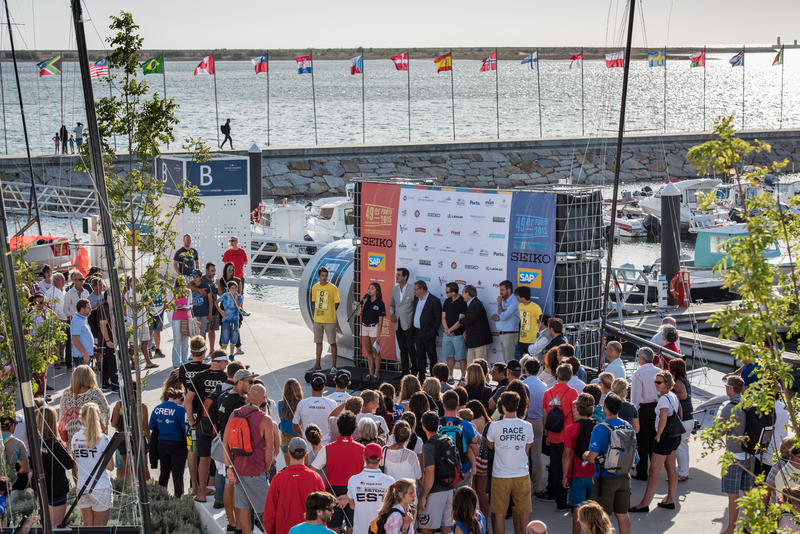 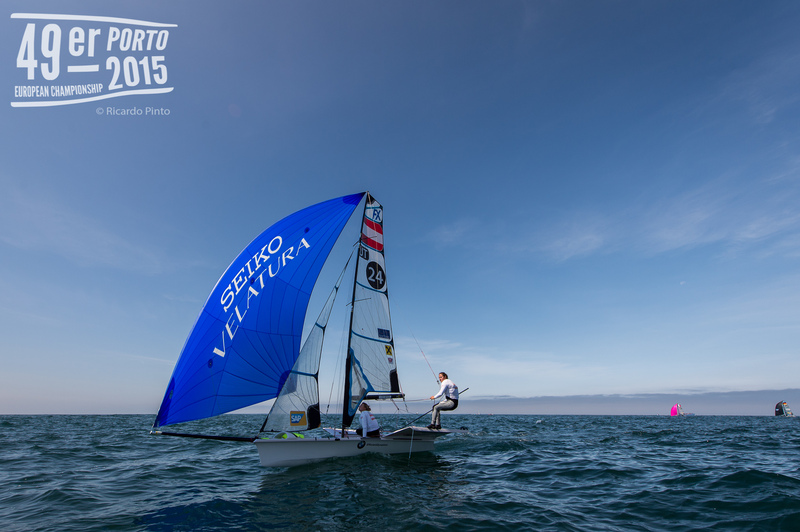 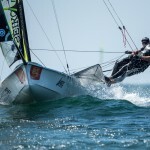 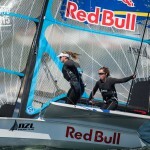 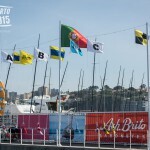 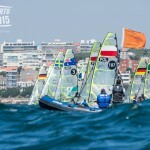 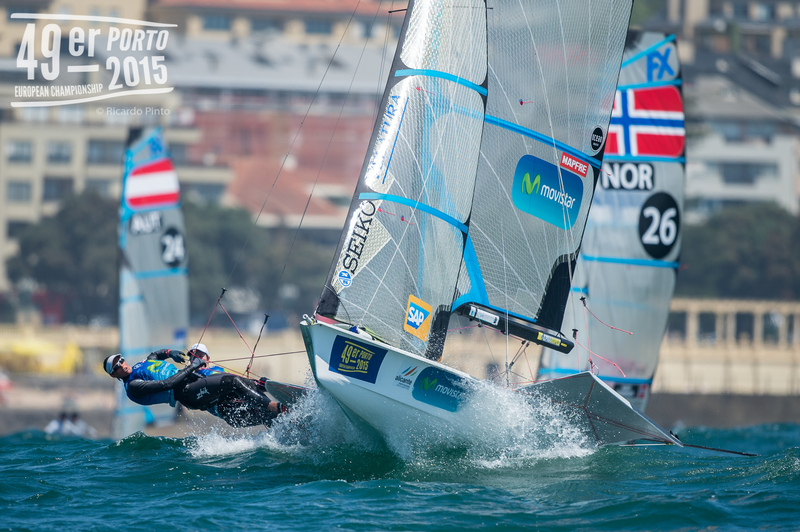 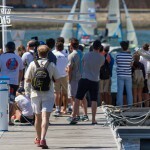 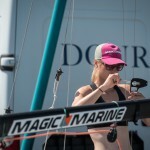 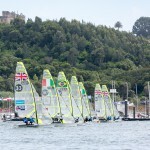 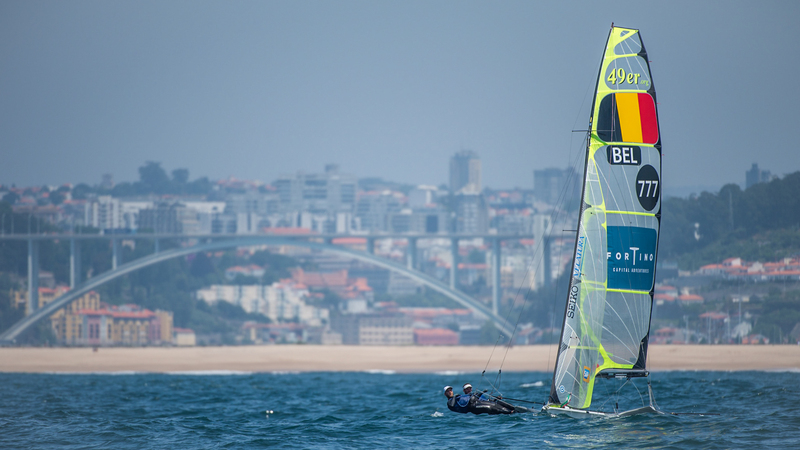 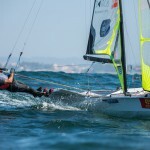 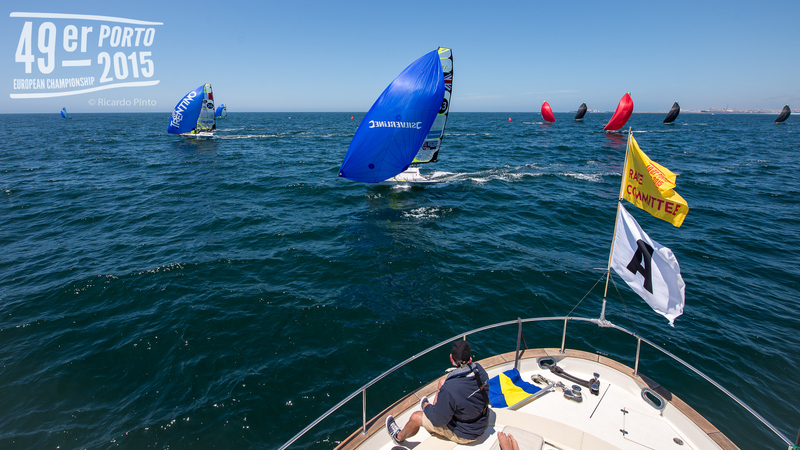 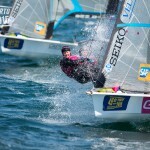 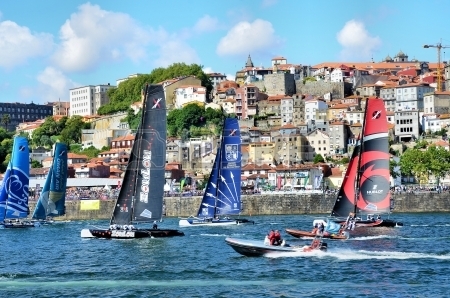 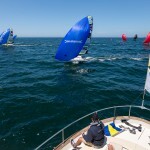 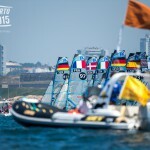 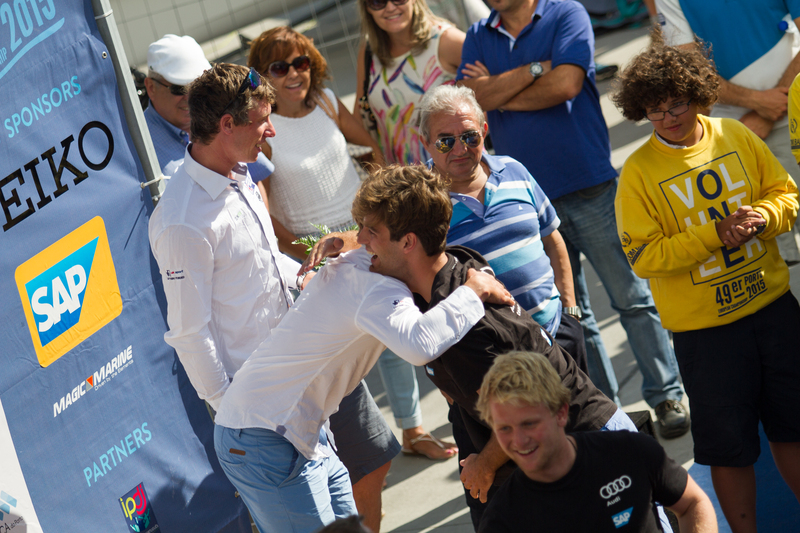 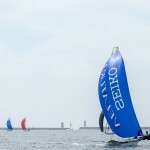 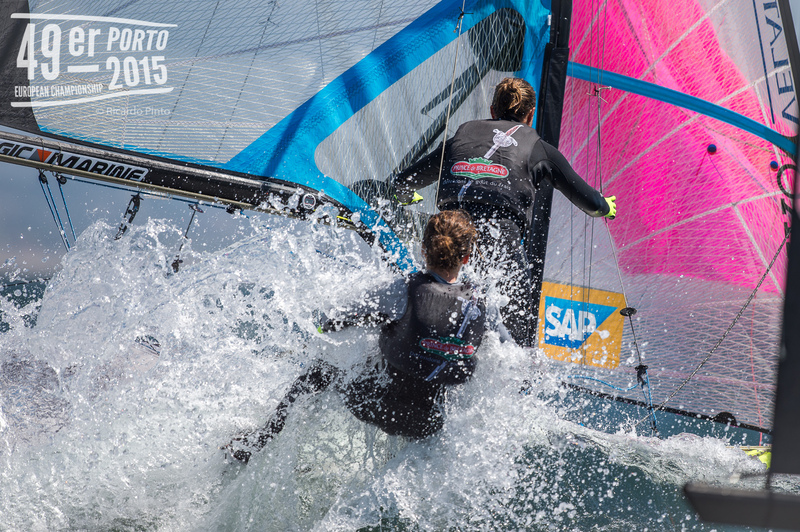 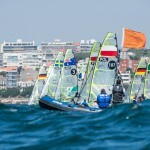 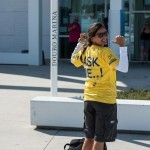 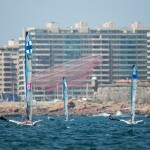 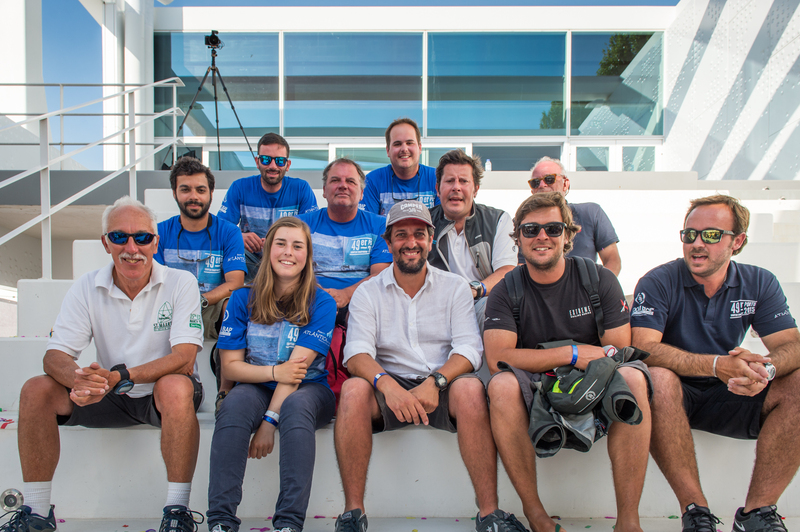 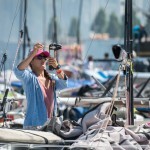 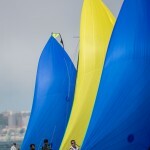 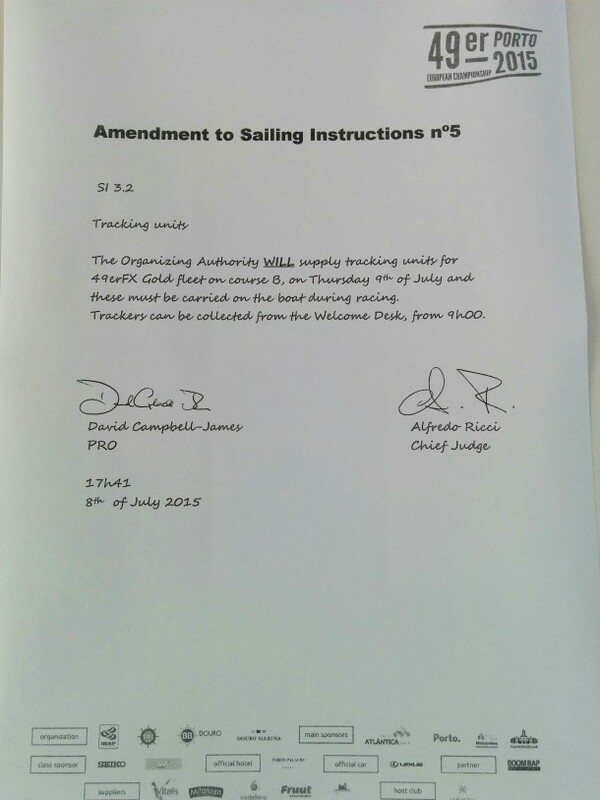 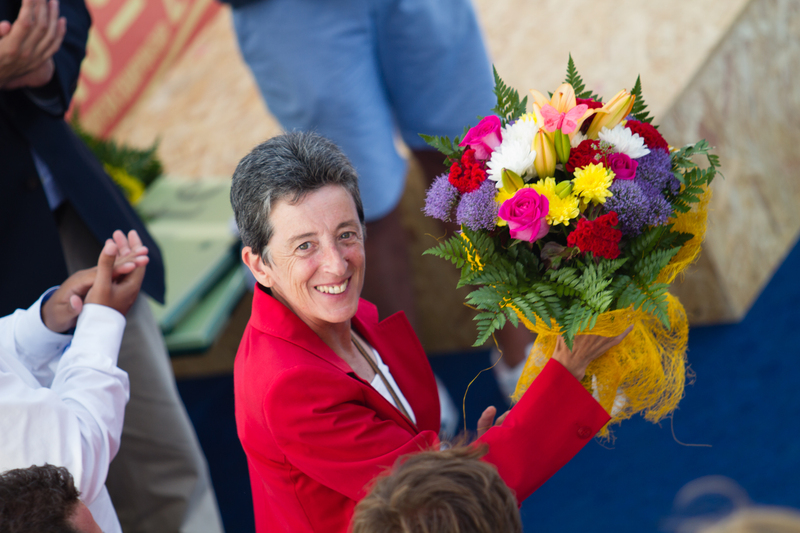 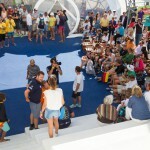 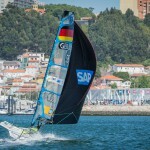 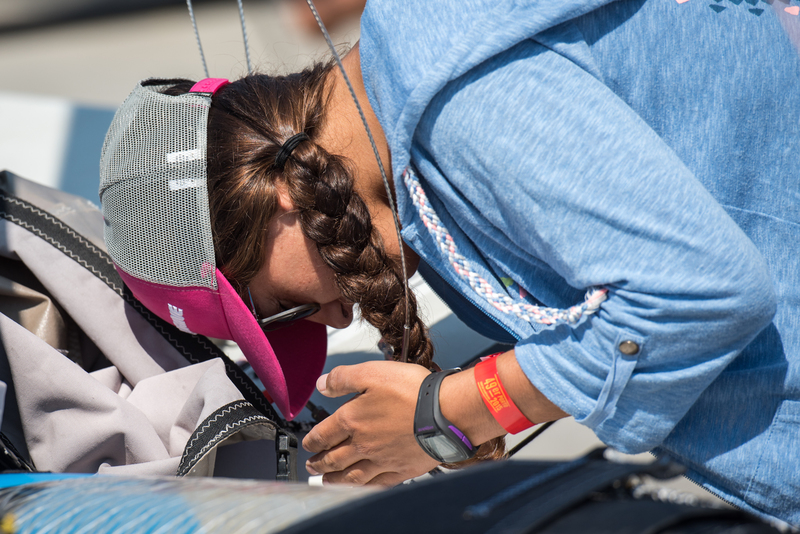 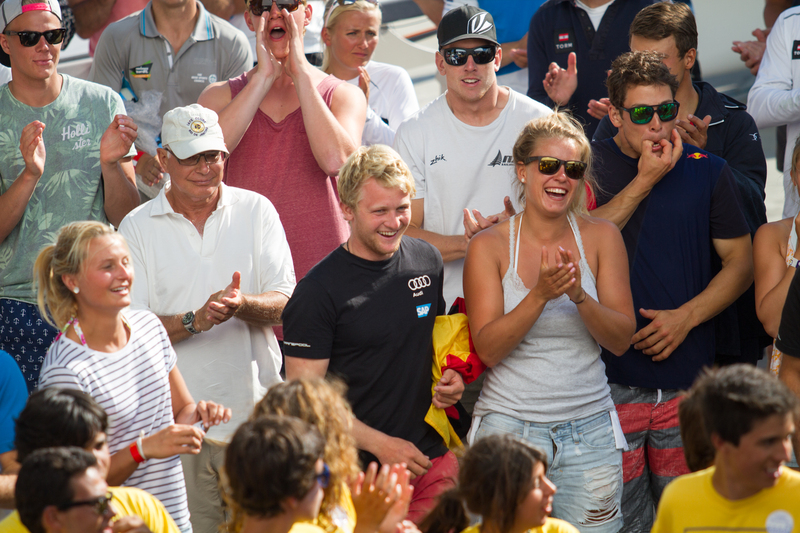 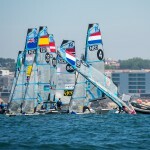 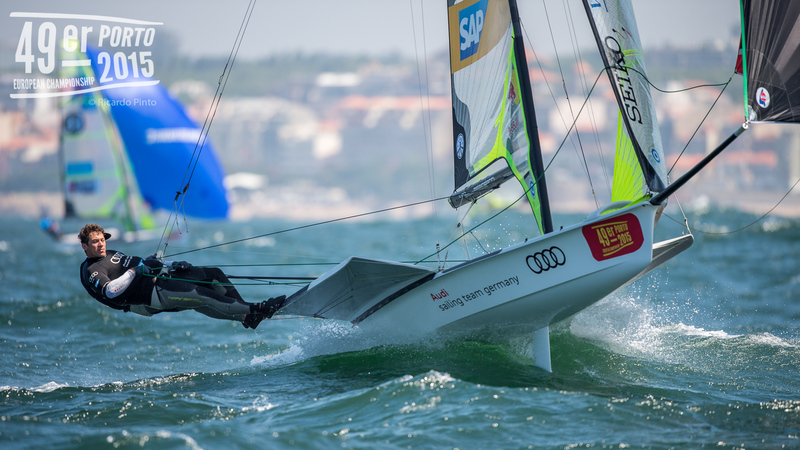 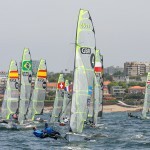 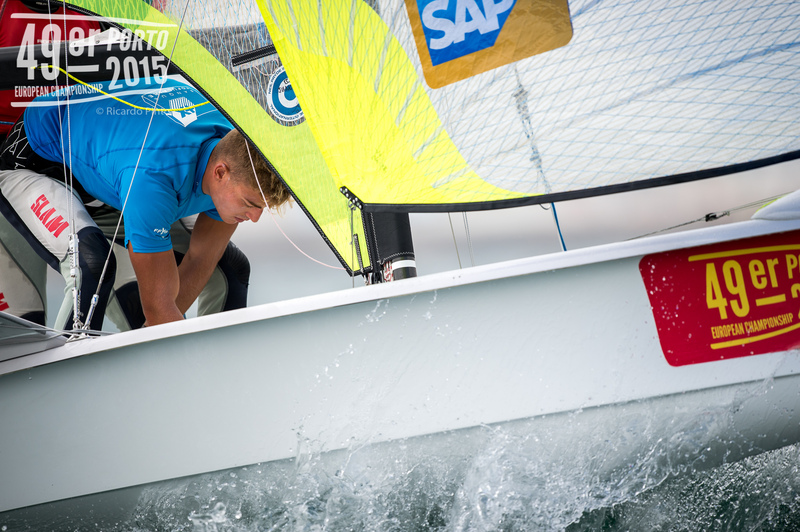 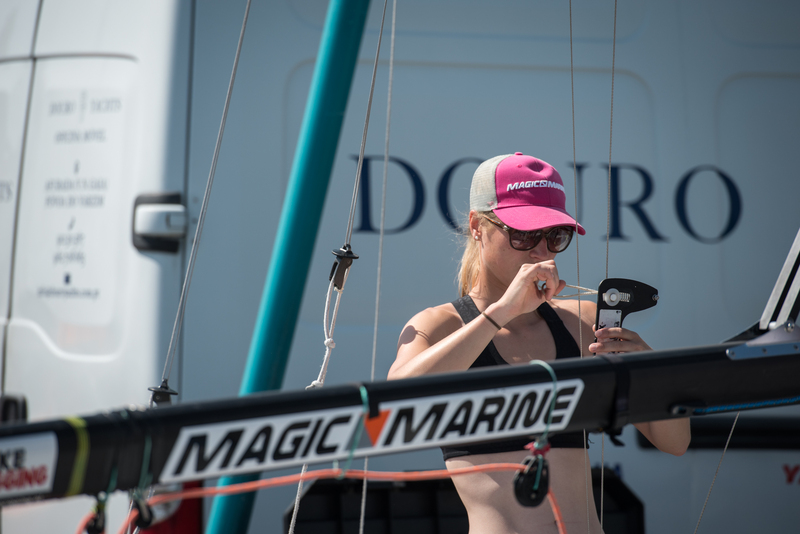 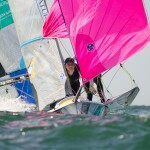 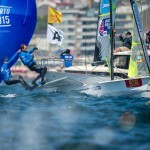 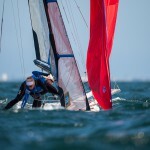 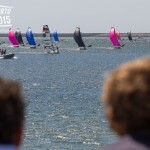 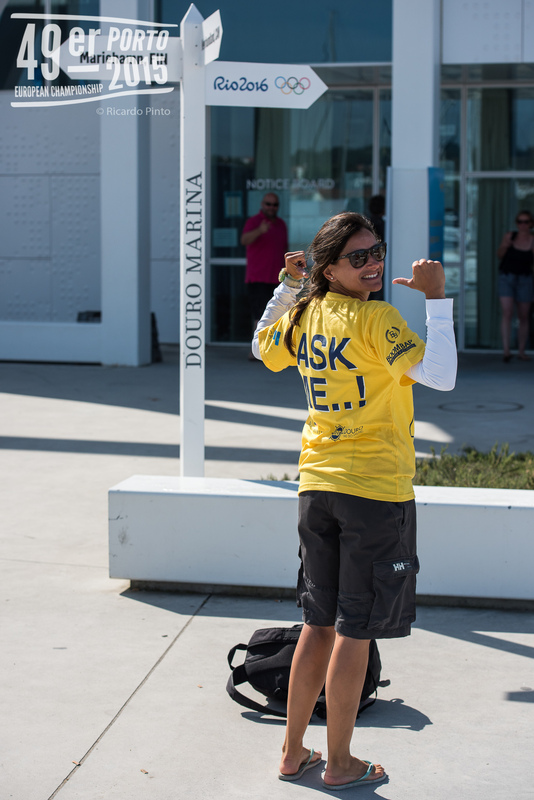 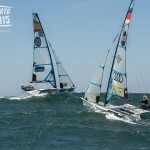 Get ready for a week of exciting sailing action! 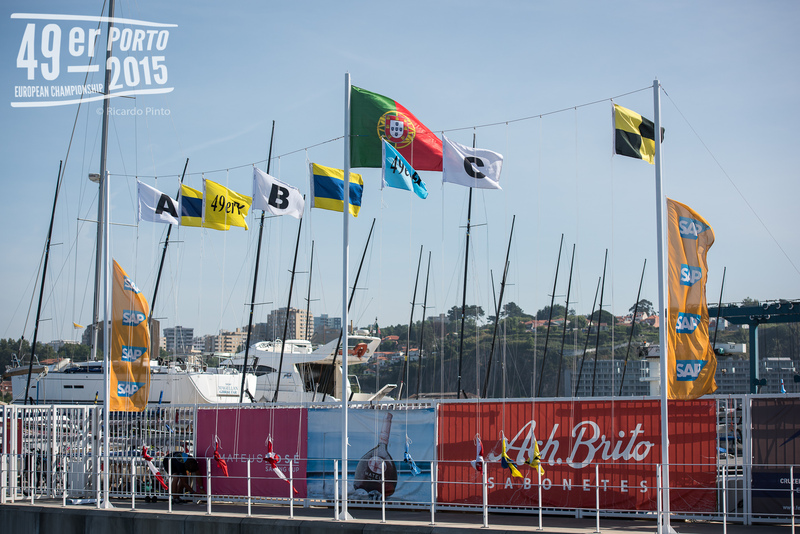 On Saturday July 4th there will be a fun race up the River Duro to show of the boats to the city. 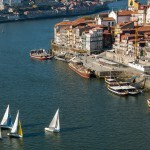 The race will start at 3:30 and head up and down the river to the centre of town. 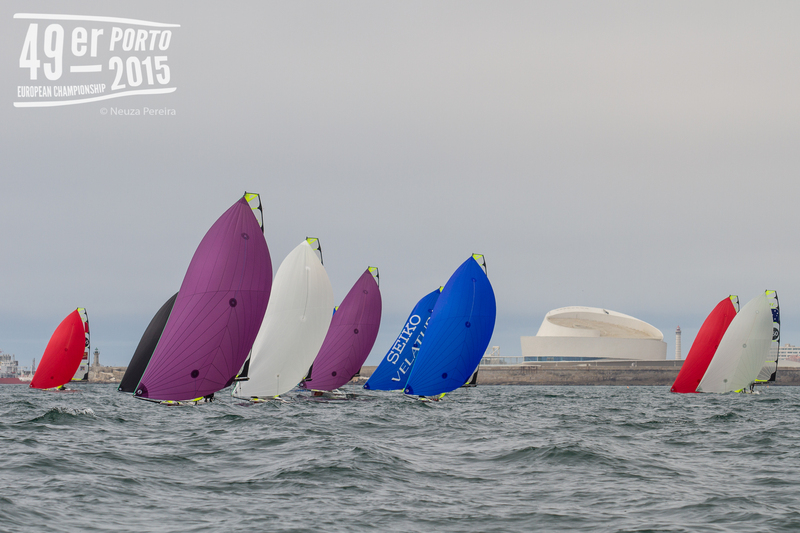 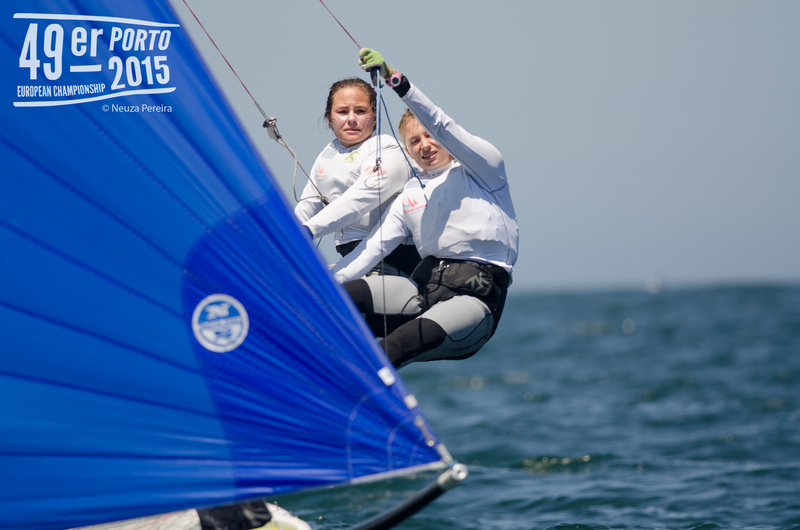 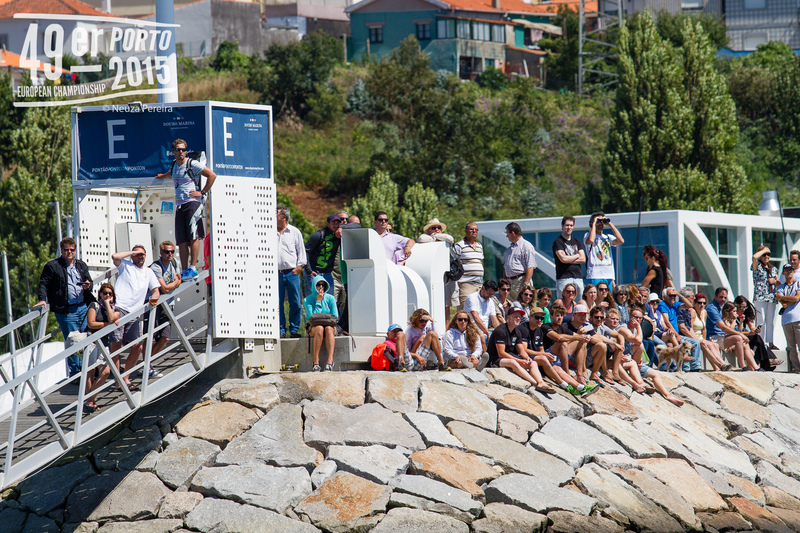 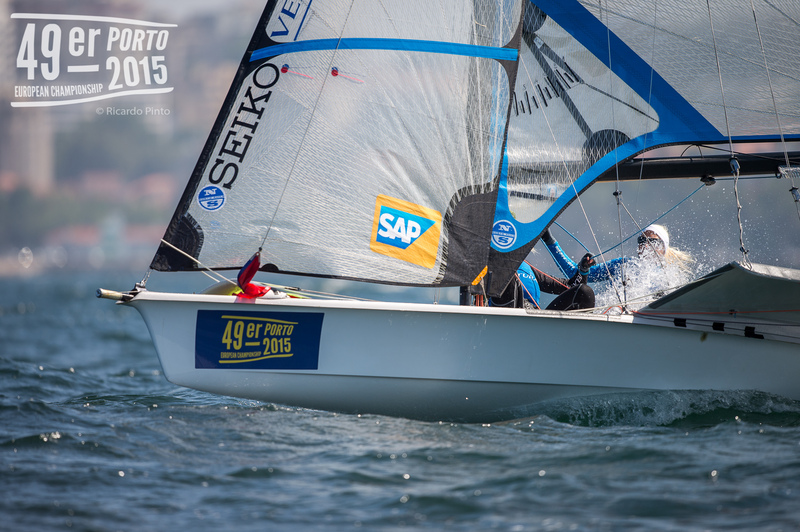 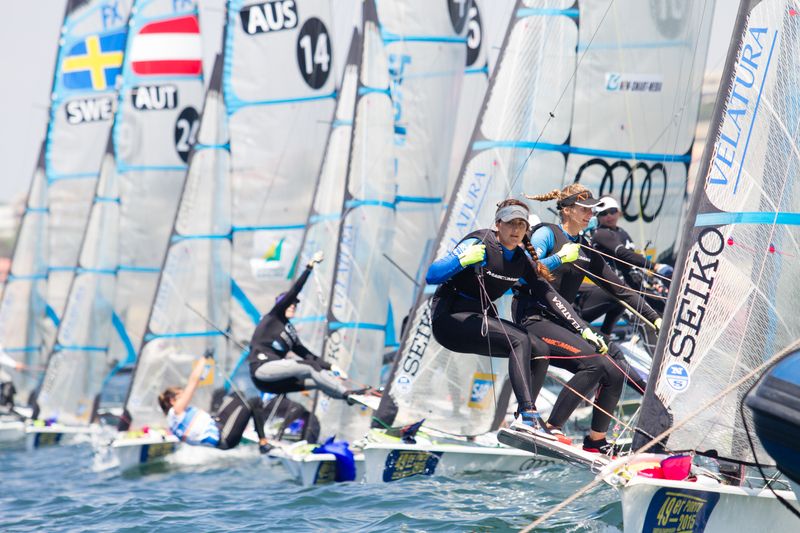 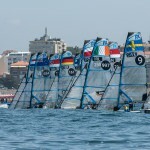 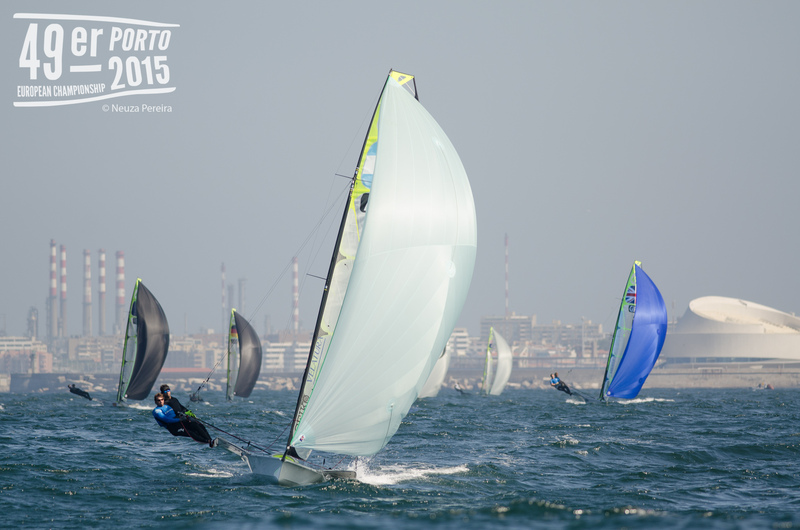 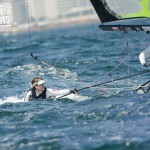 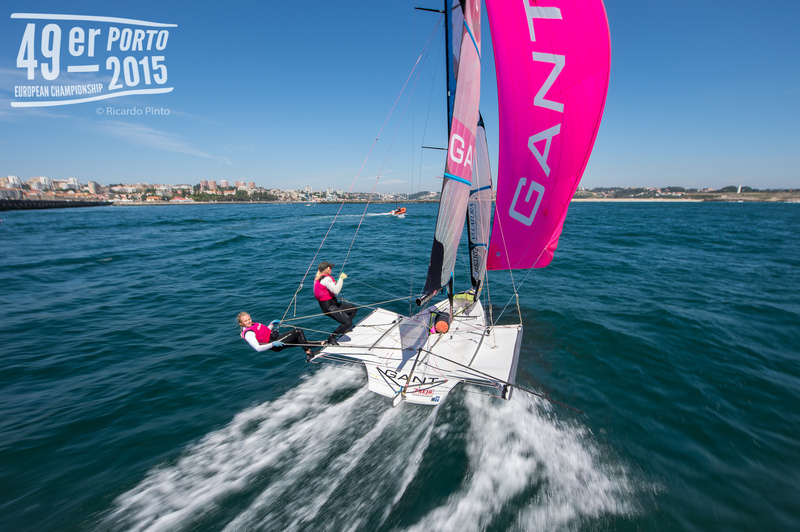 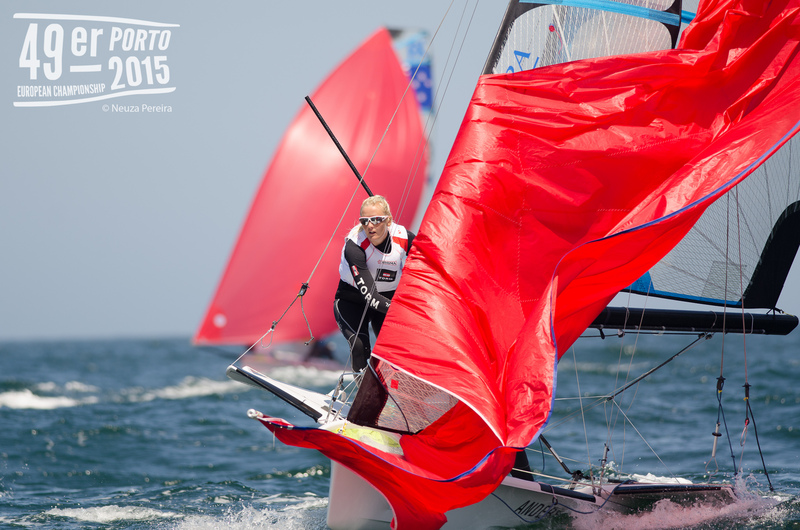 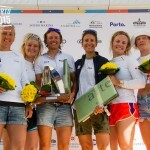 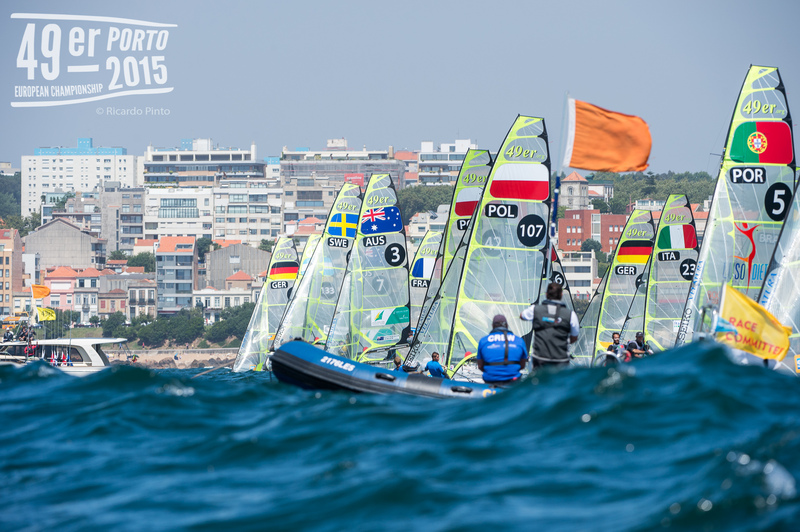 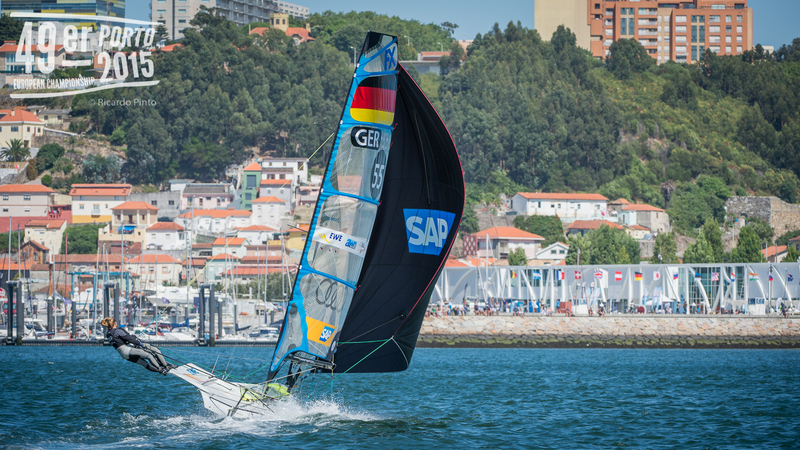 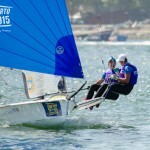 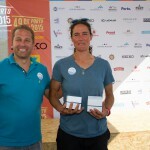 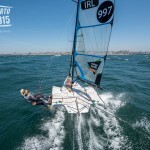 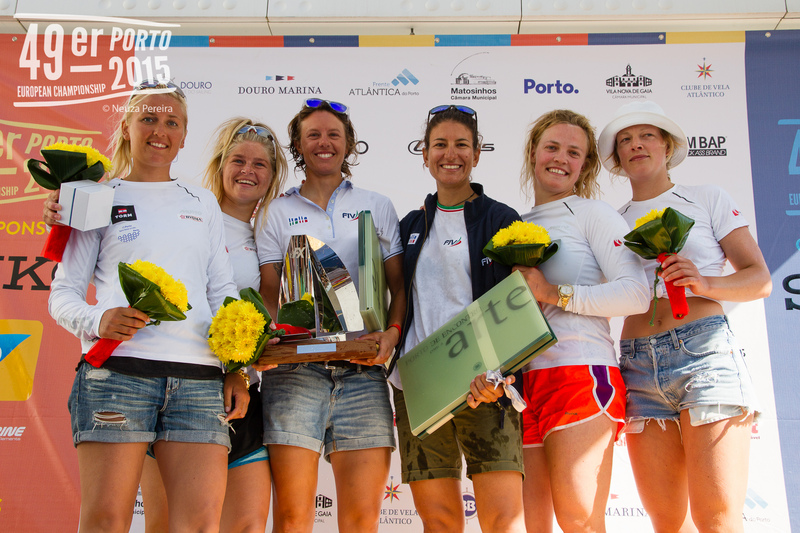 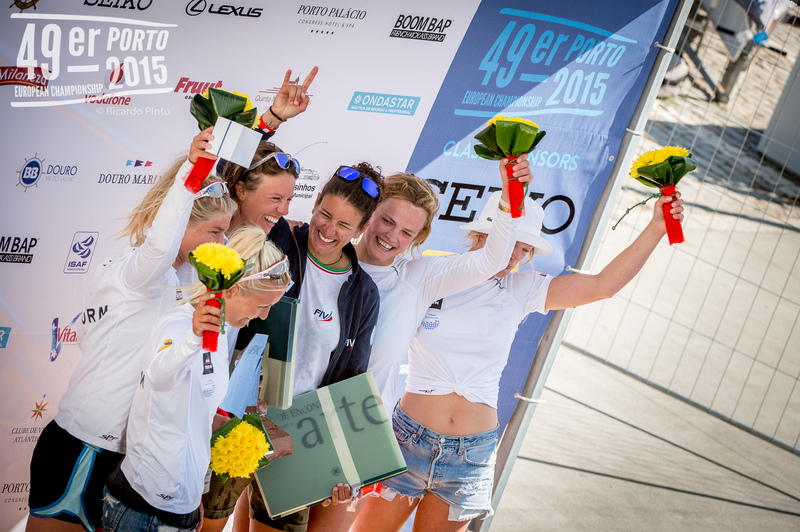 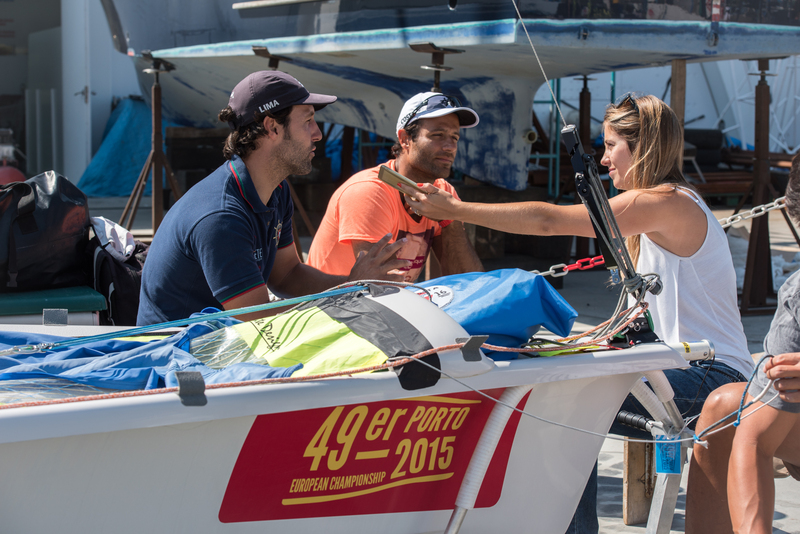 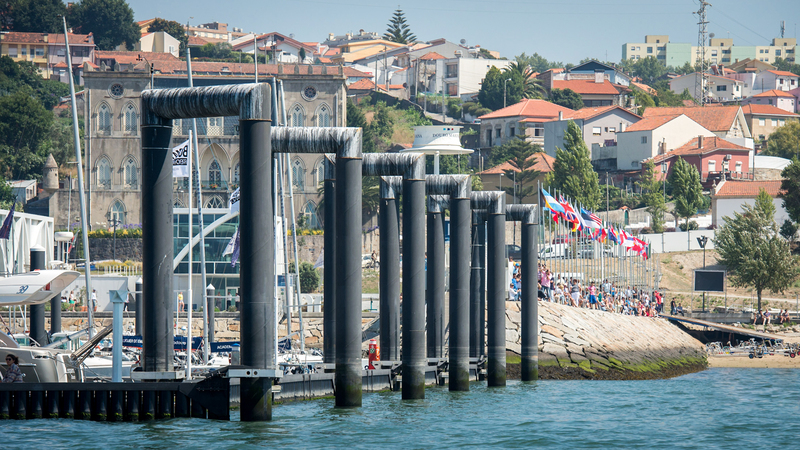 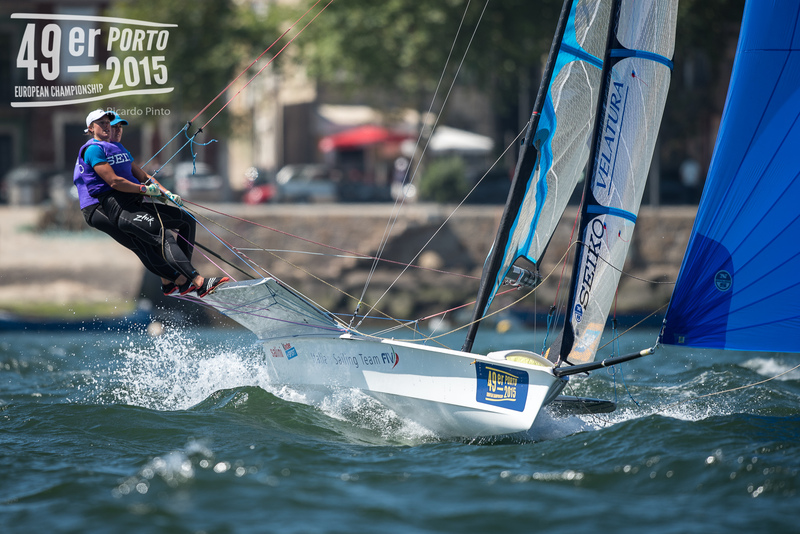 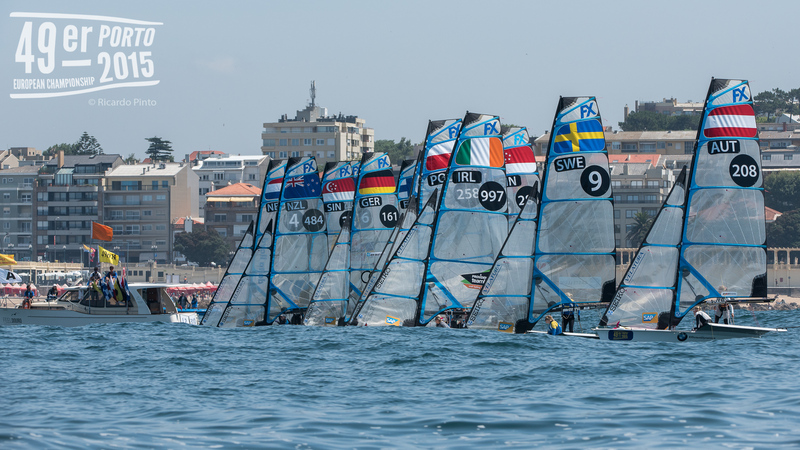 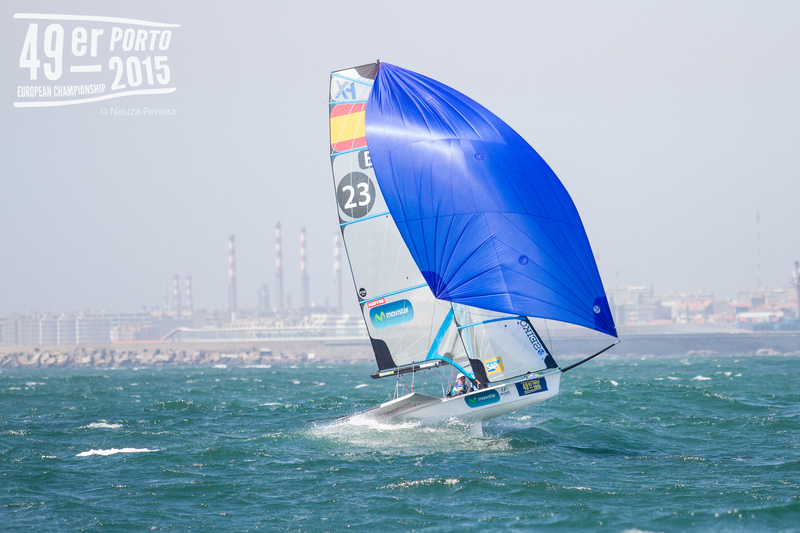 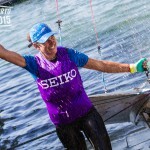 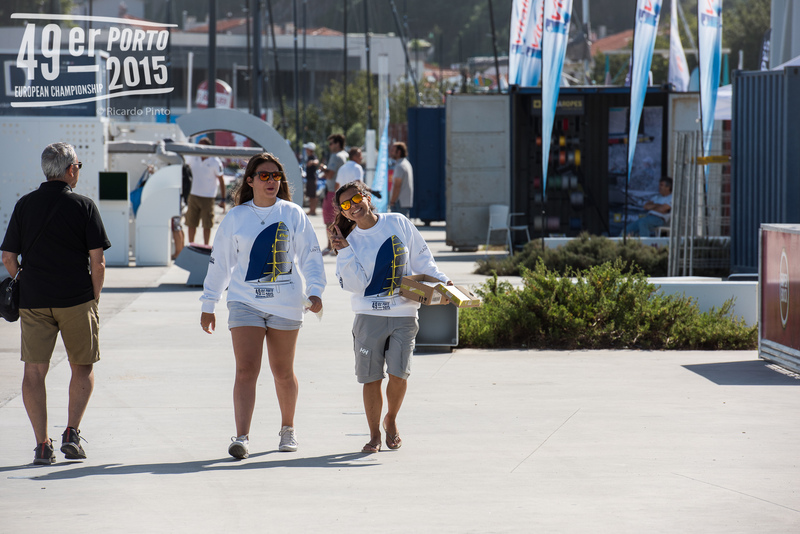 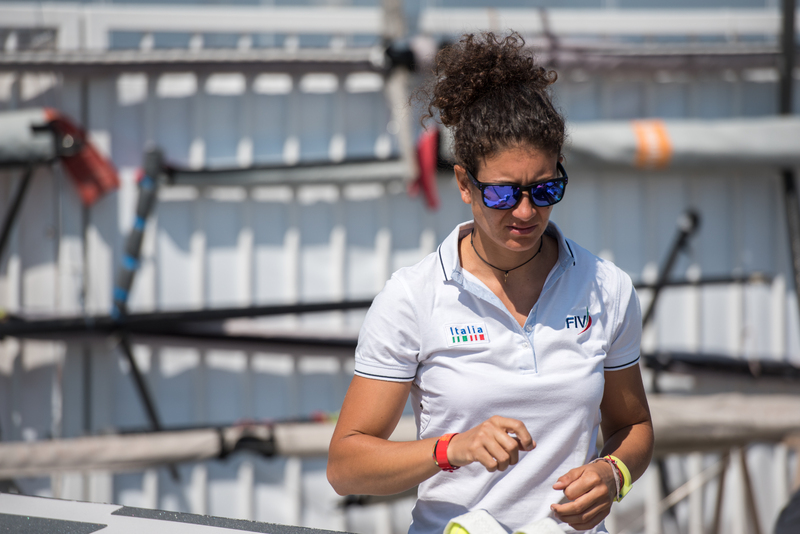 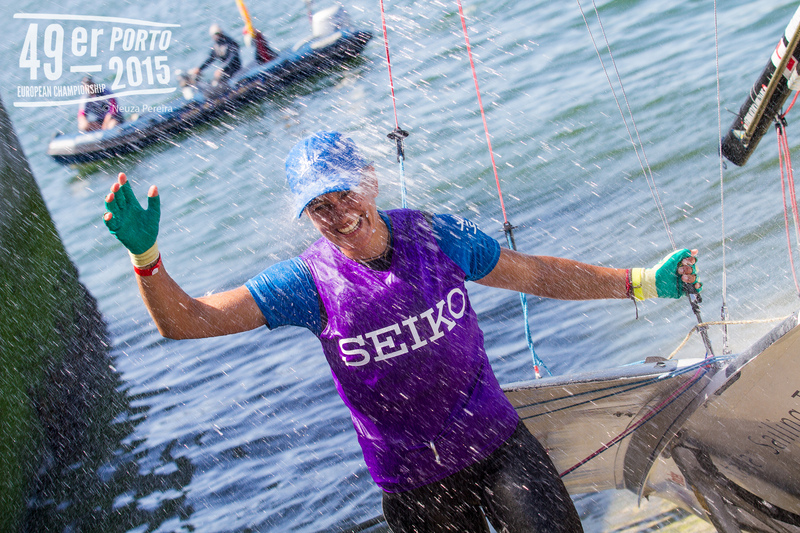 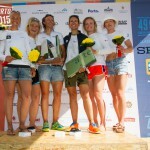 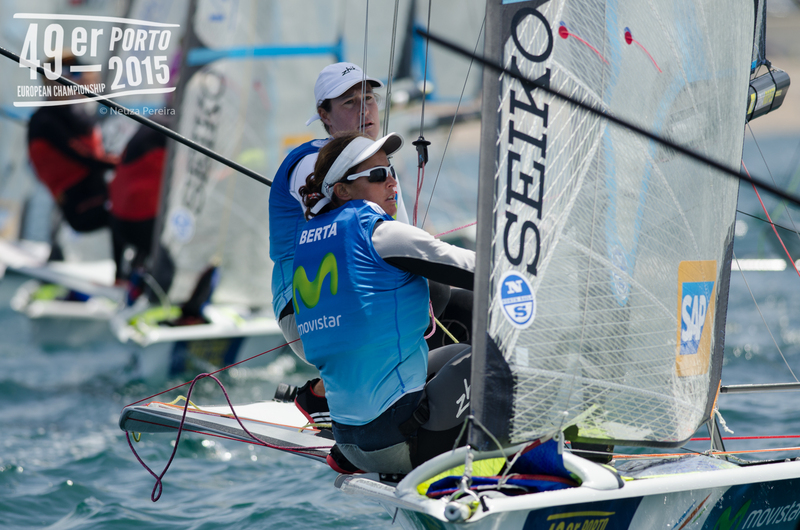 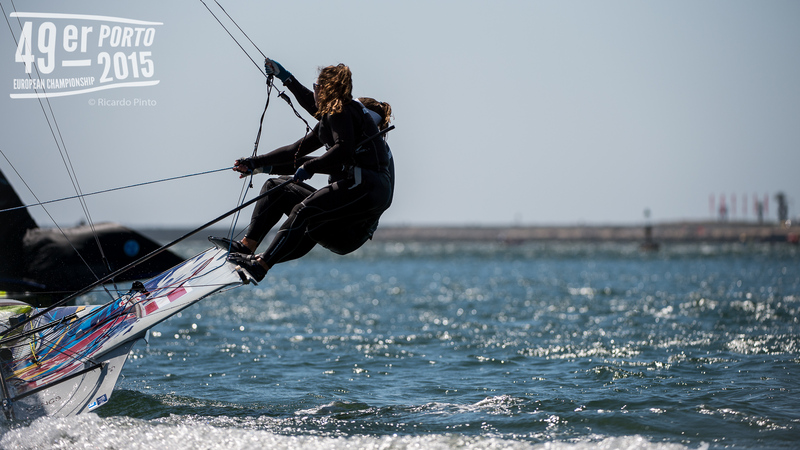 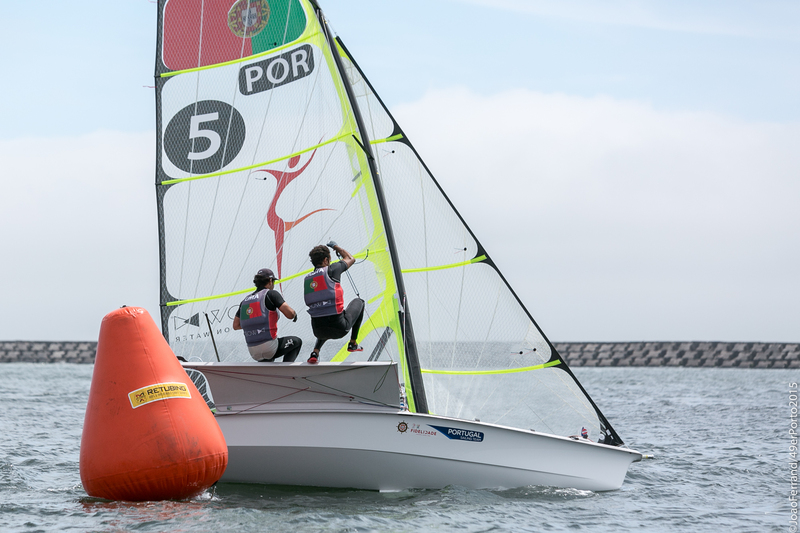 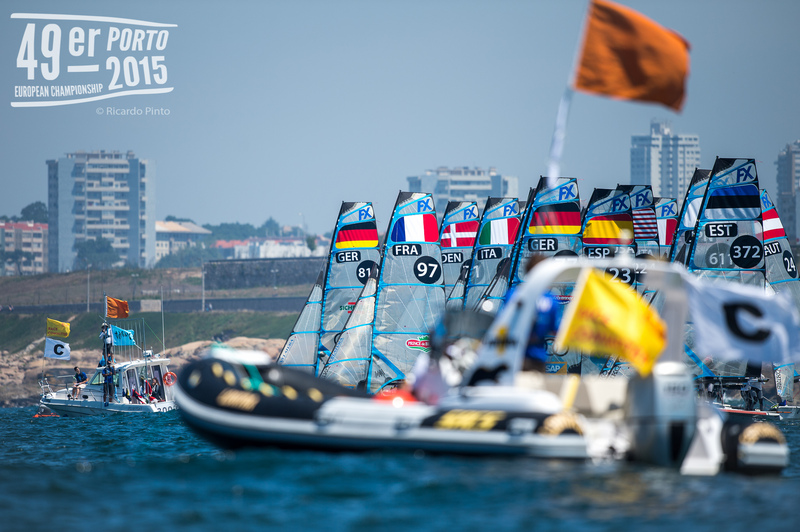 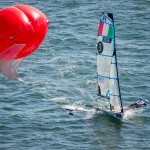 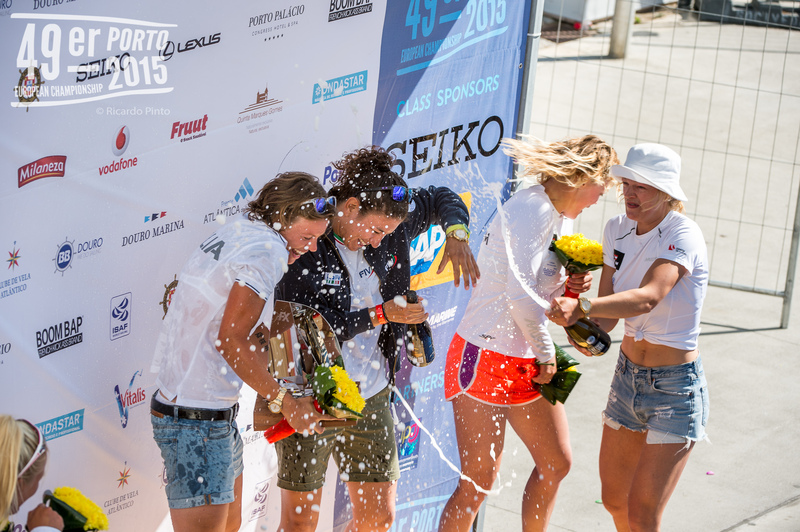 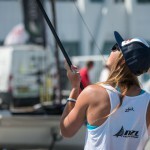 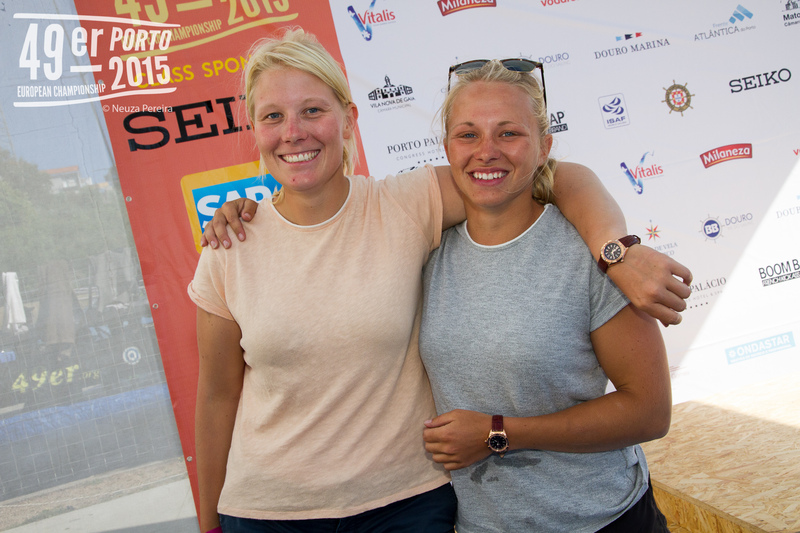 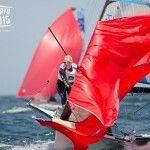 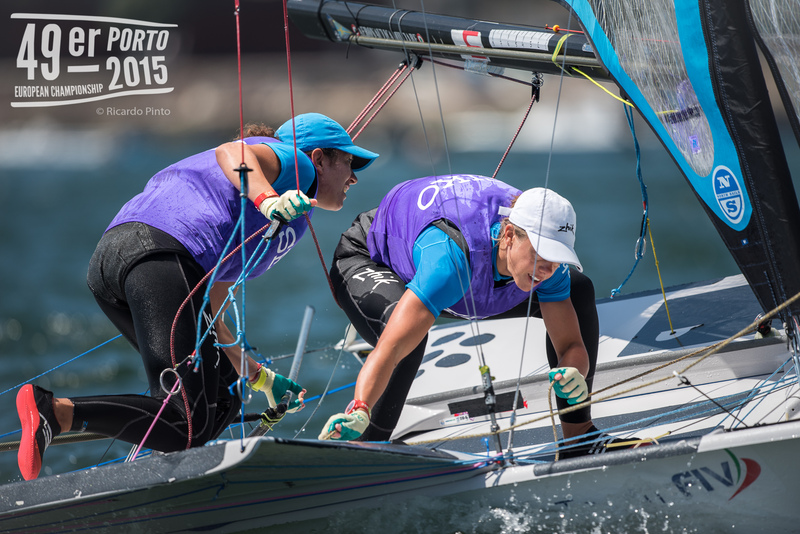 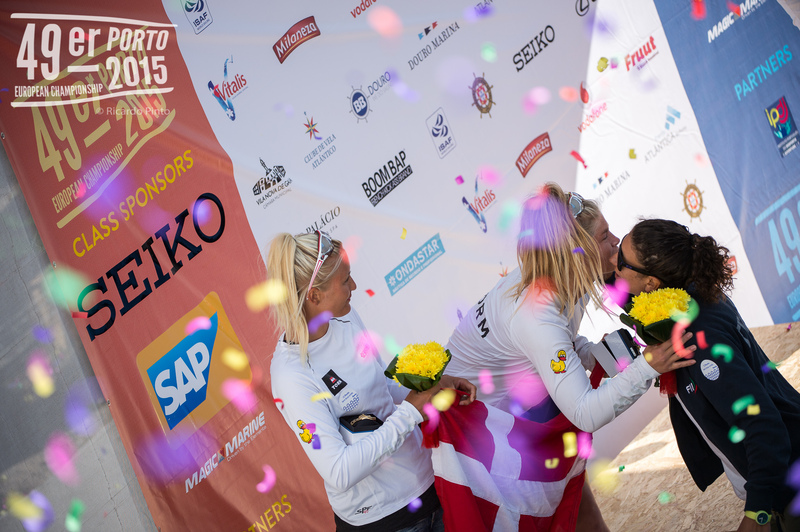 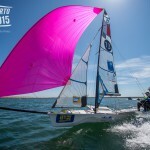 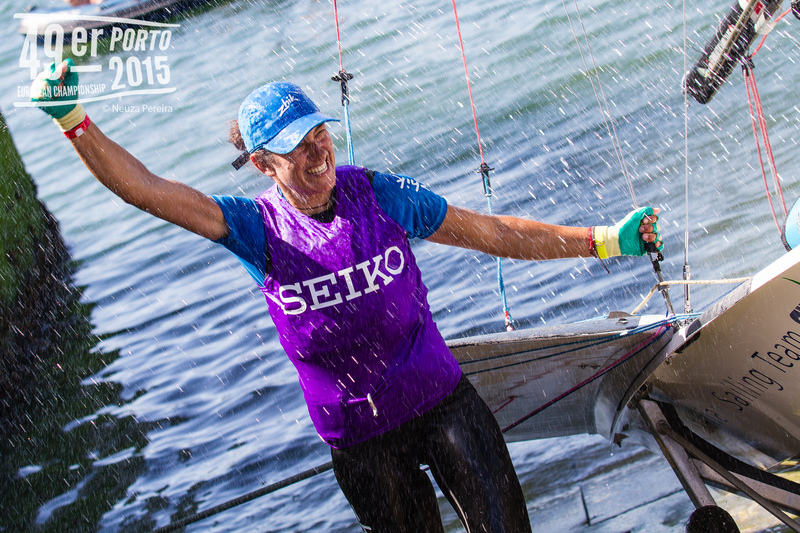 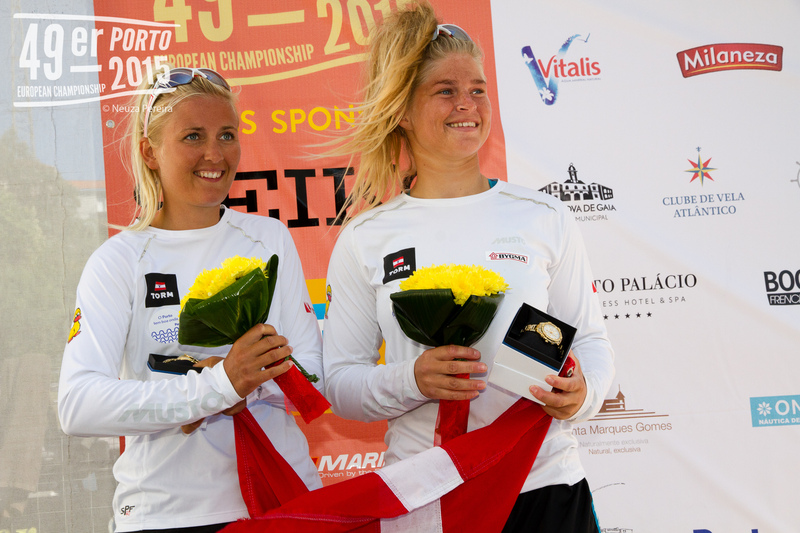 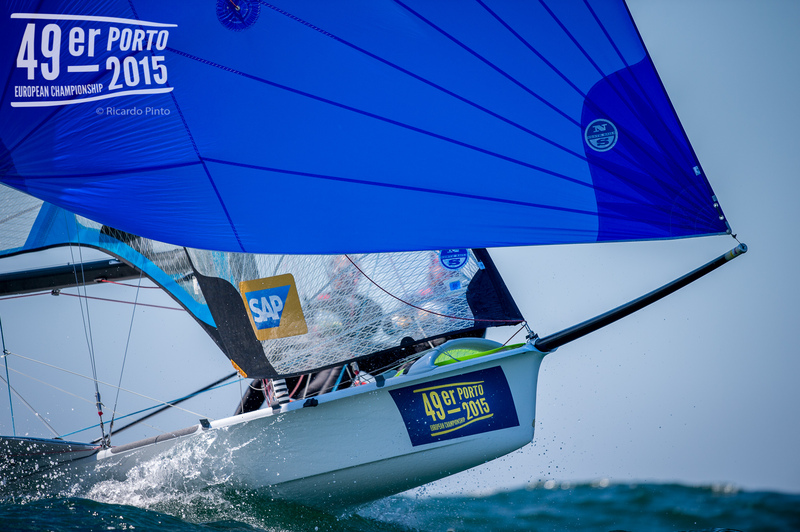 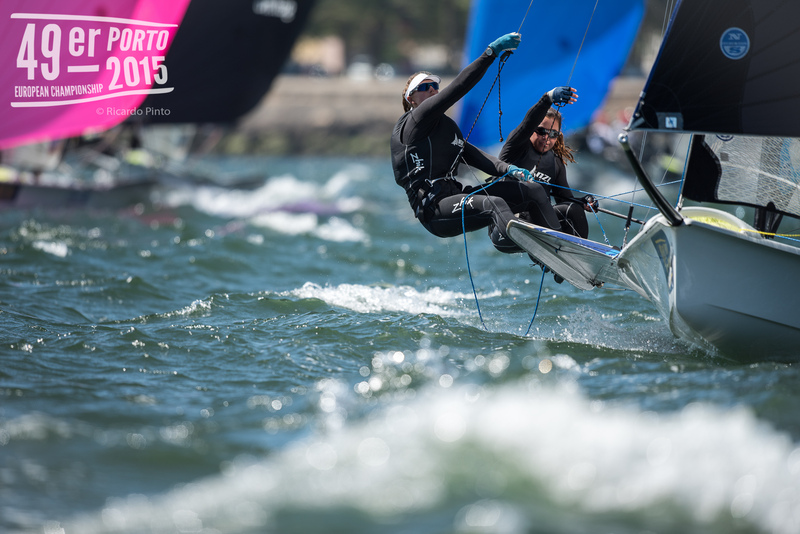 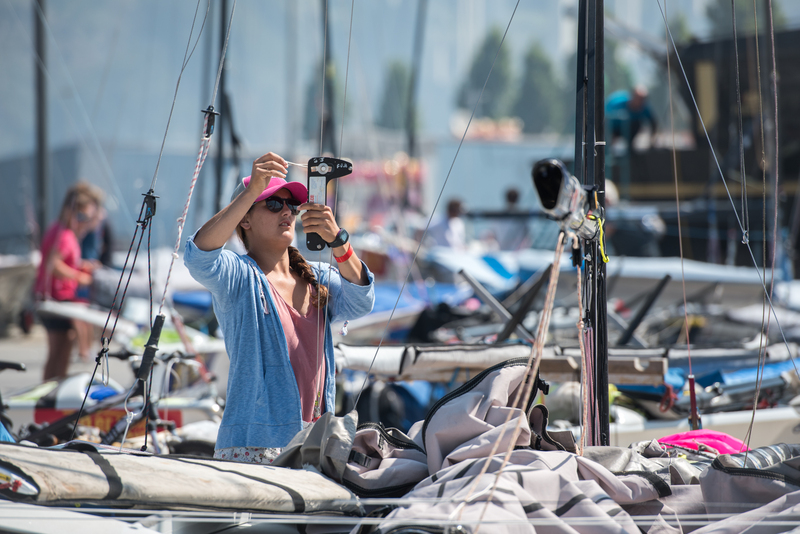 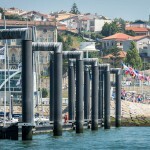 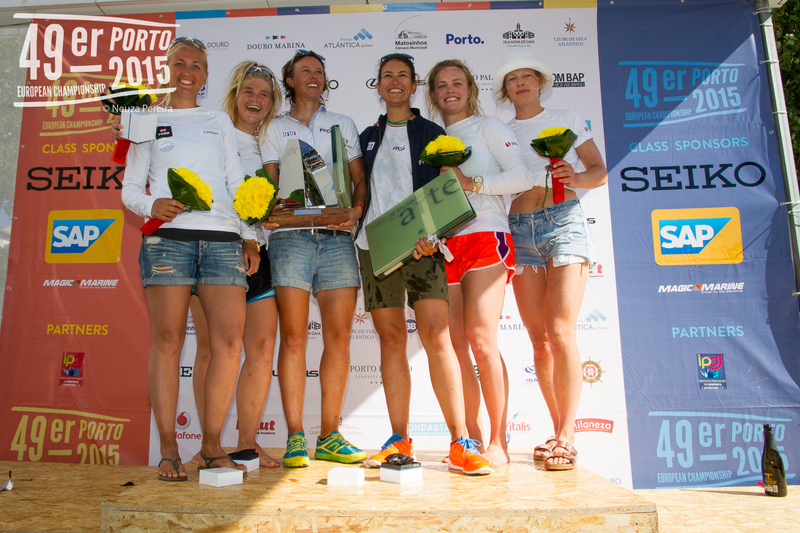 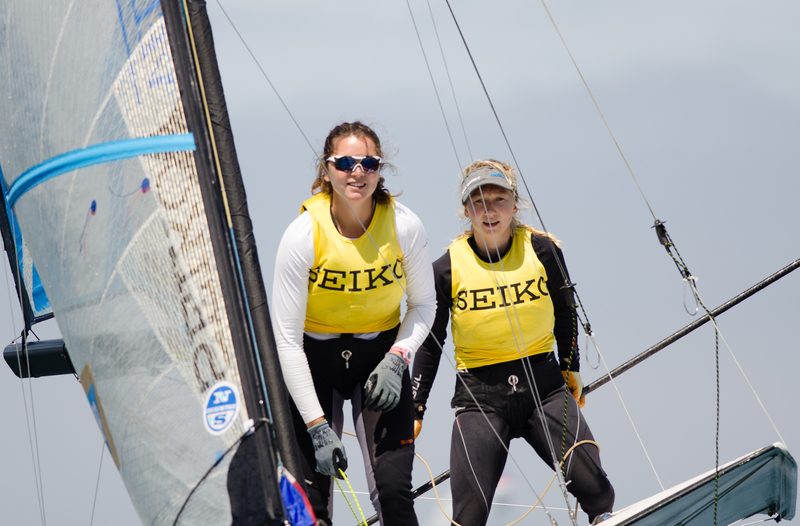 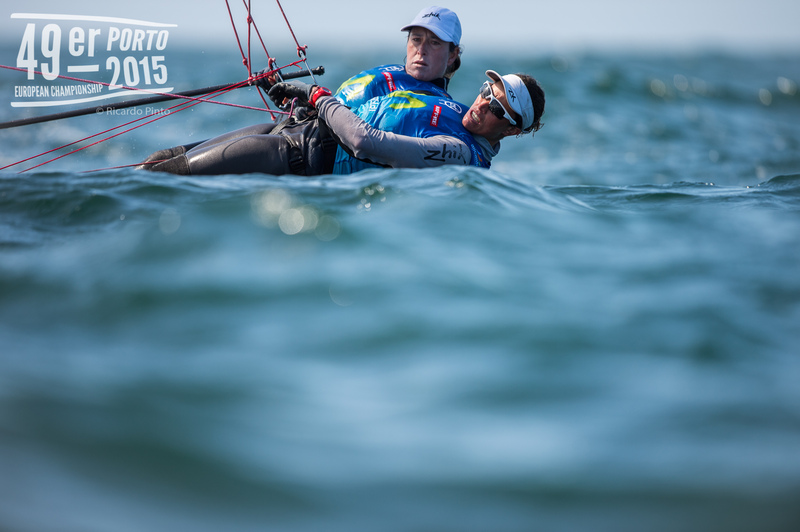 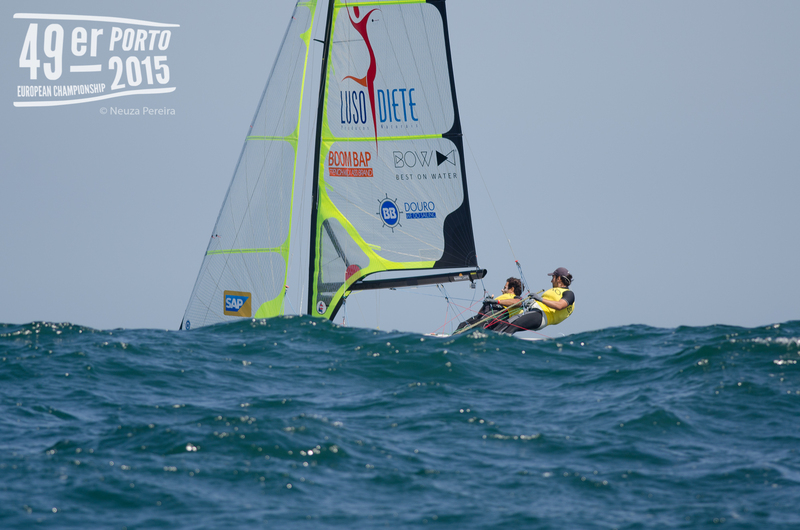 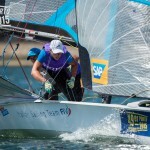 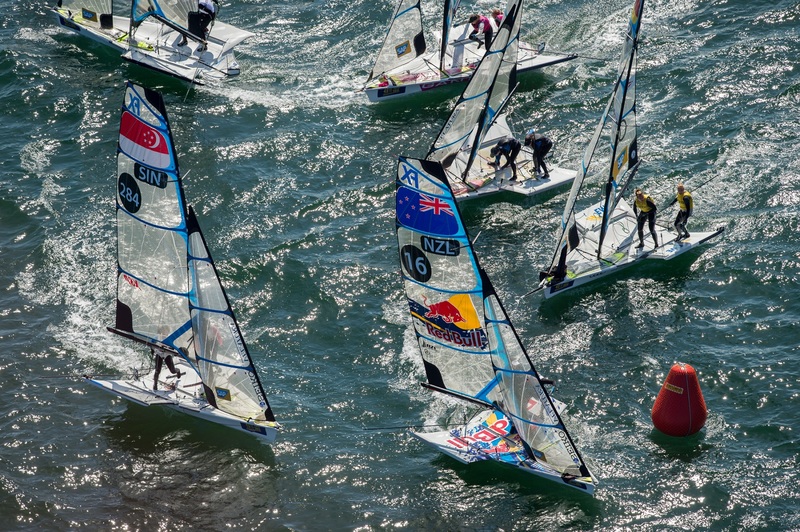 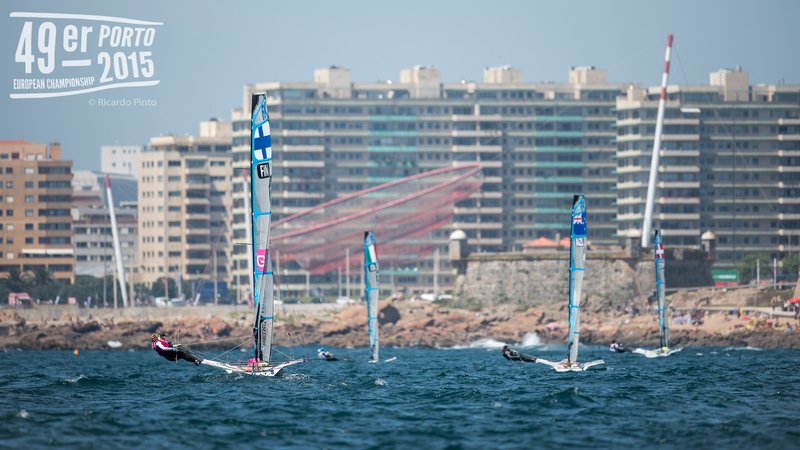 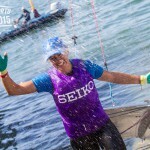 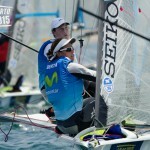 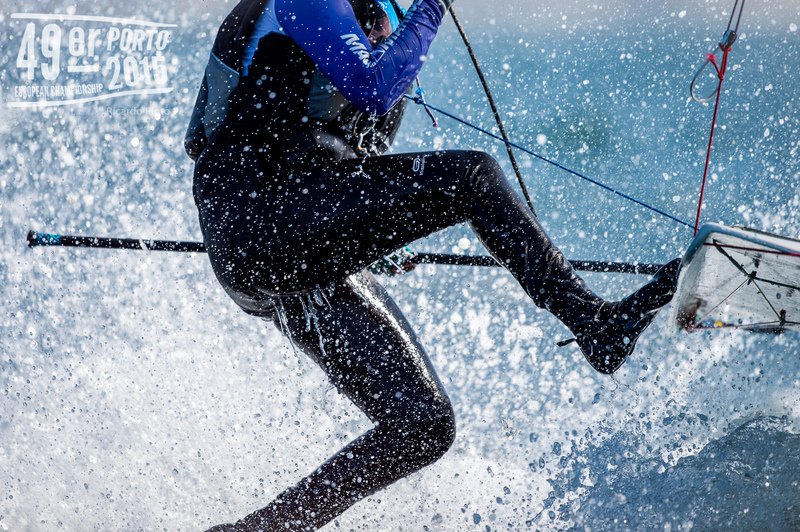 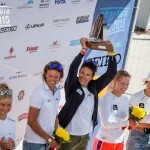 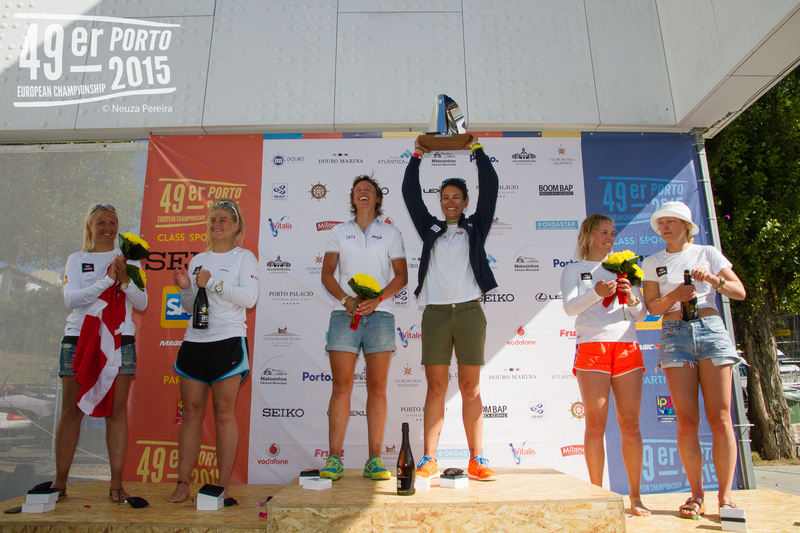 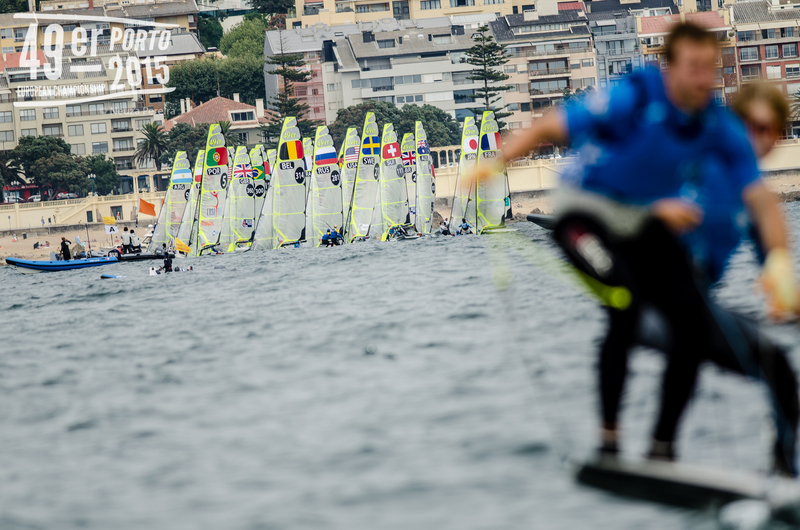 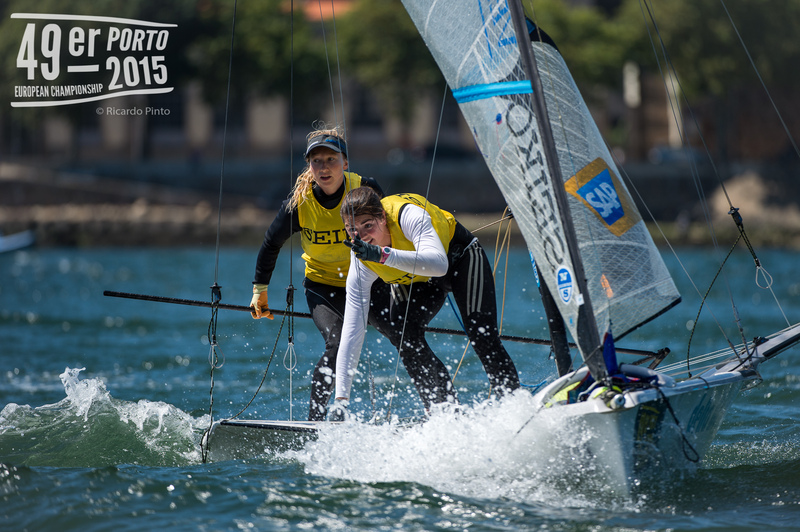 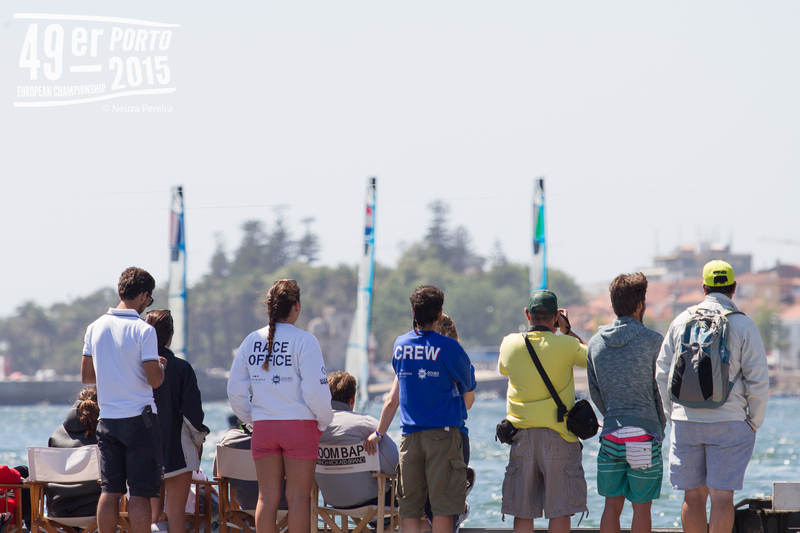 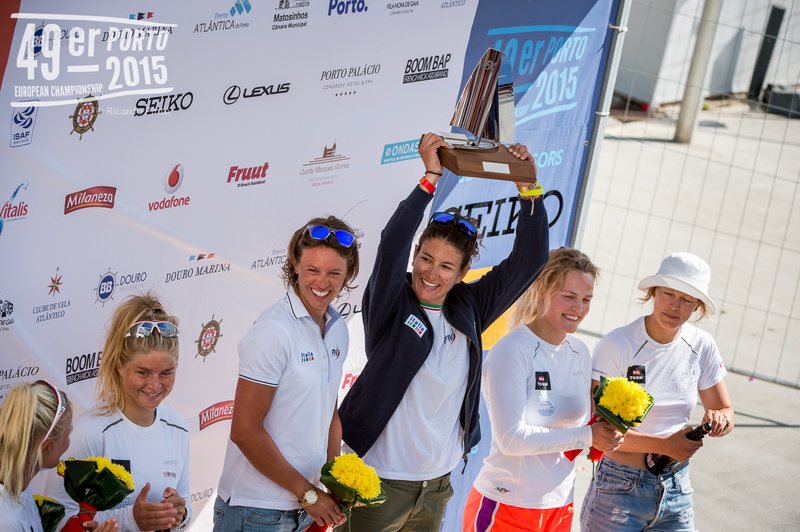 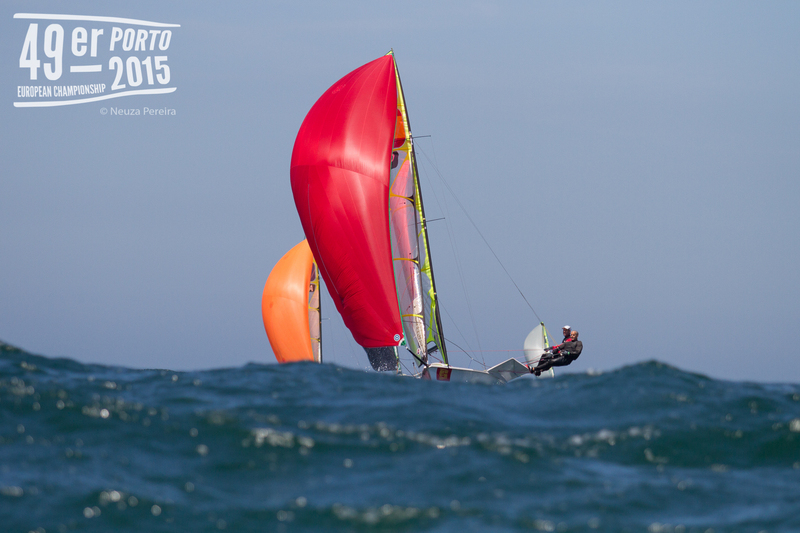 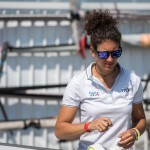 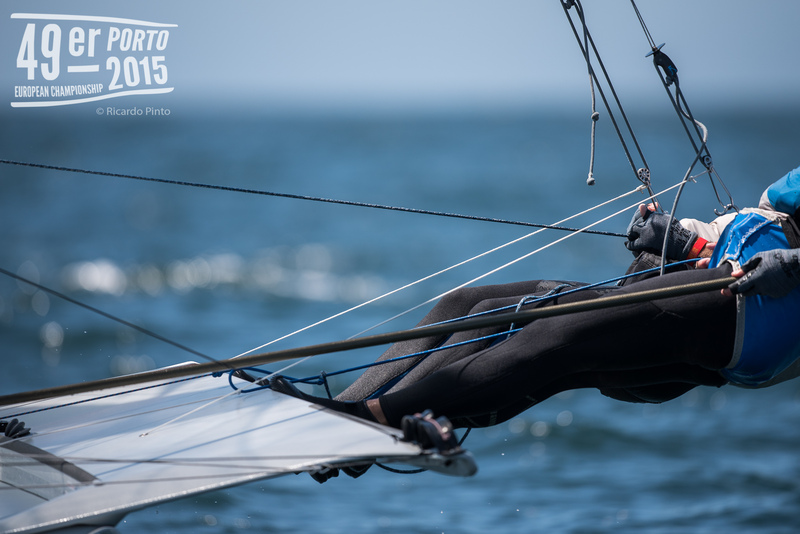 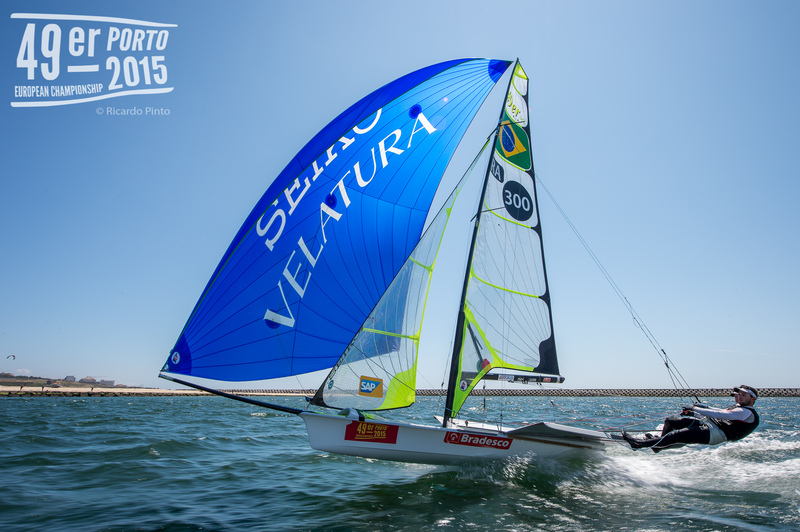 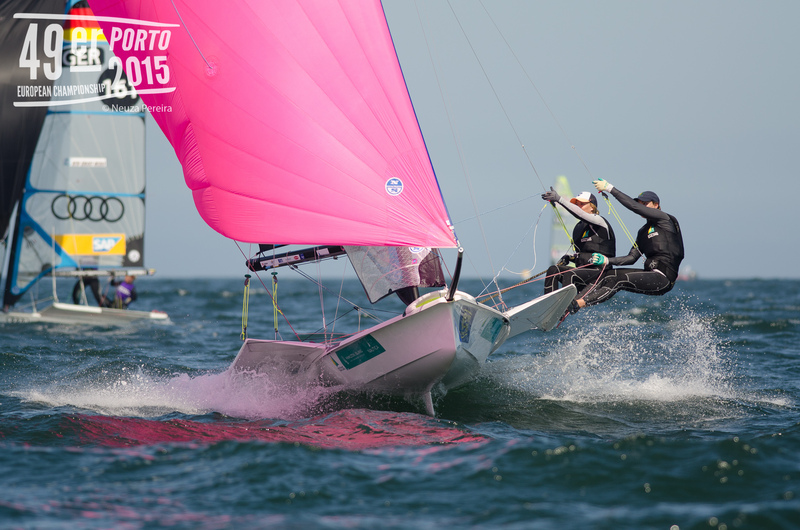 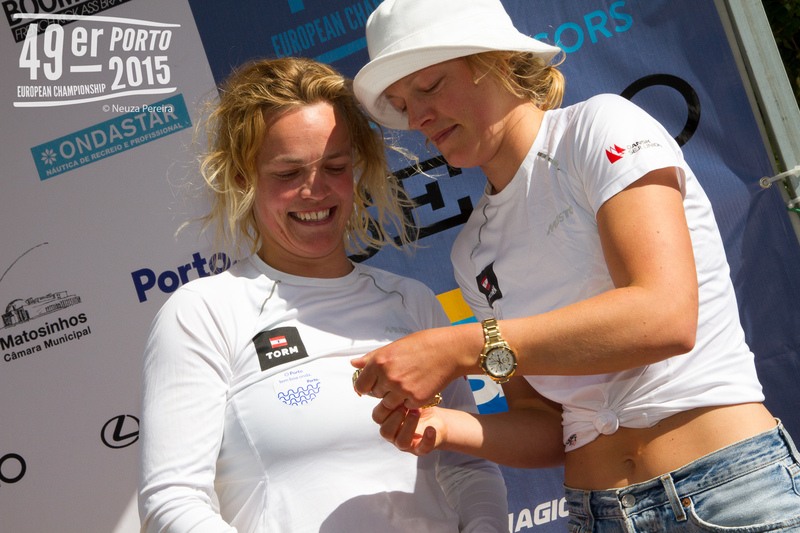 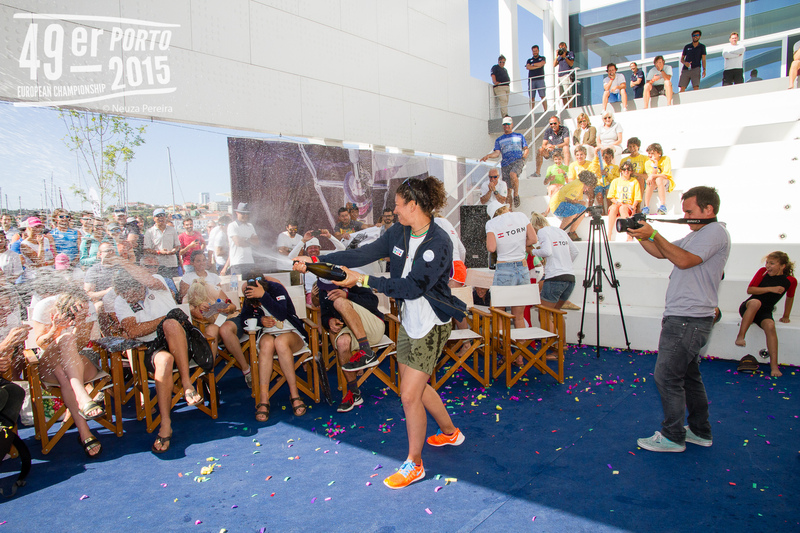 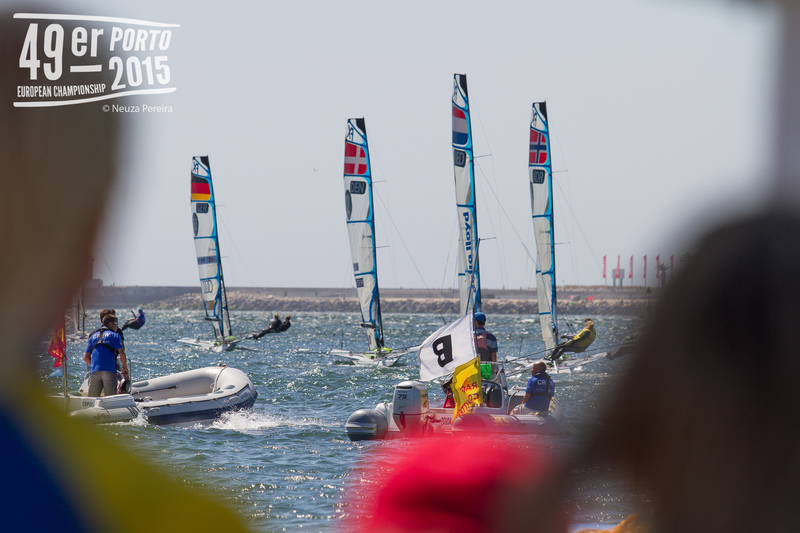 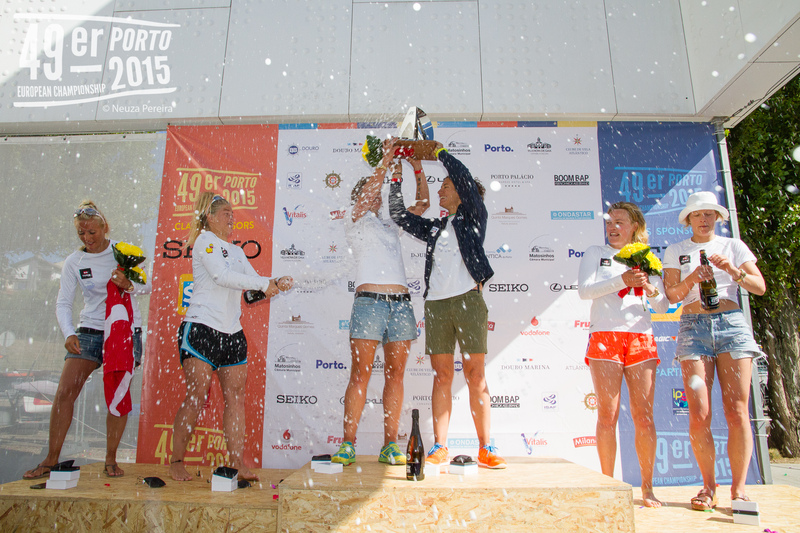 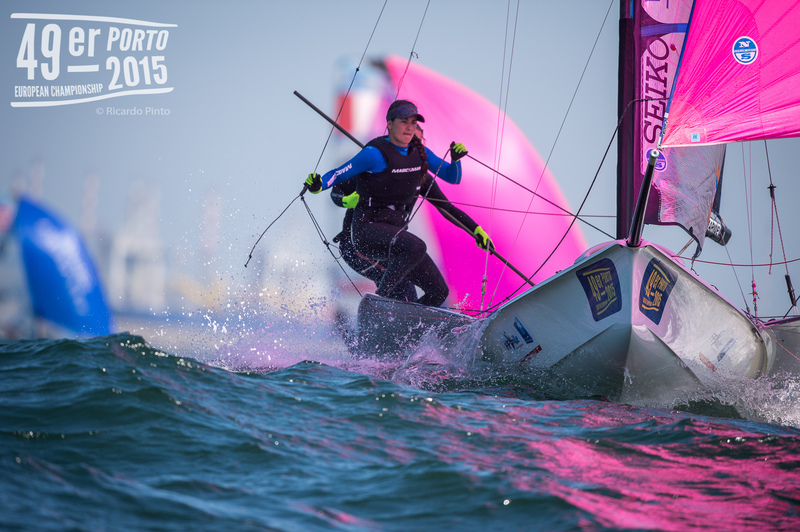 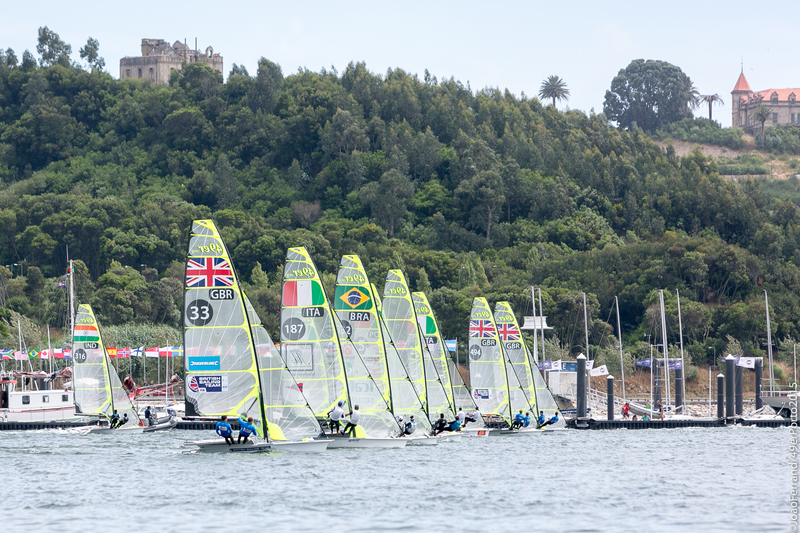 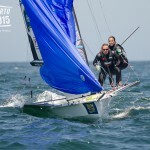 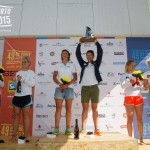 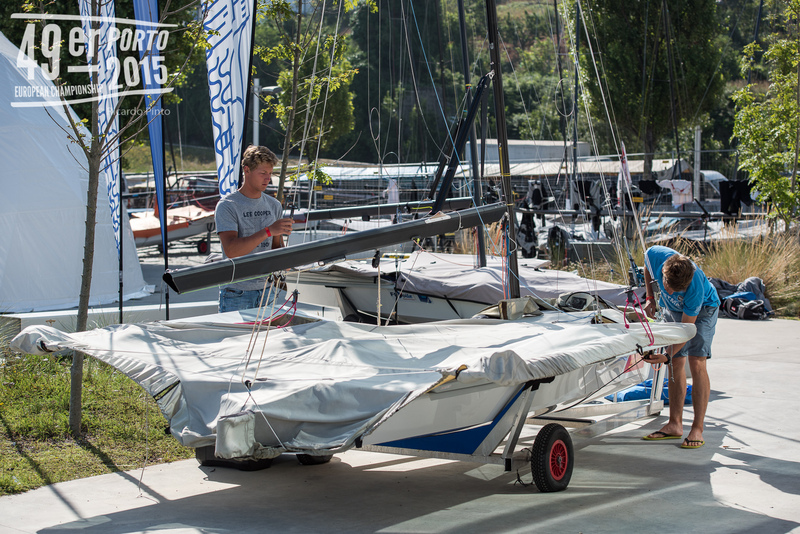 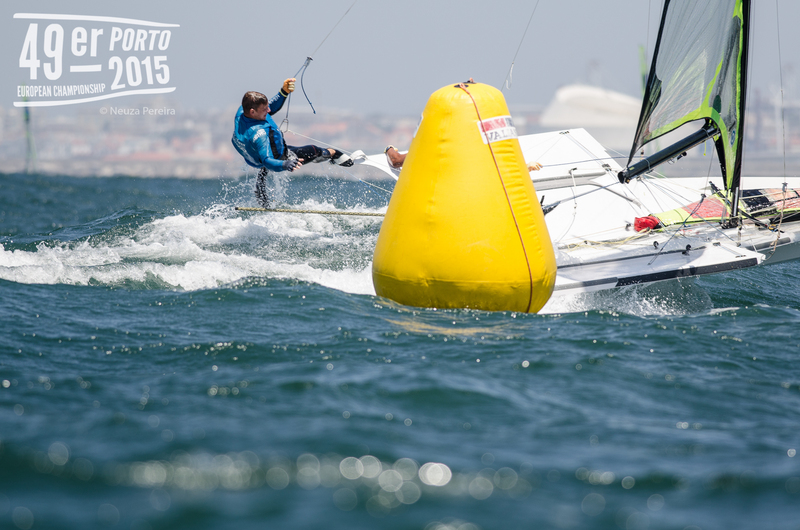 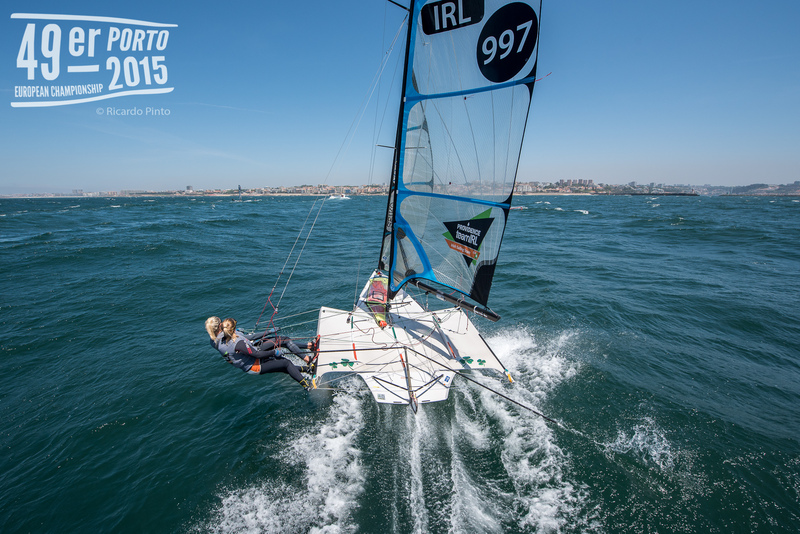 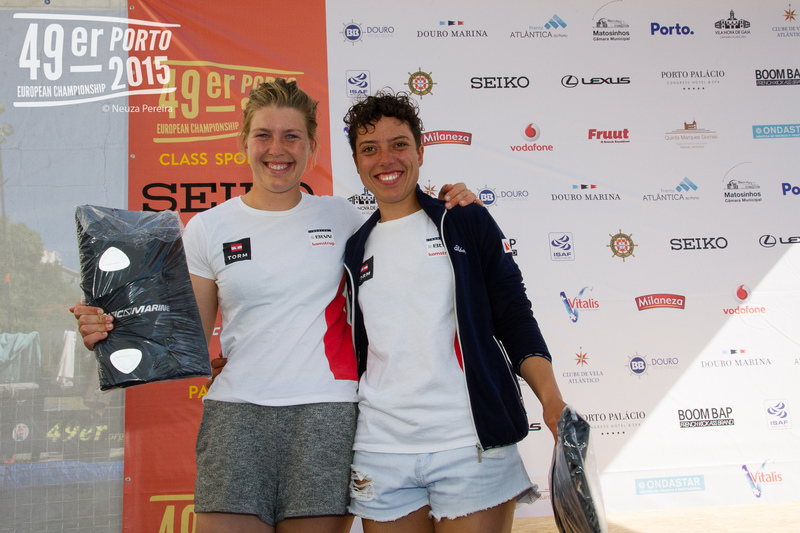 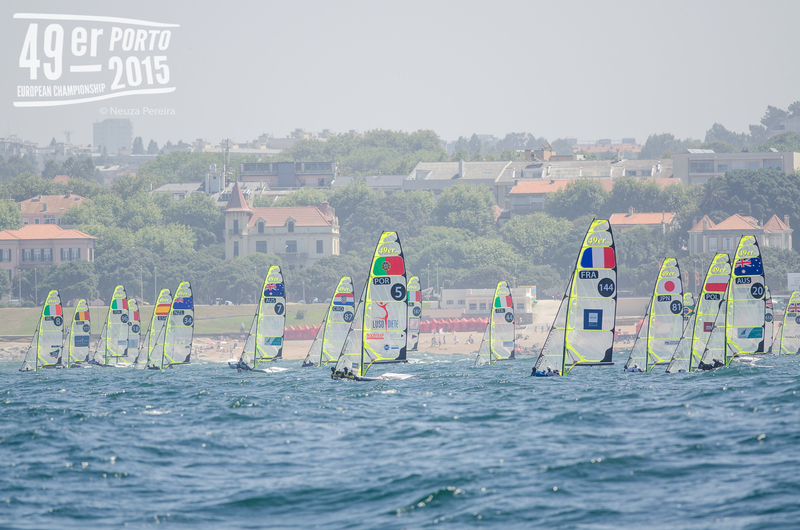 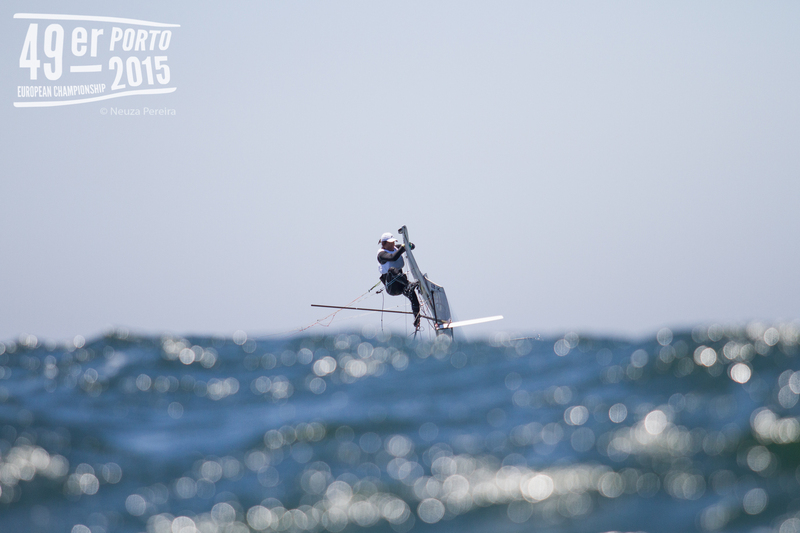 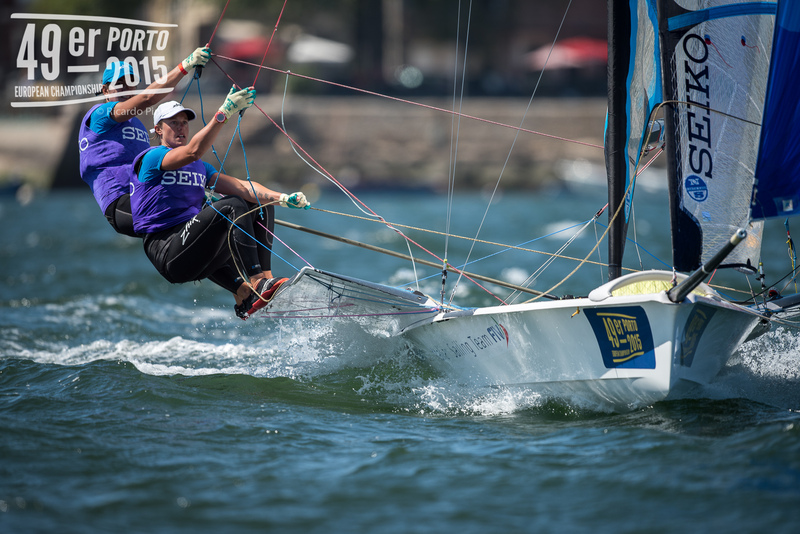 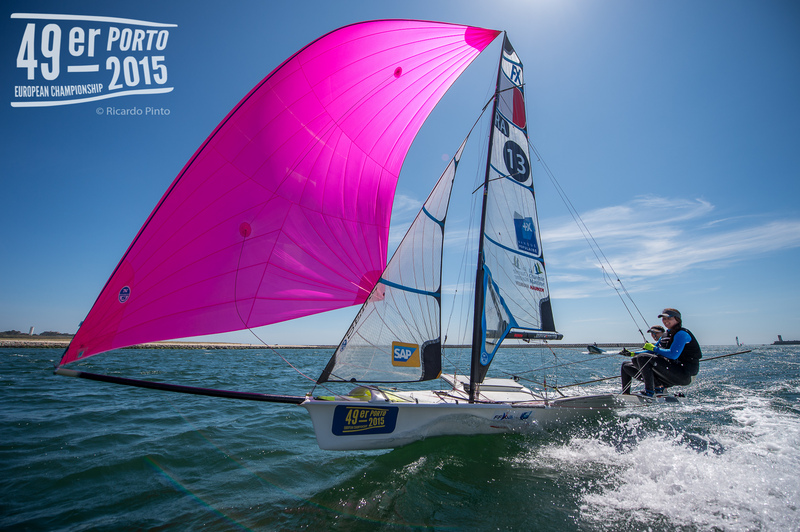 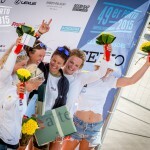 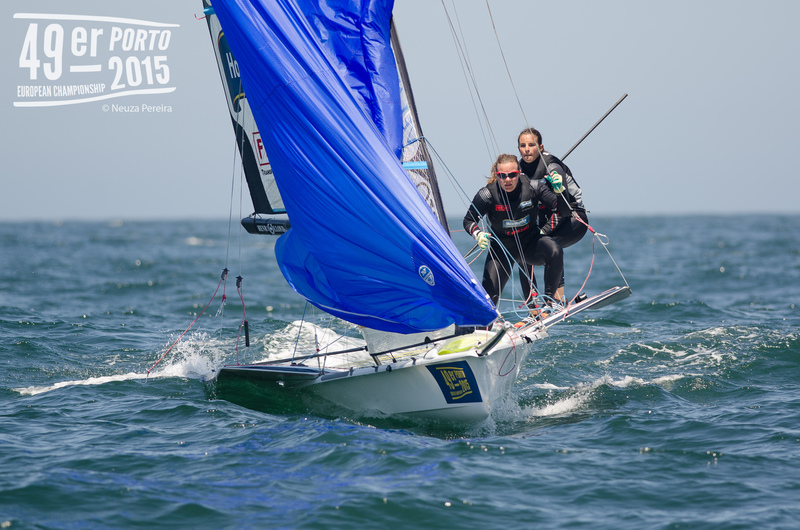 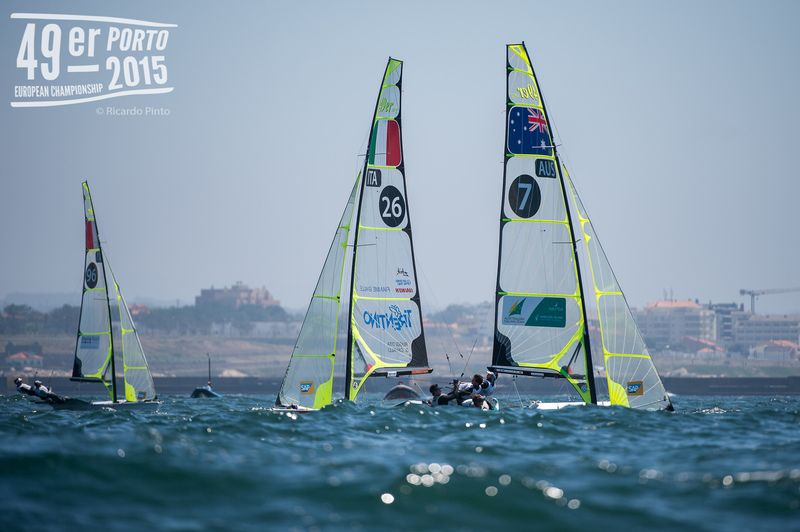 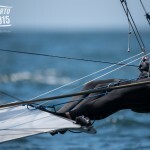 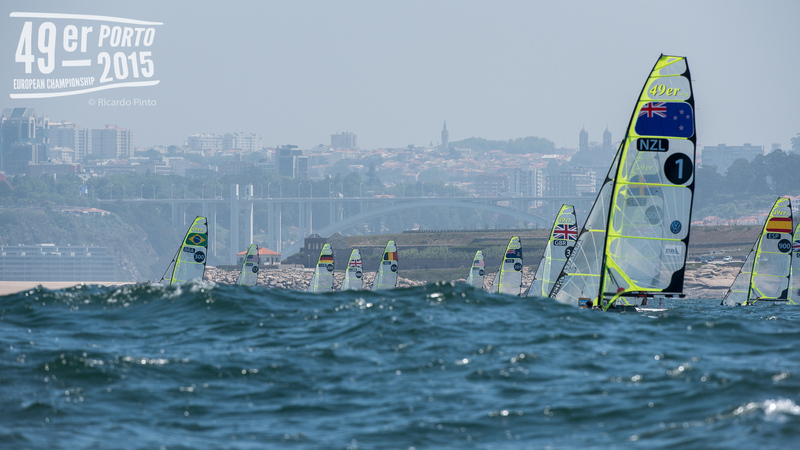 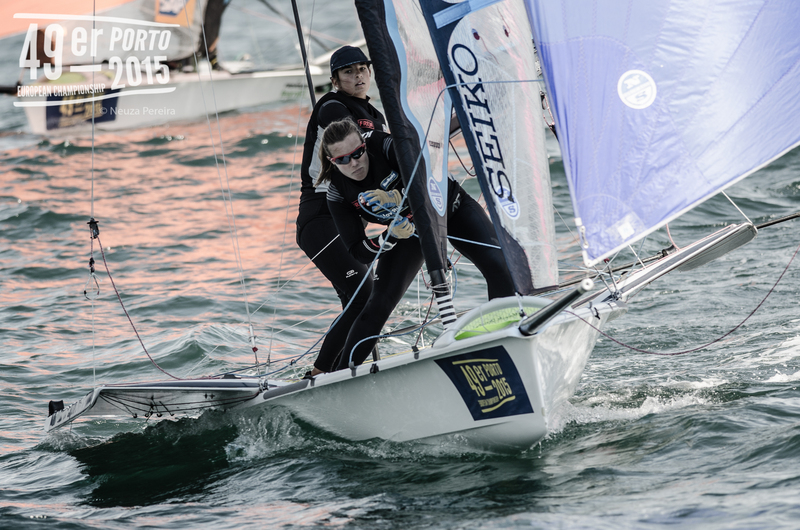 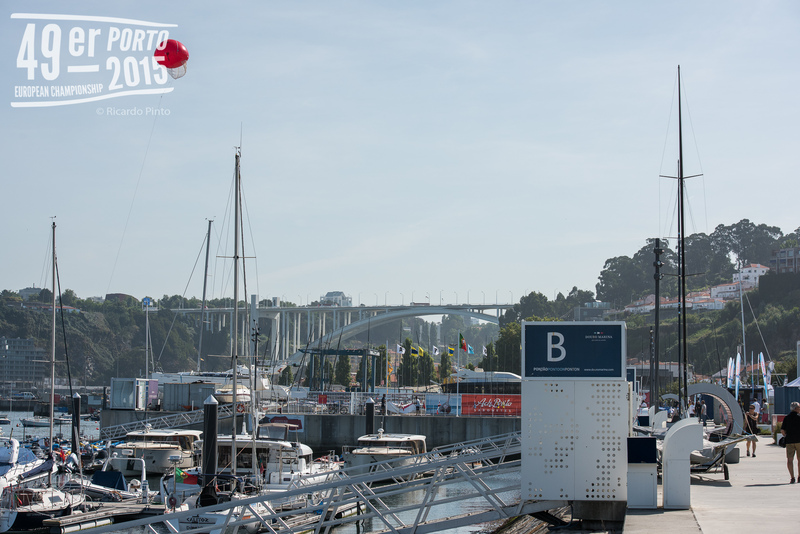 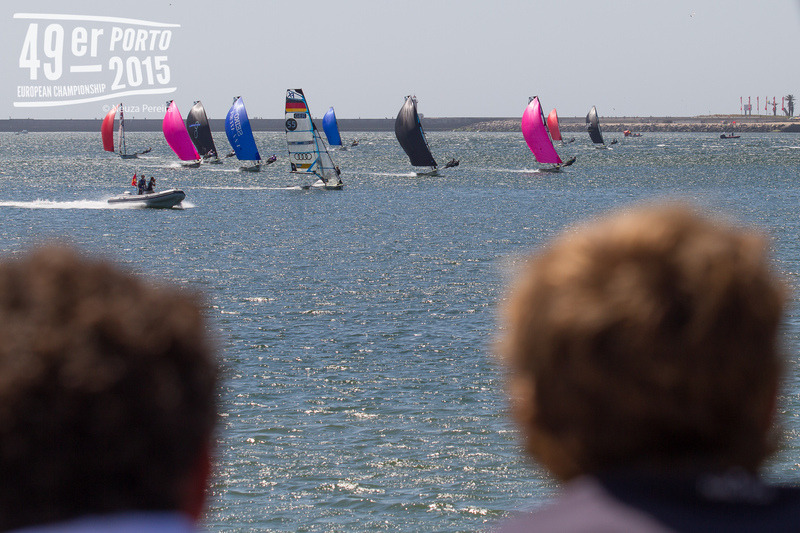 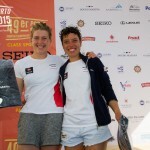 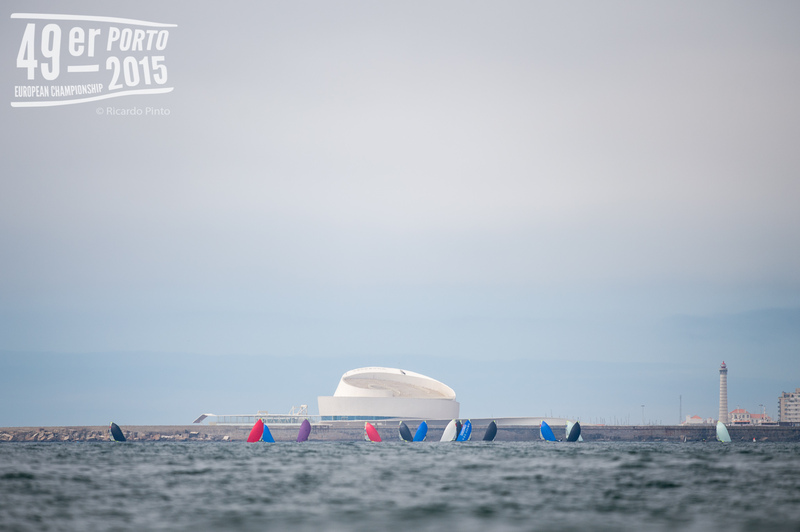 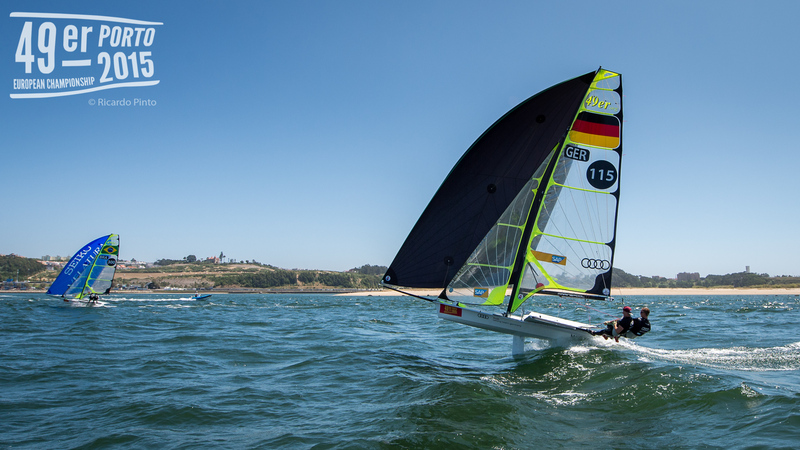 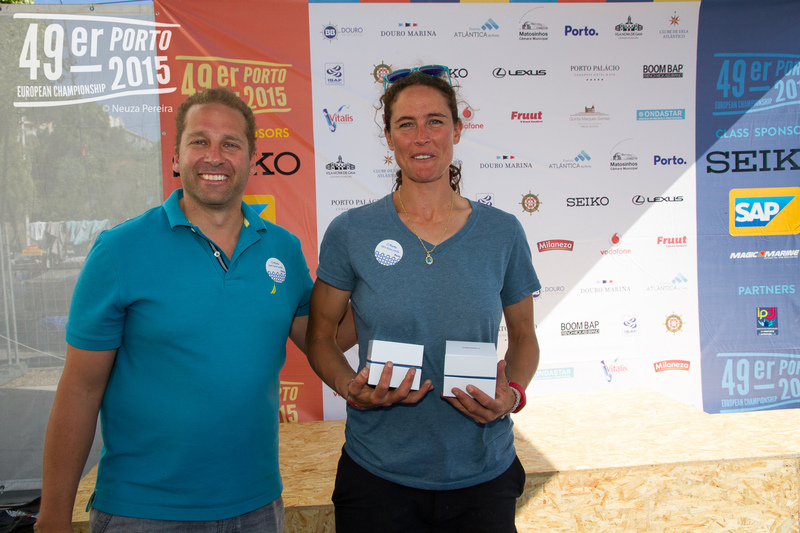 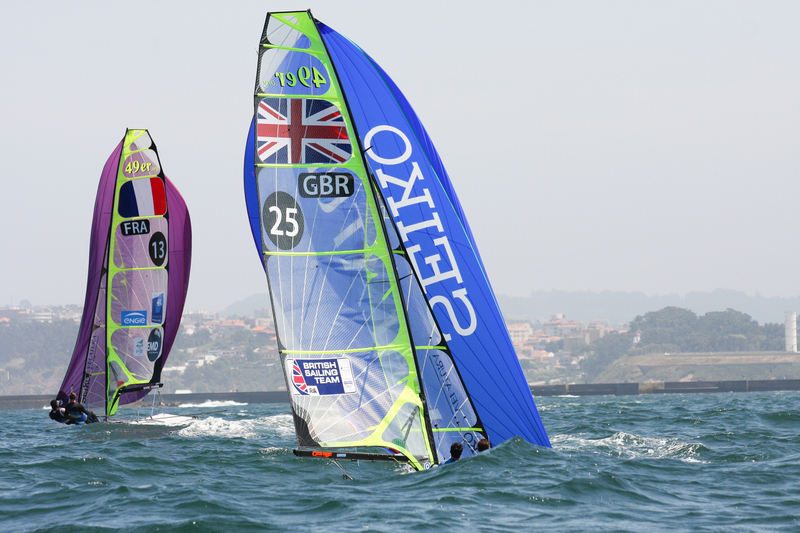 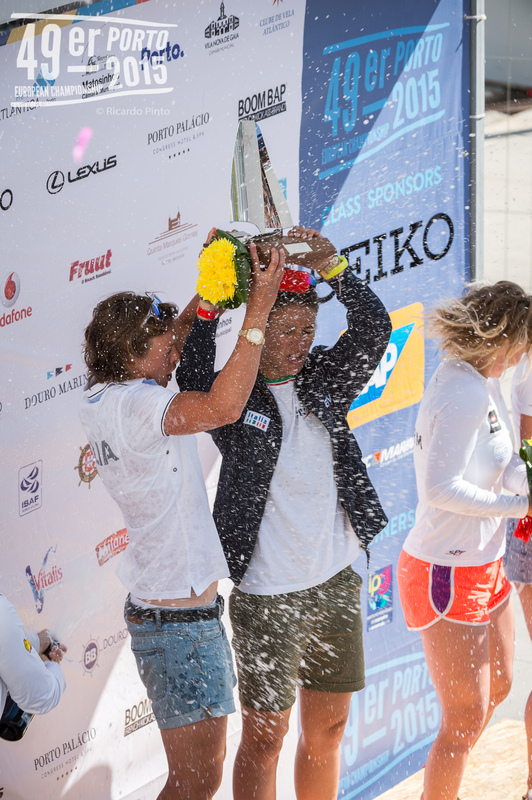 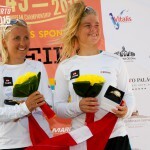 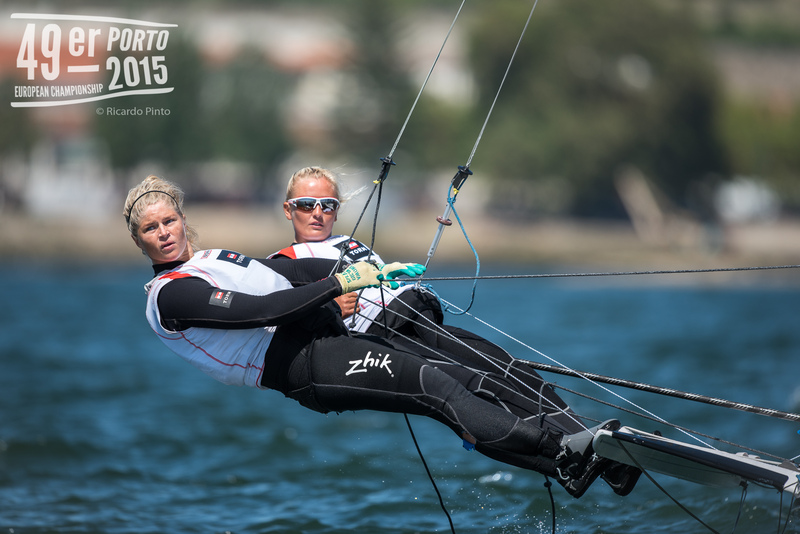 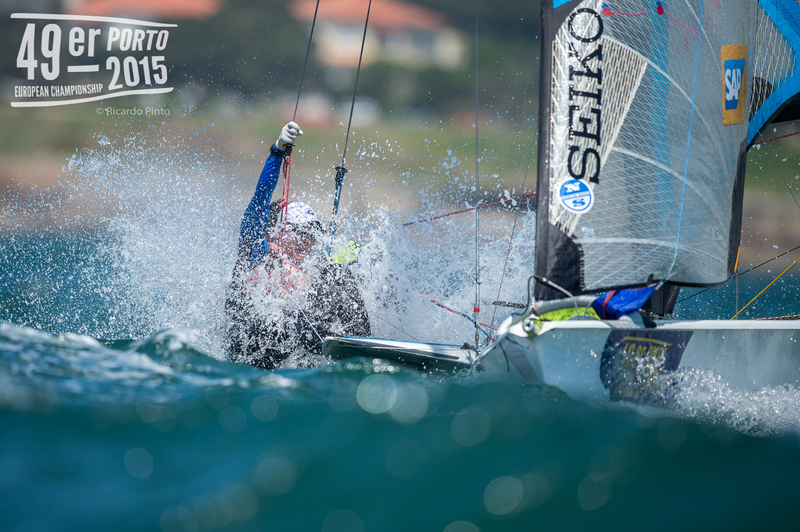 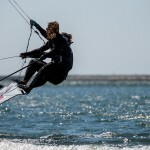 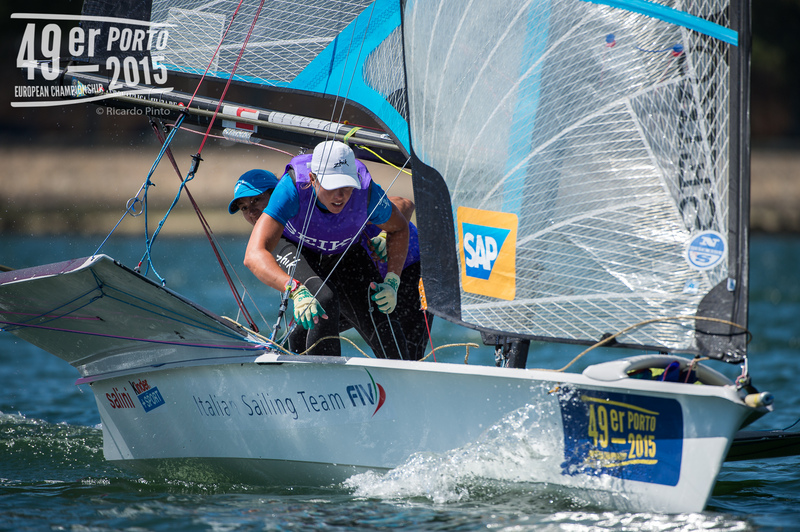 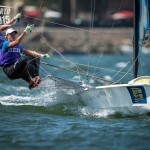 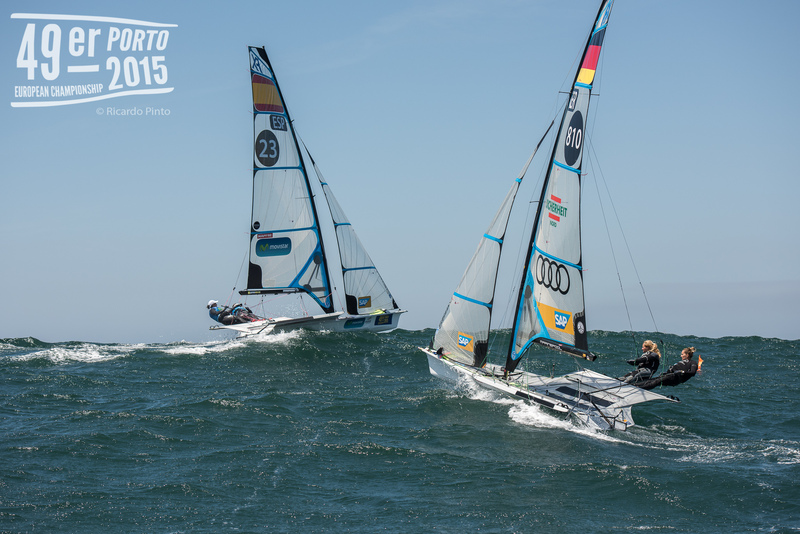 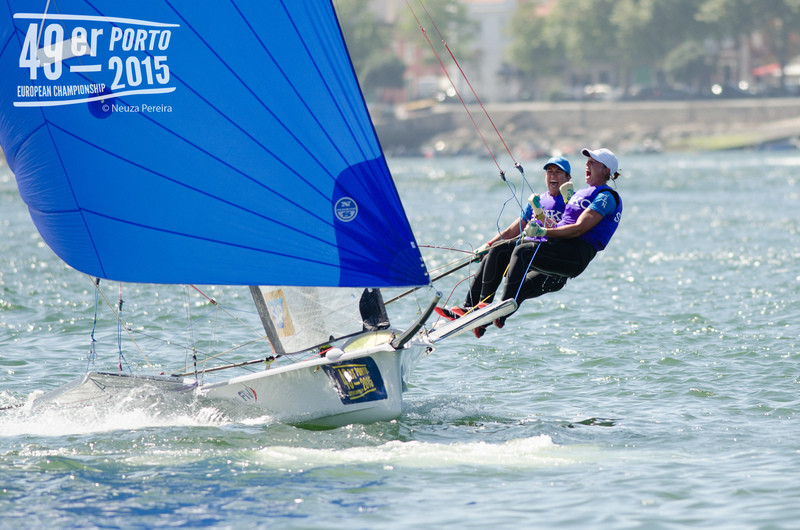 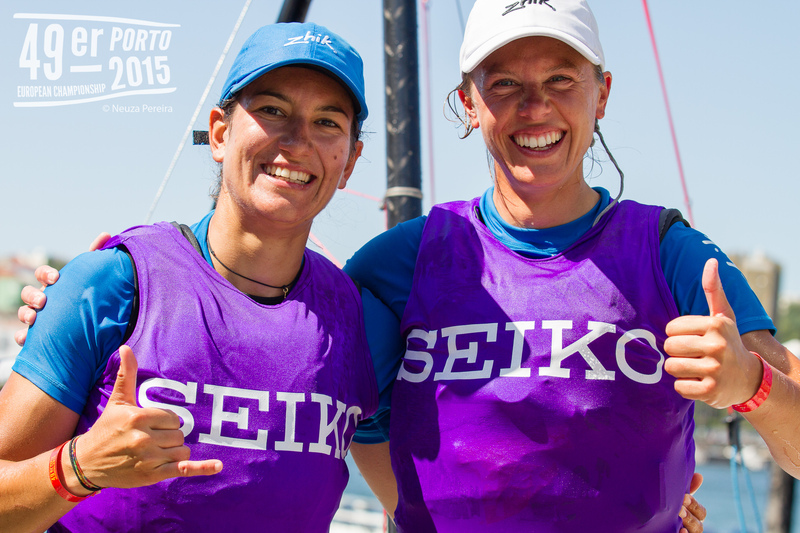 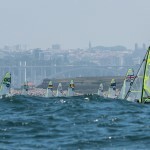 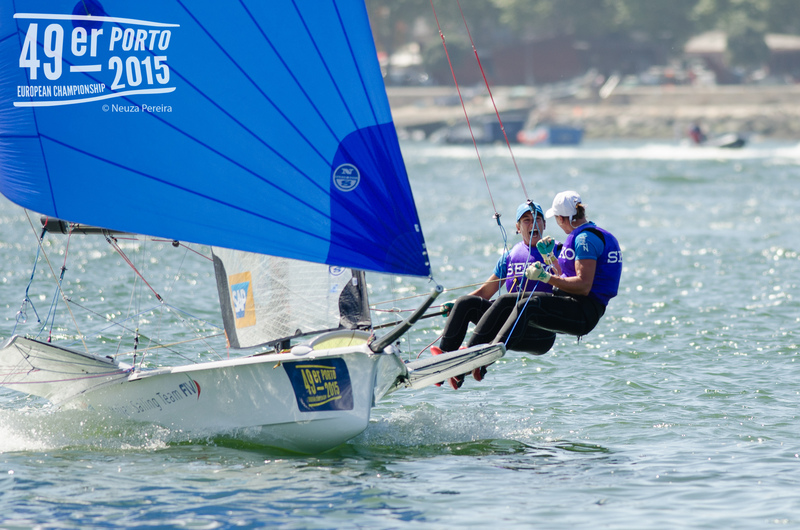 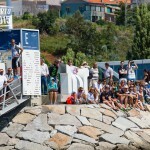 From July 6-11 the 49erFX (women’s) will race finishing with a medal race inside the river at 15:30 on July 11th. 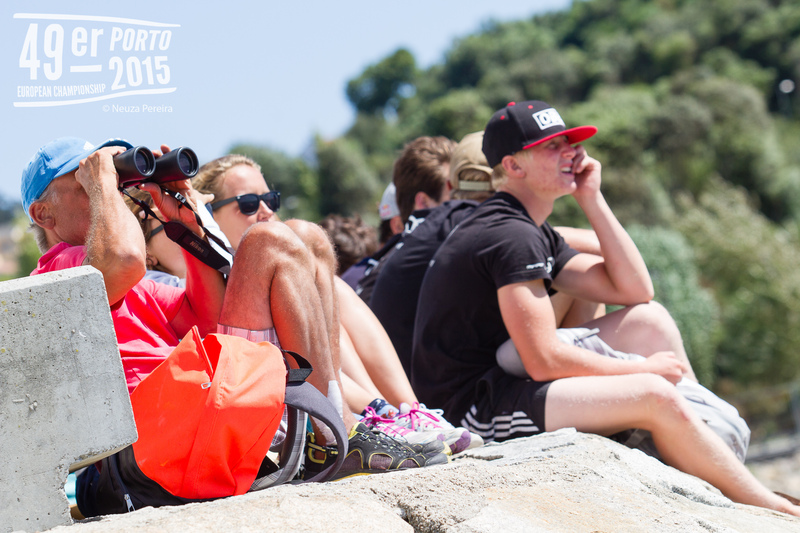 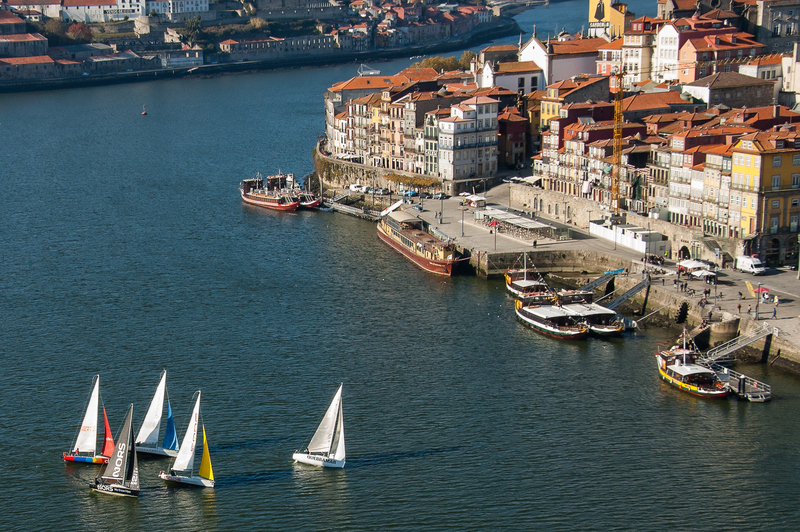 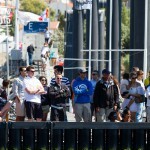 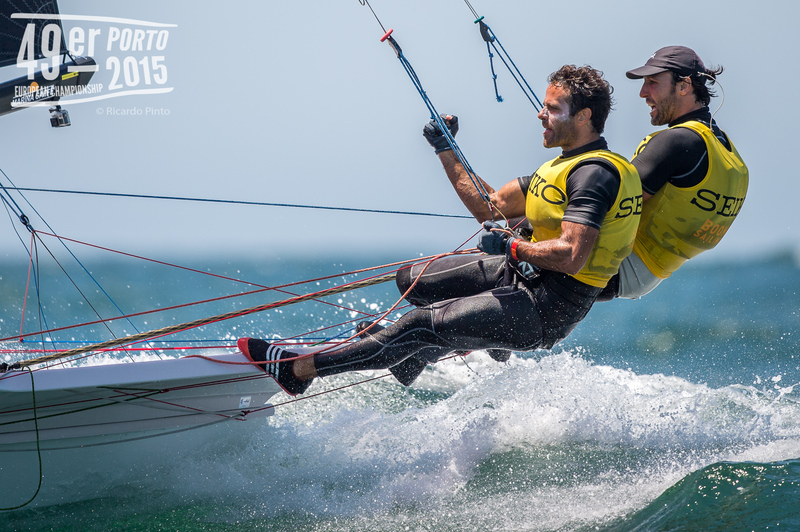 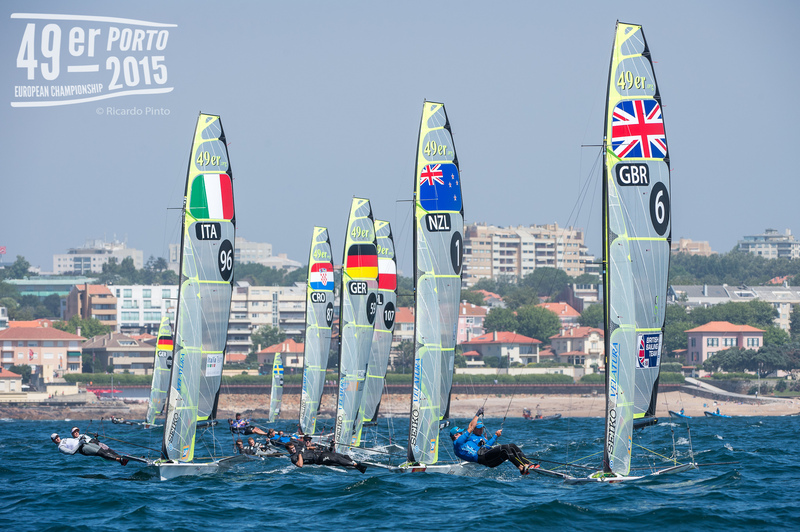 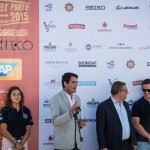 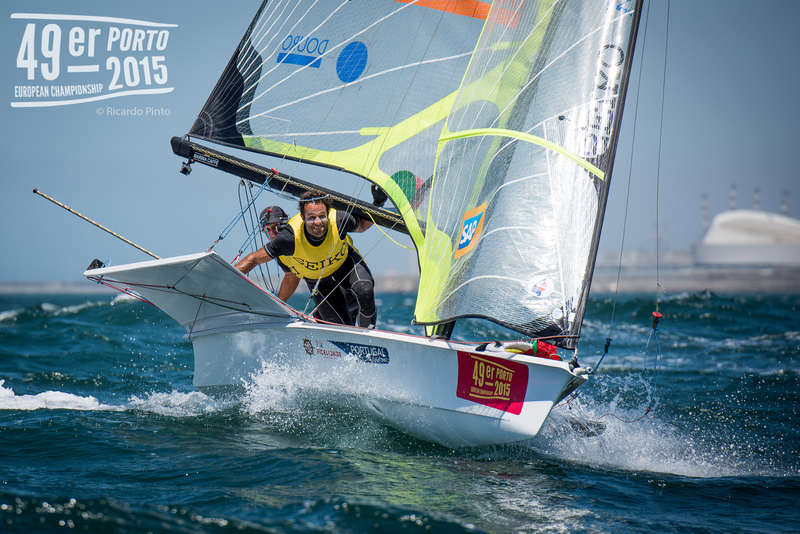 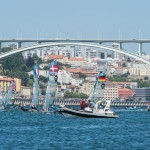 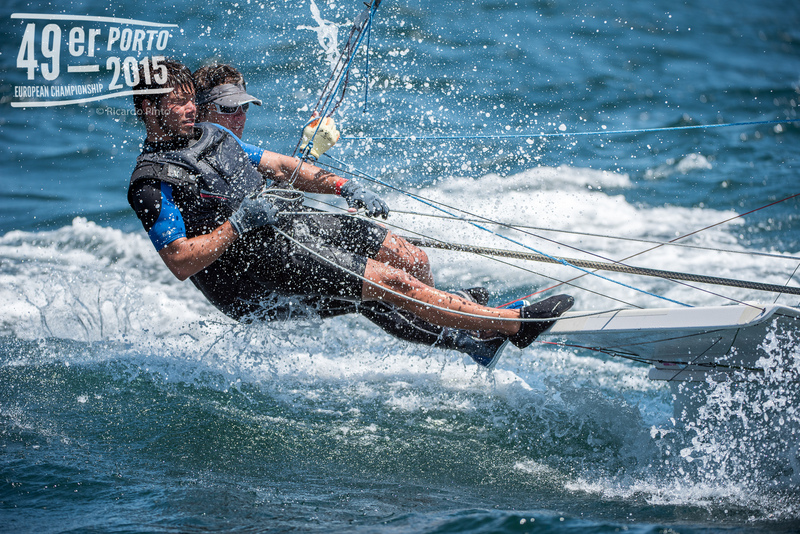 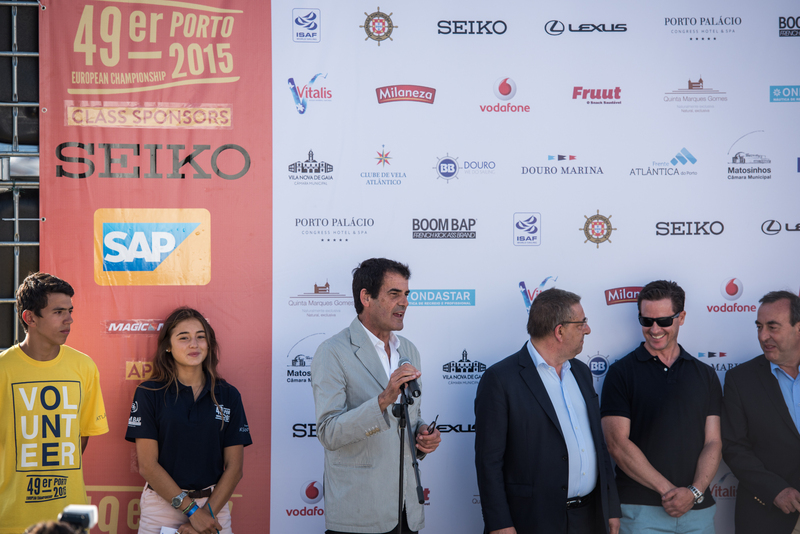 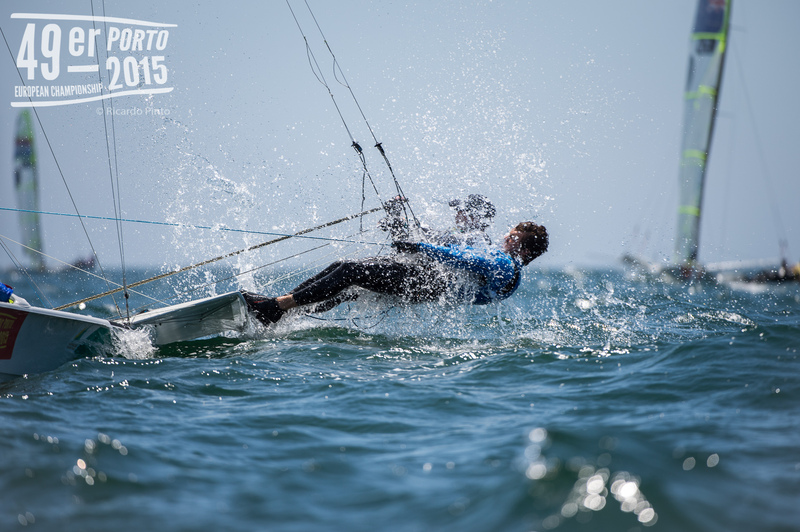 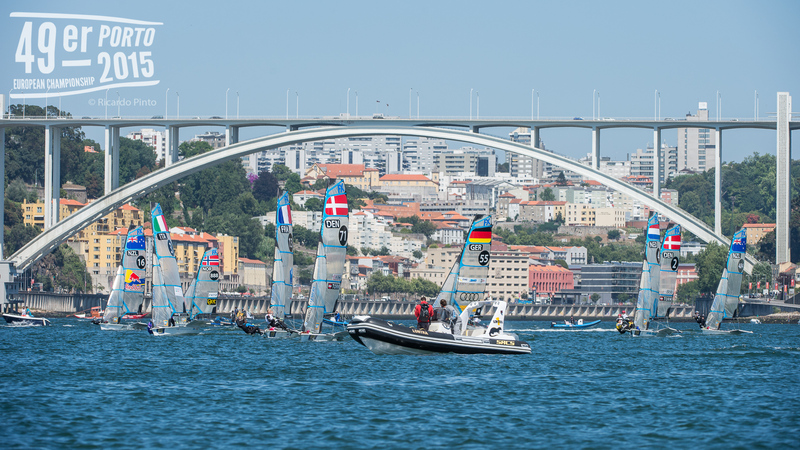 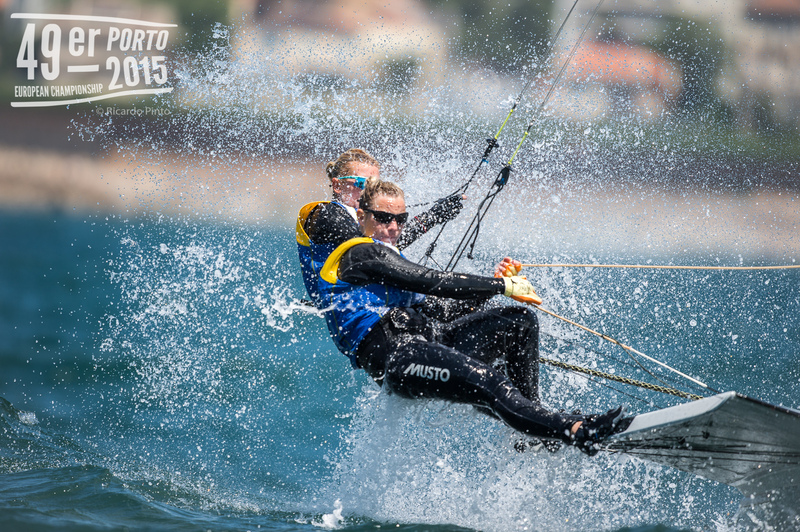 From July 7-12 the 49er (men’s) will race finishing with a medal race inside the river at 15:30 on July 12th. 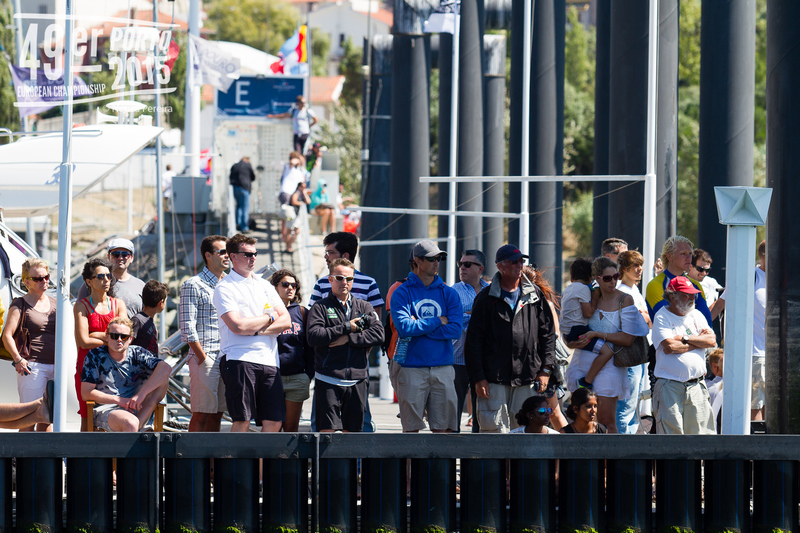 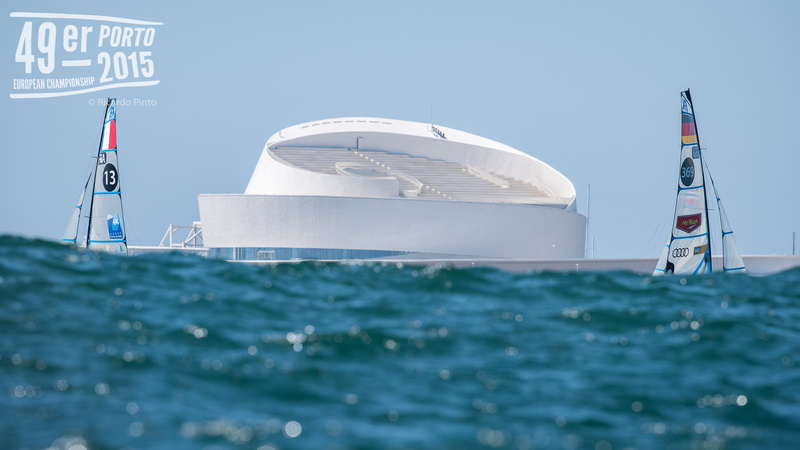 From July 9-12 there will be tickets available for a spectator boat available for either the morning or afternoon sessions. 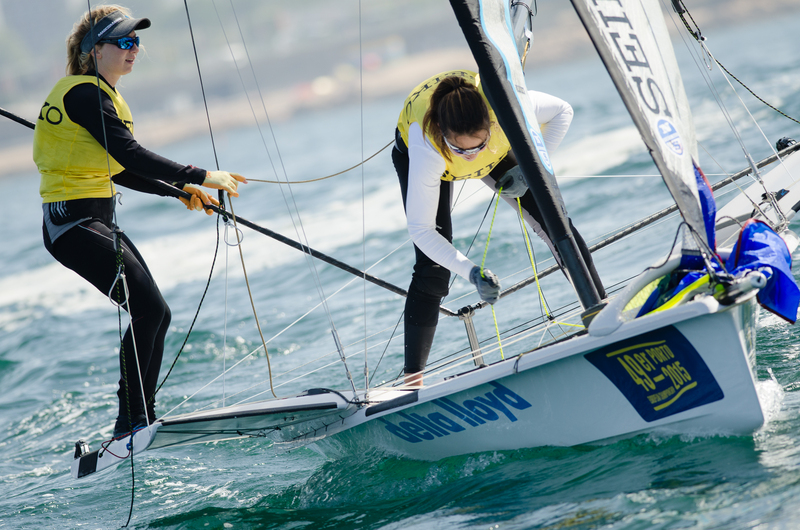 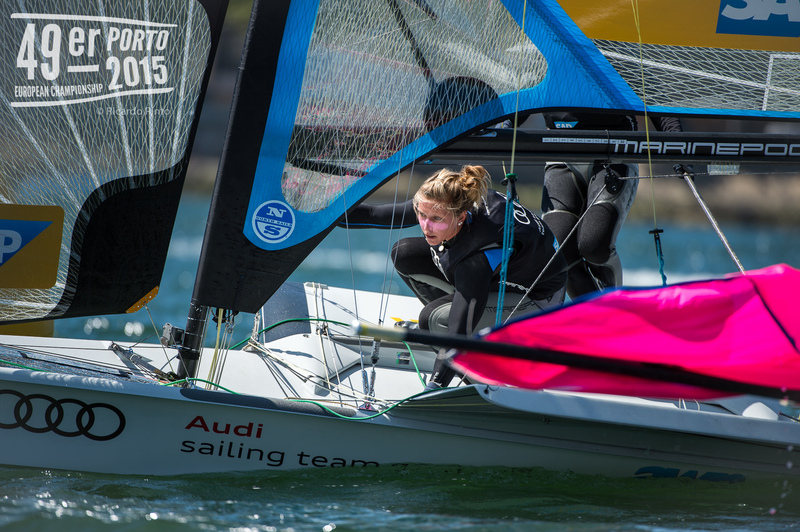 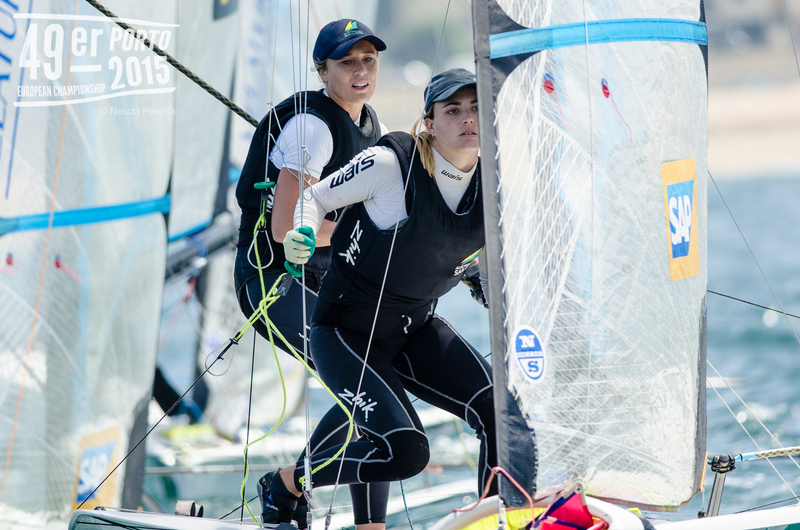 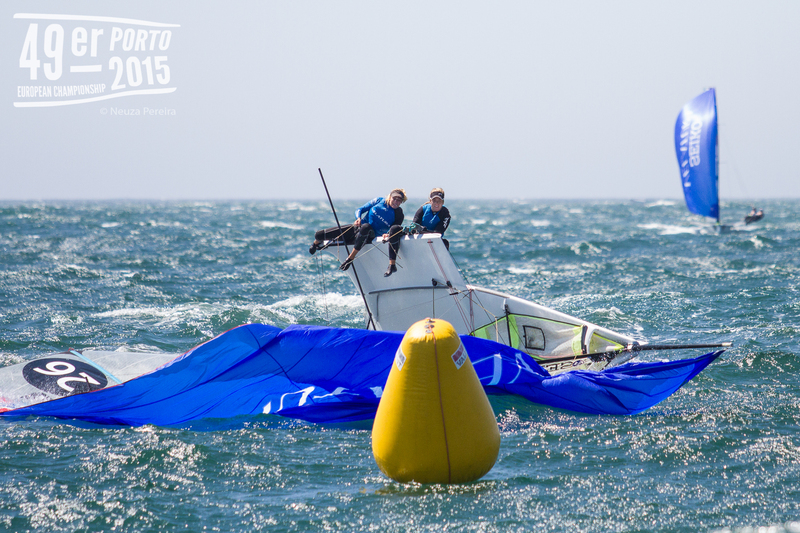 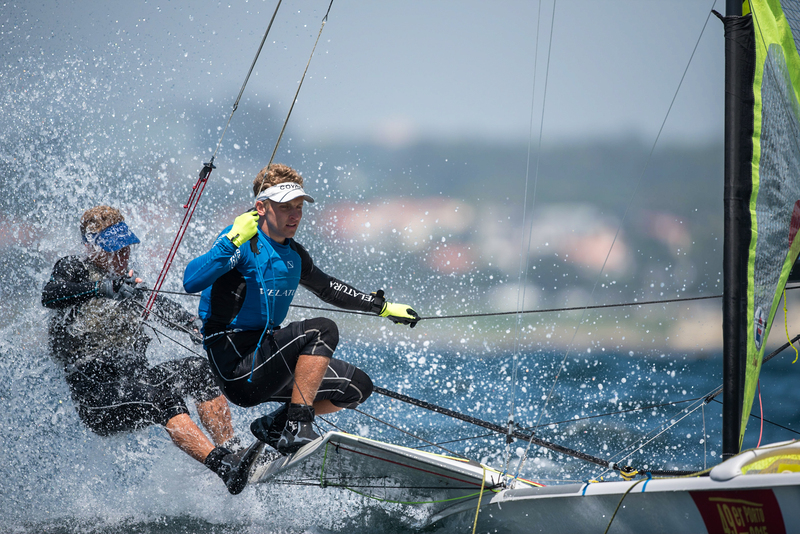 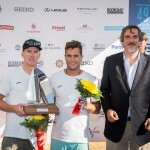 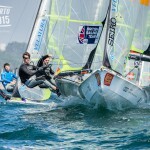 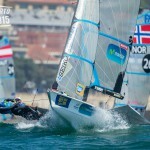 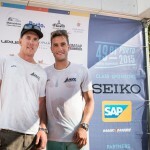 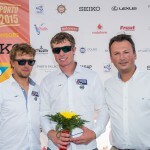 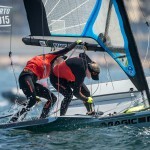 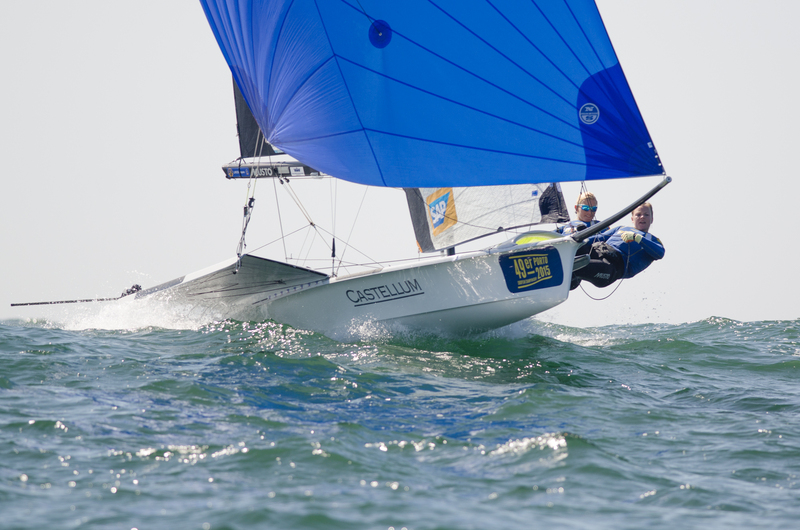 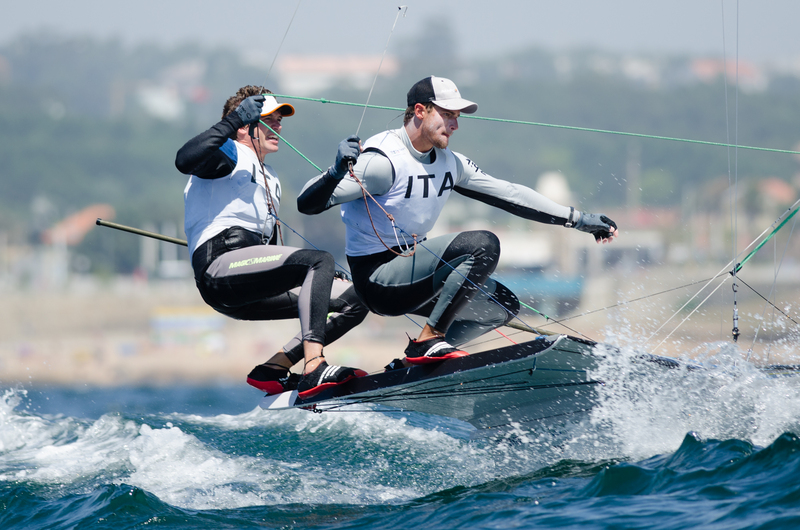 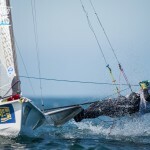 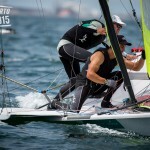 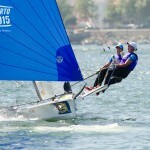 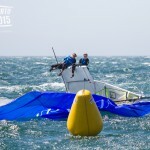 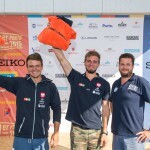 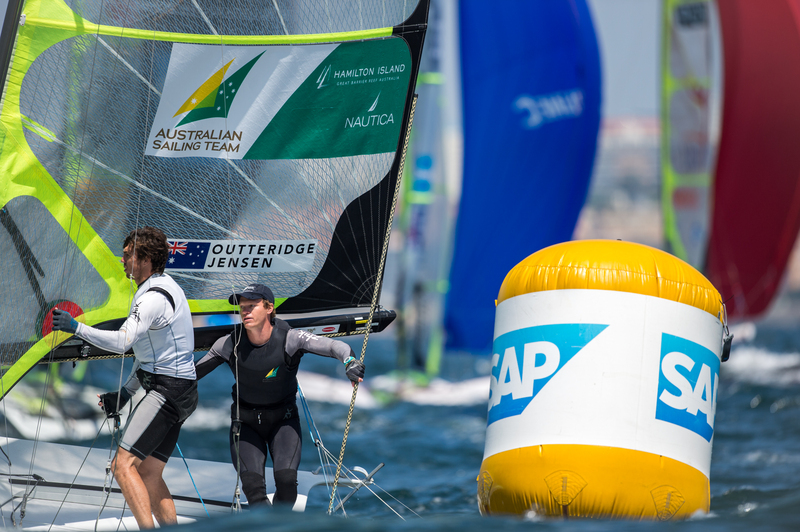 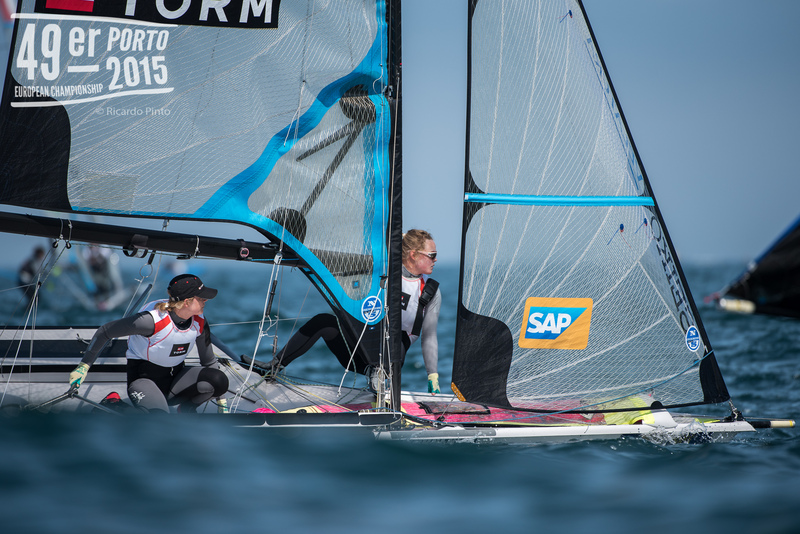 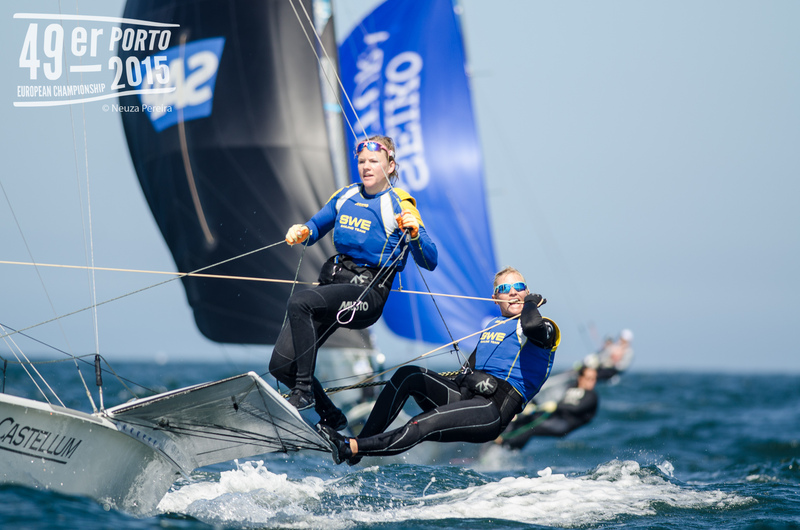 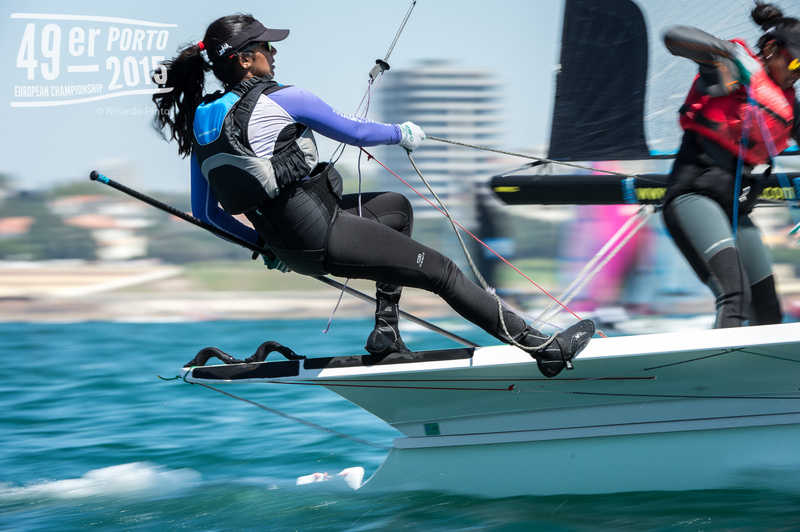 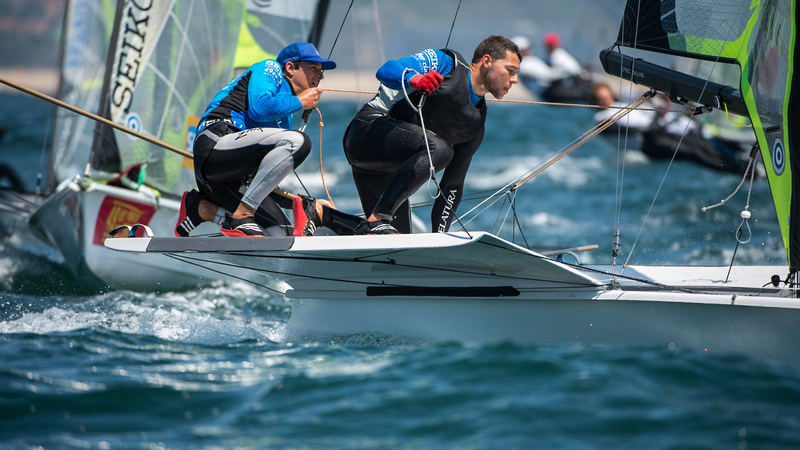 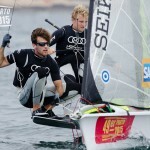 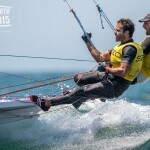 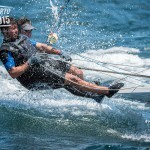 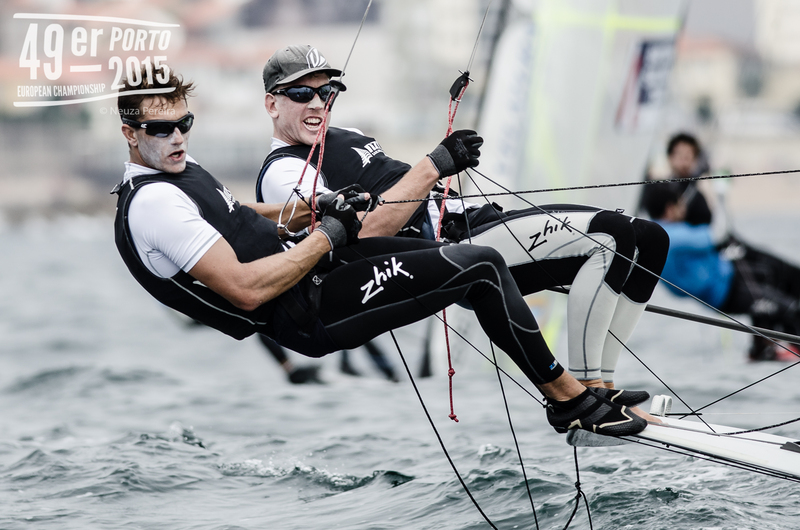 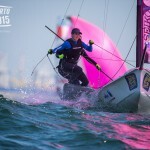 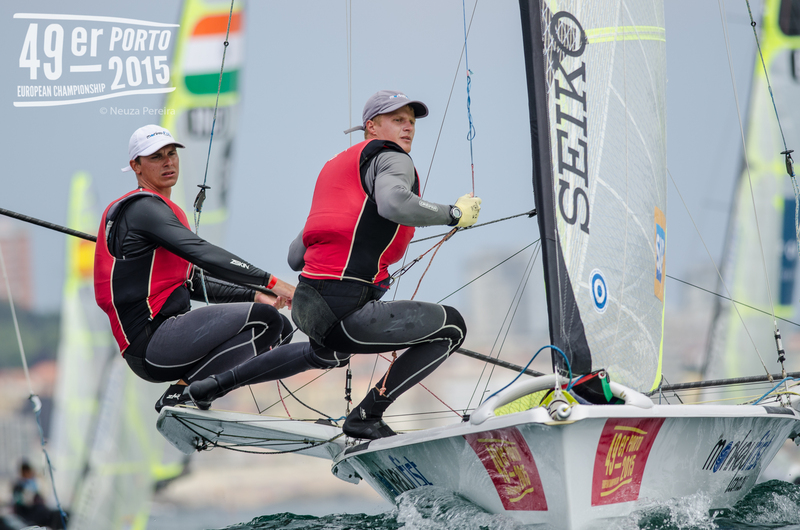 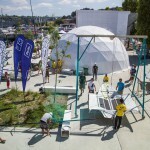 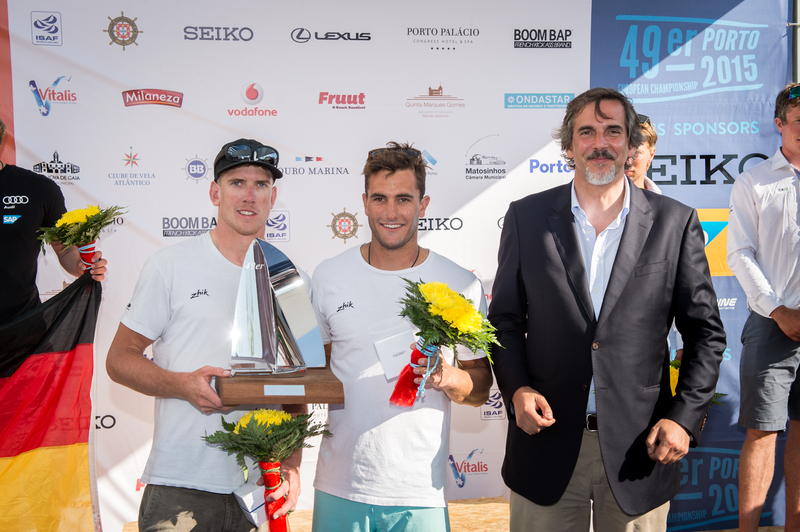 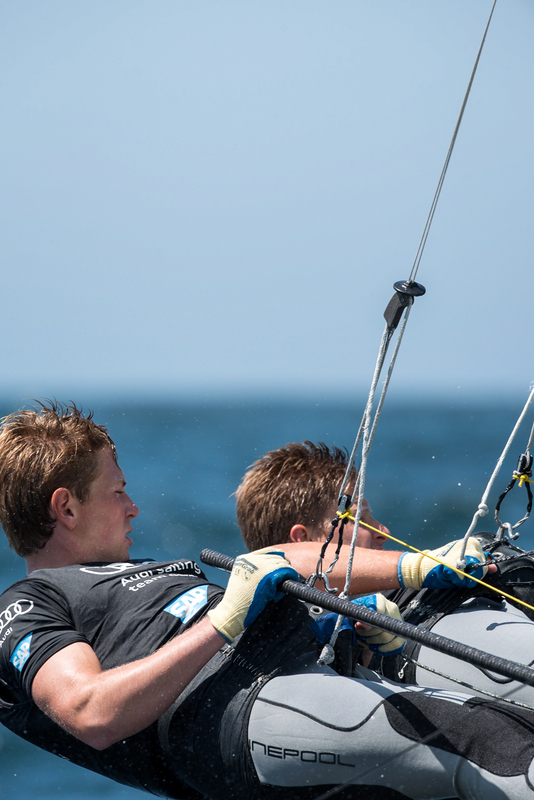 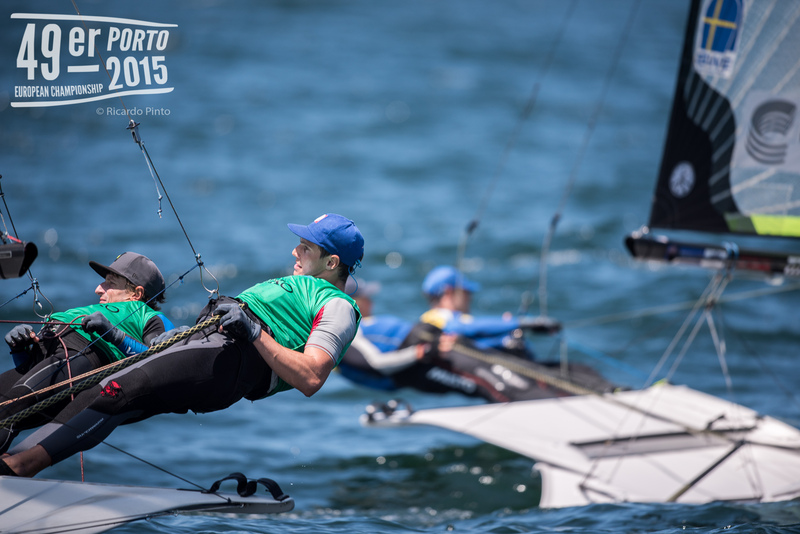 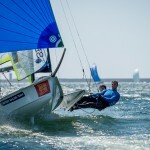 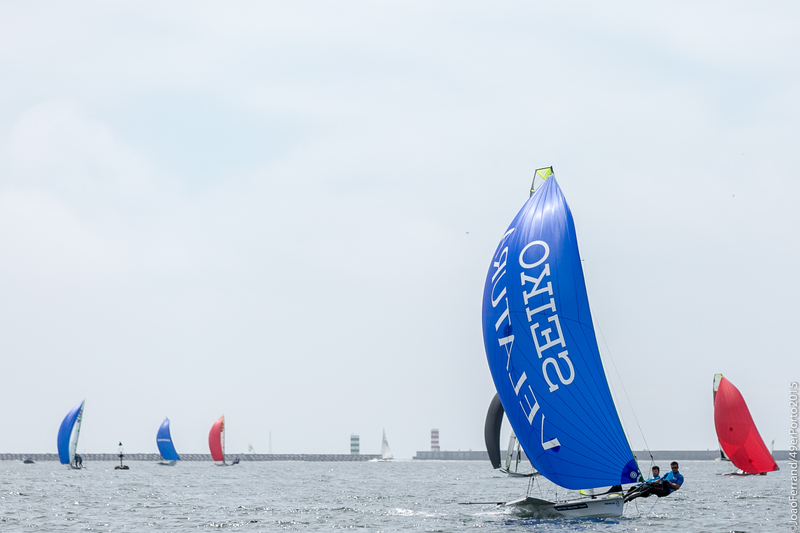 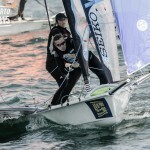 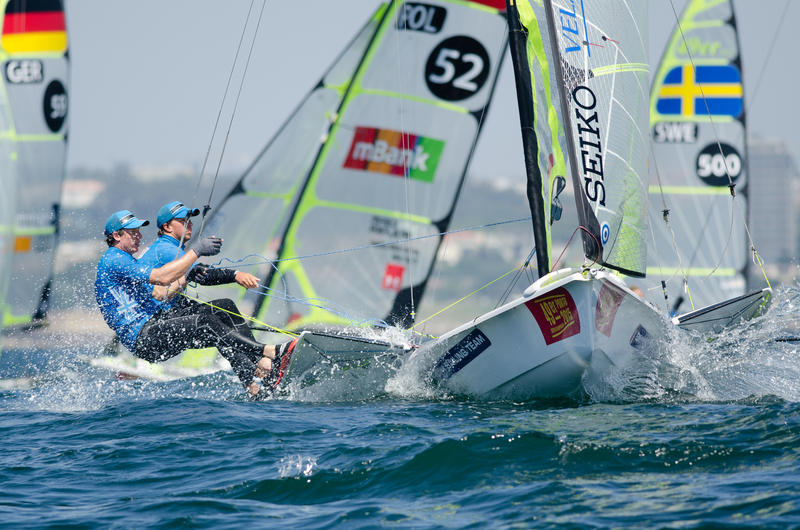 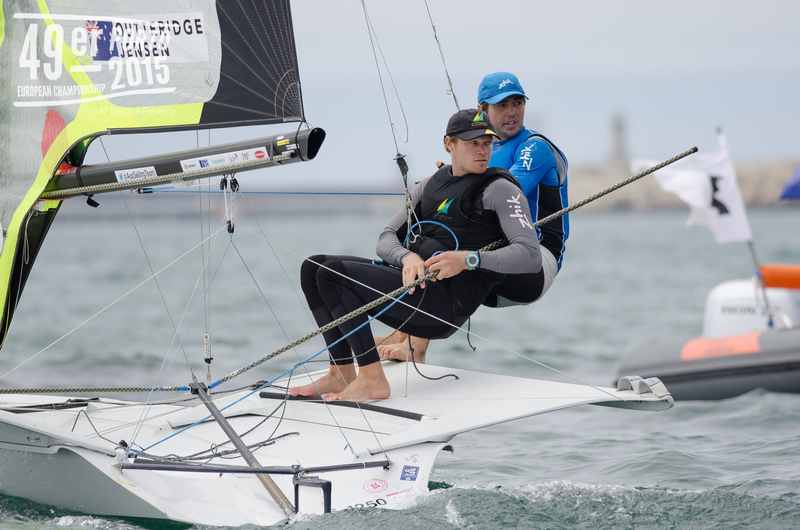 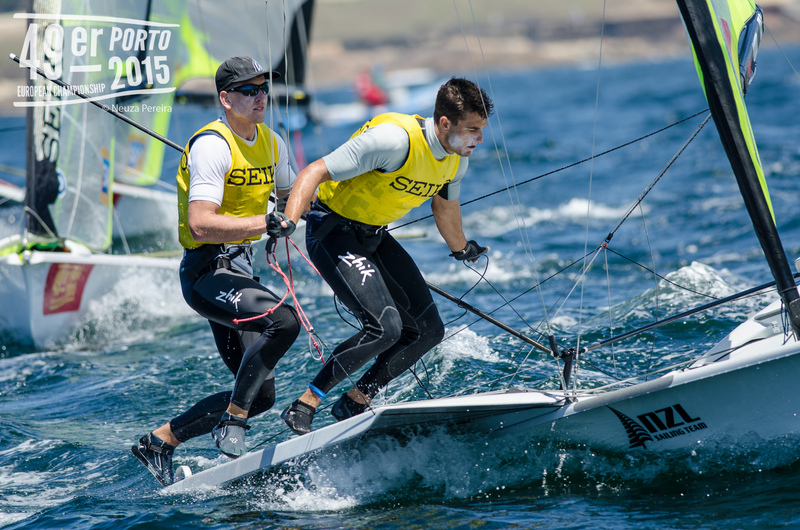 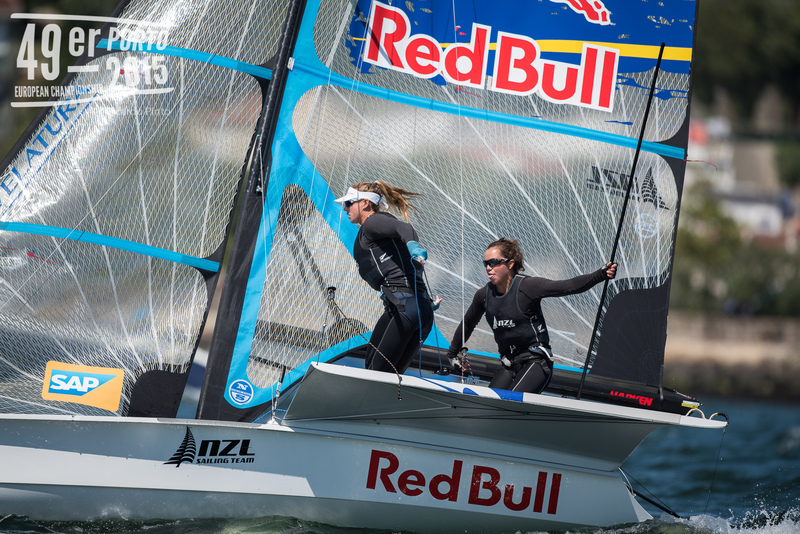 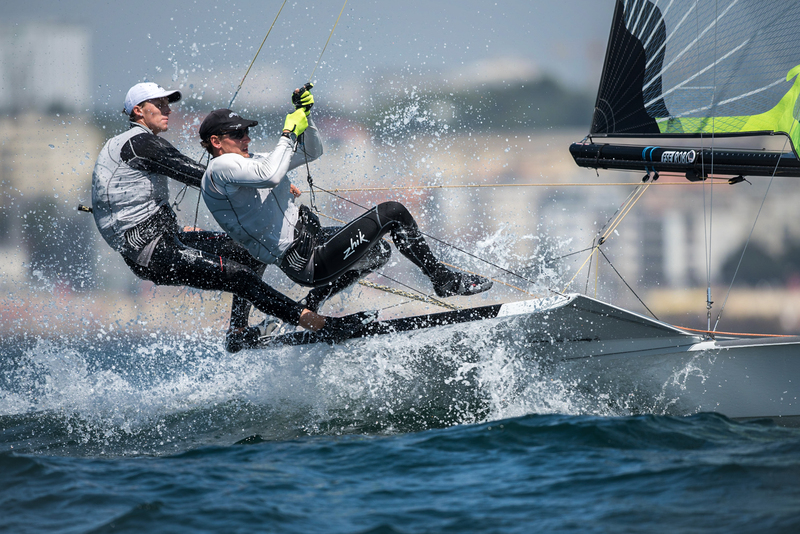 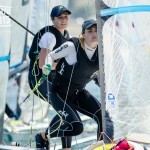 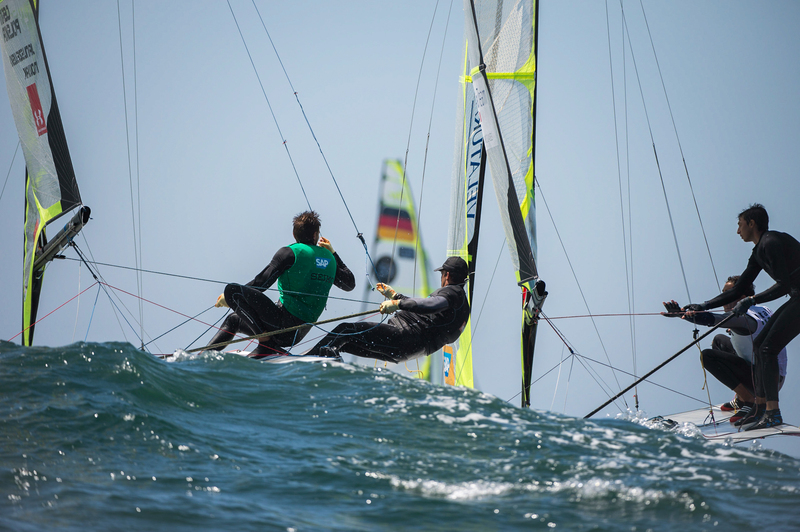 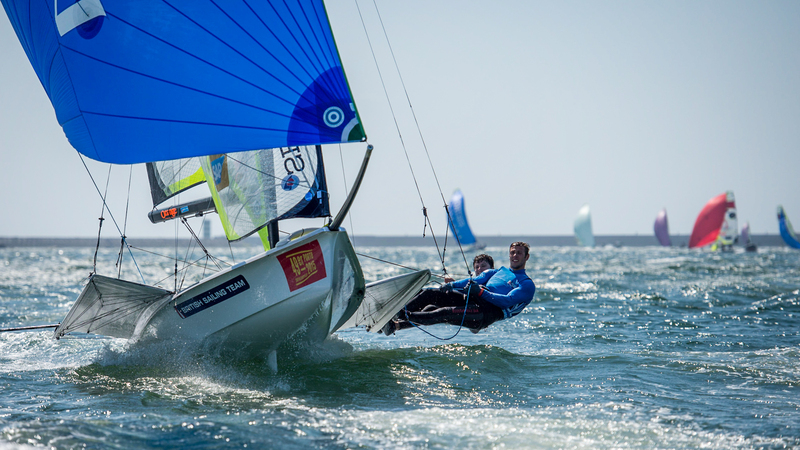 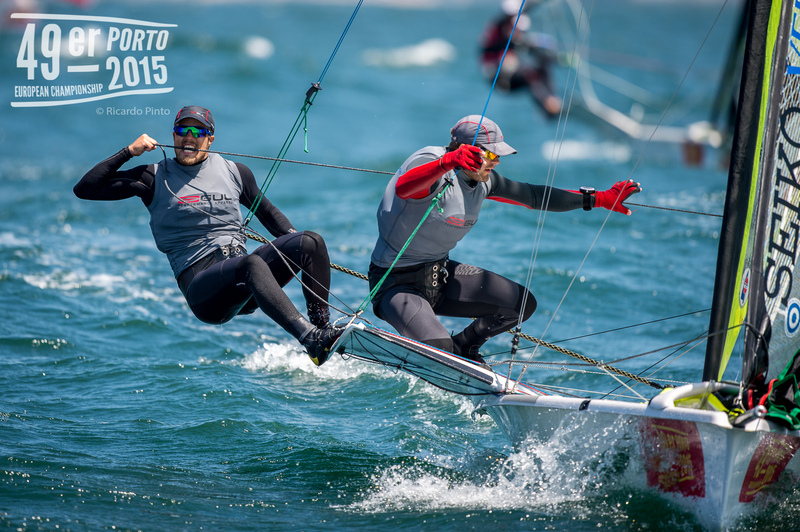 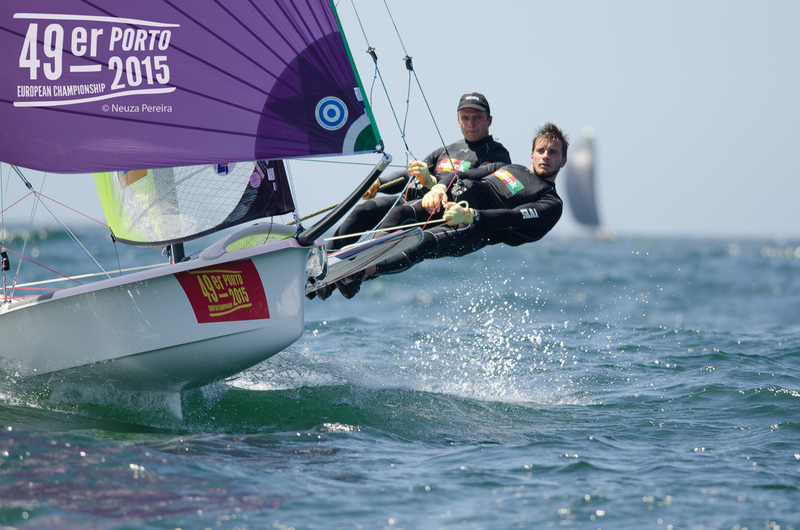 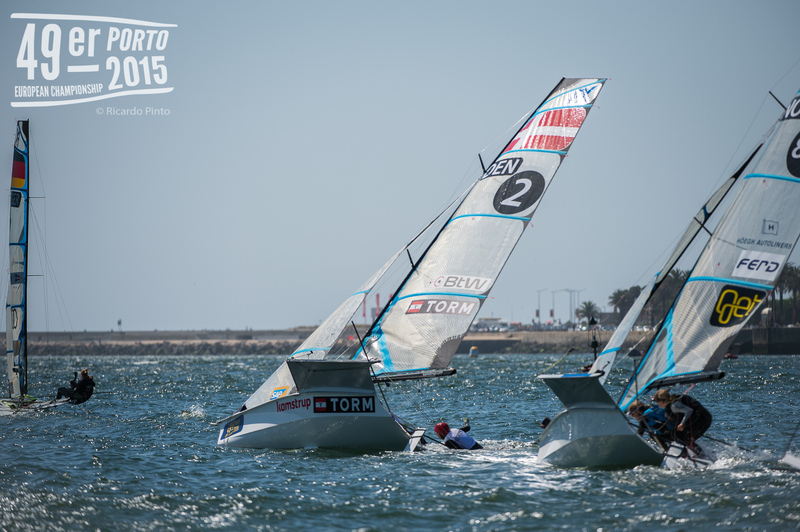 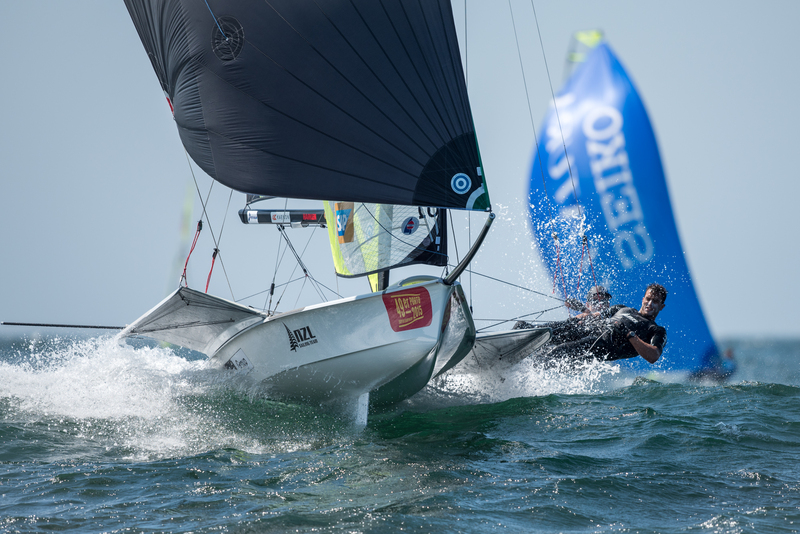 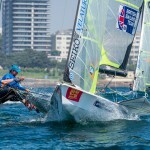 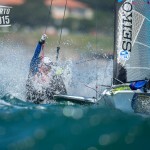 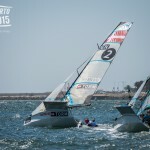 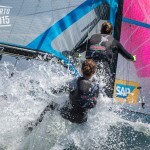 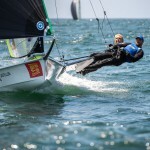 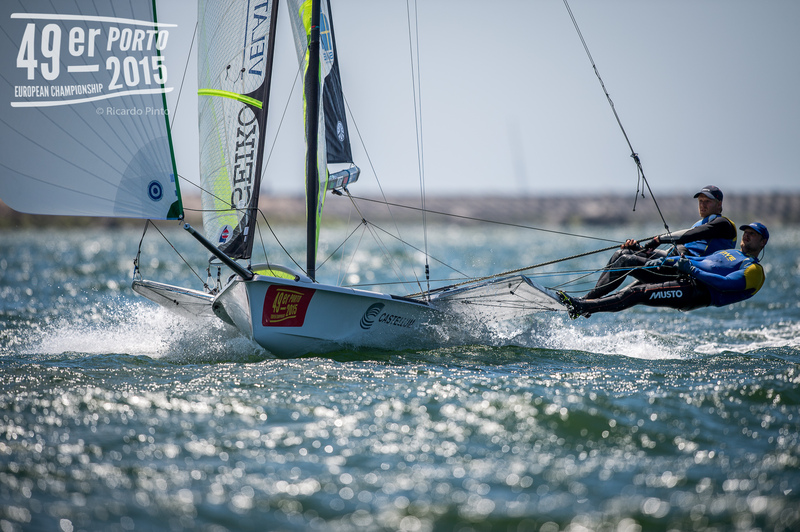 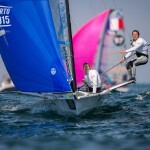 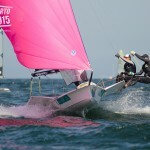 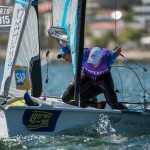 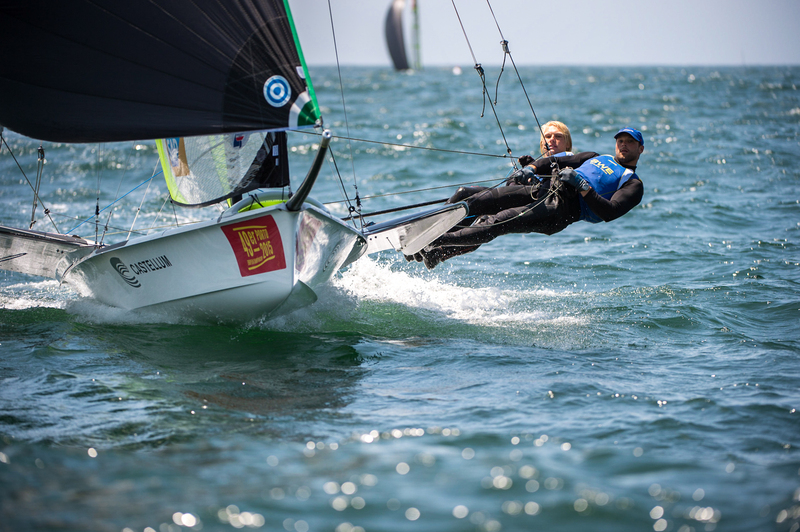 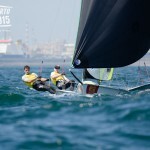 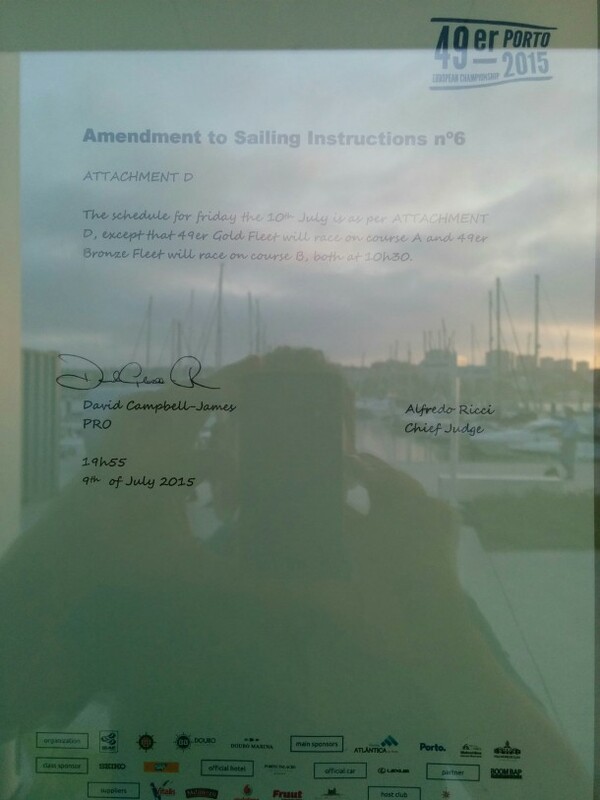 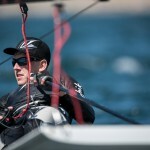 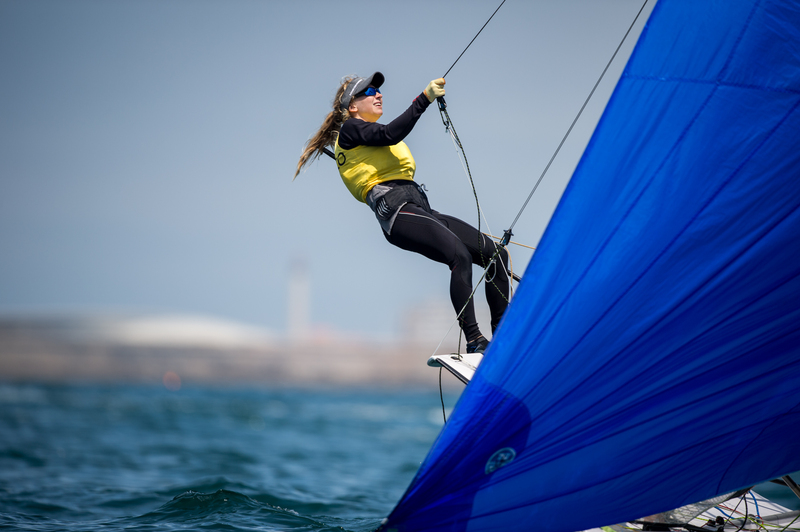 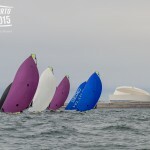 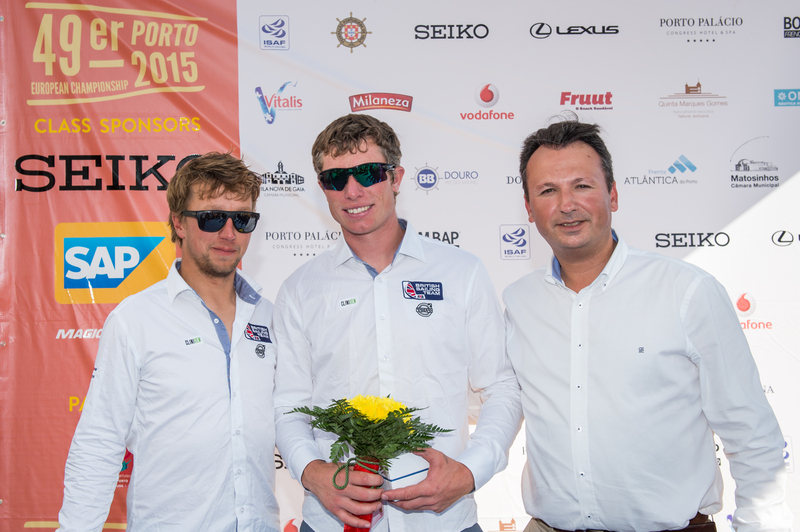 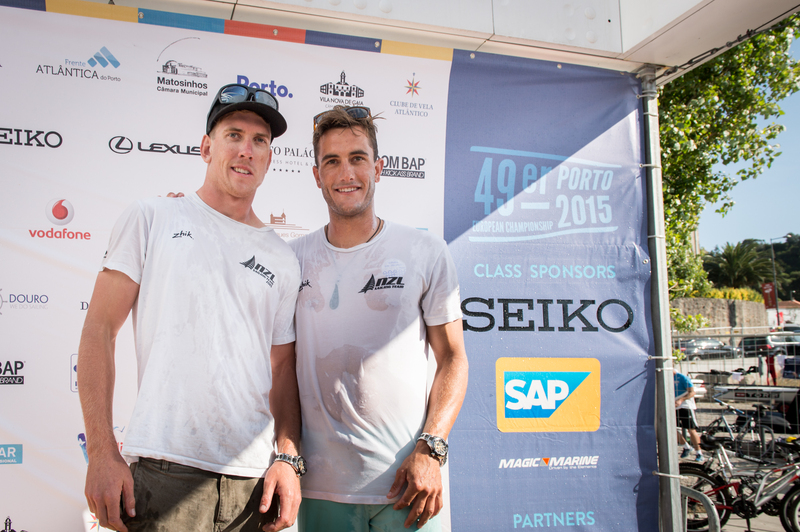 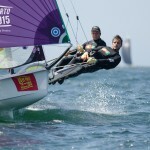 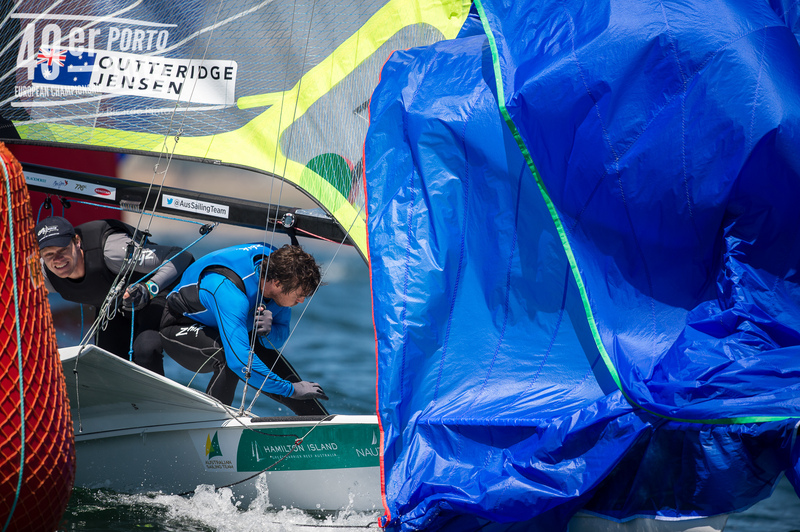 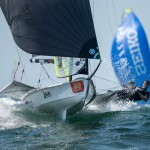 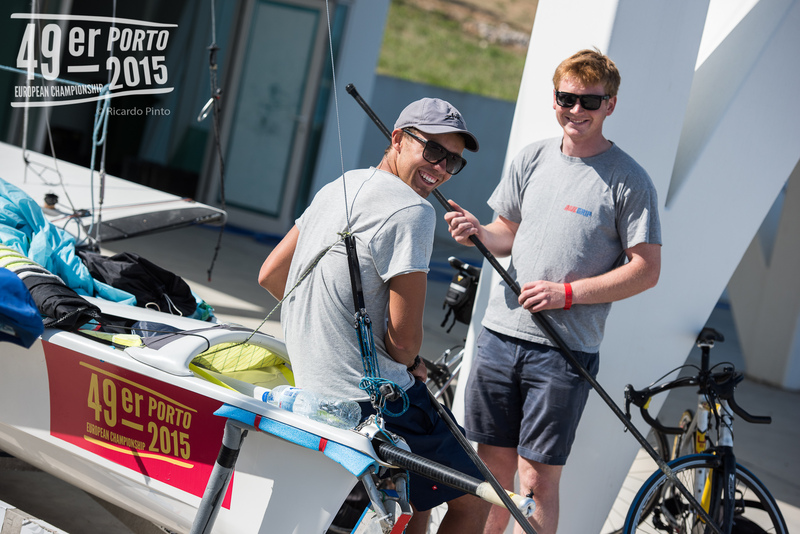 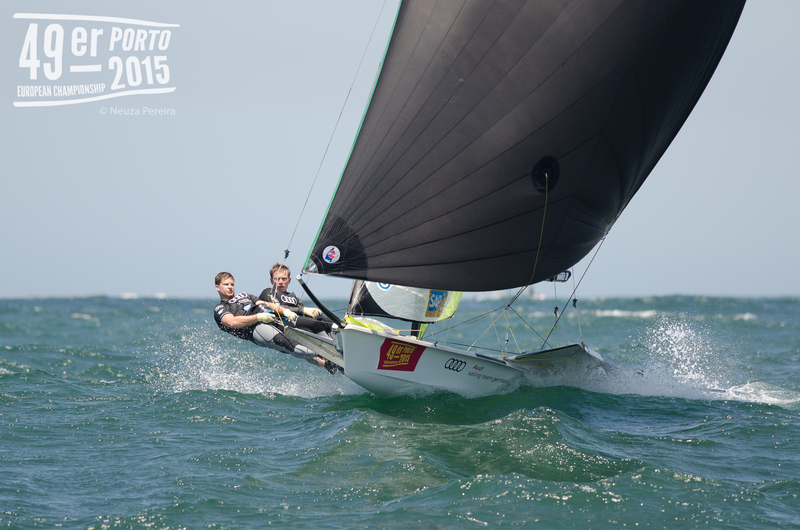 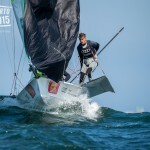 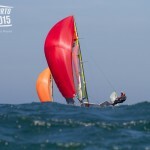 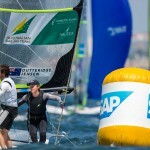 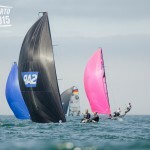 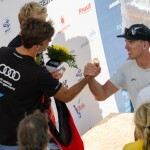 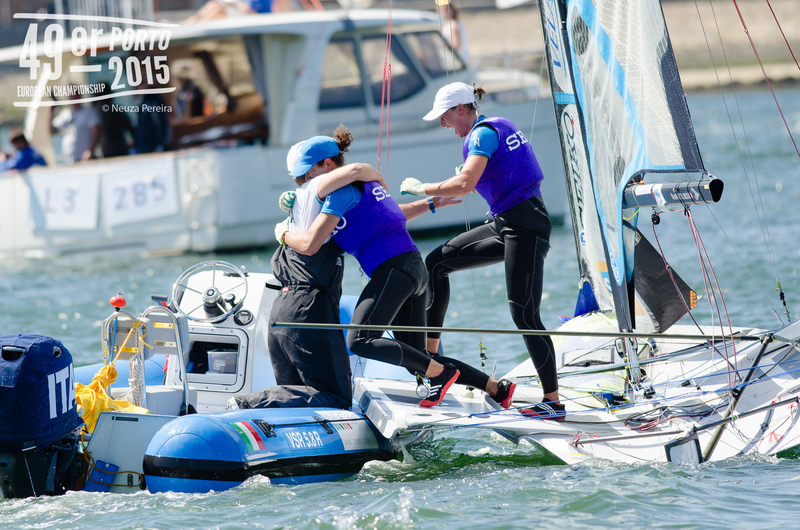 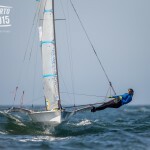 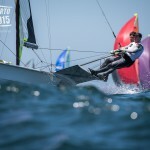 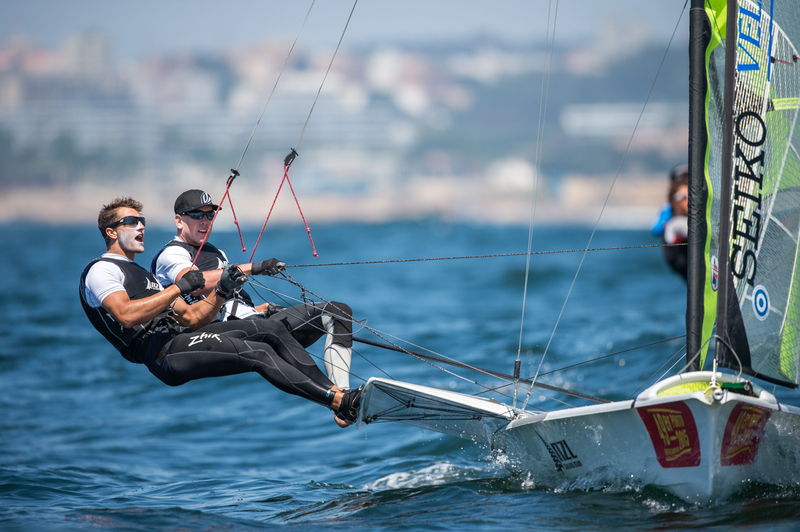 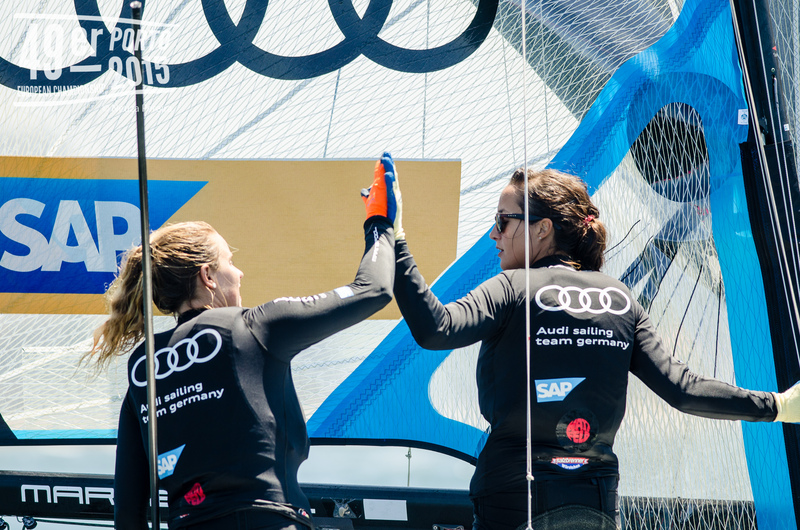 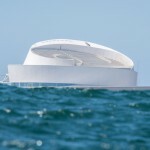 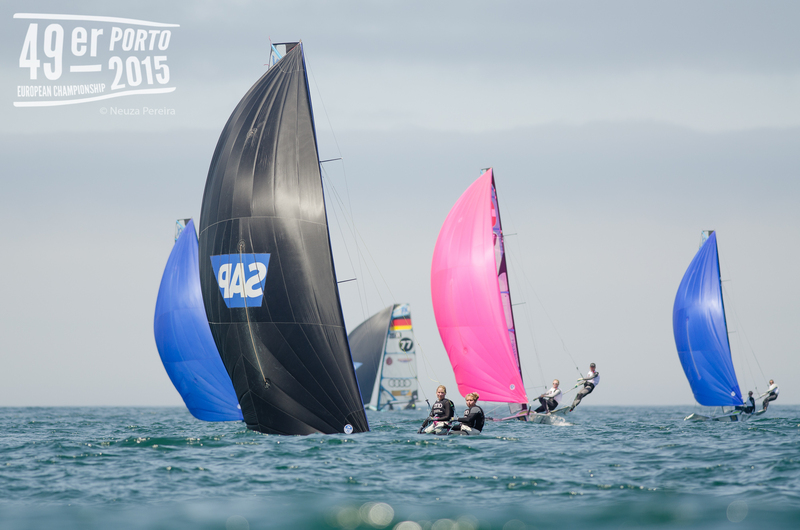 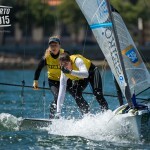 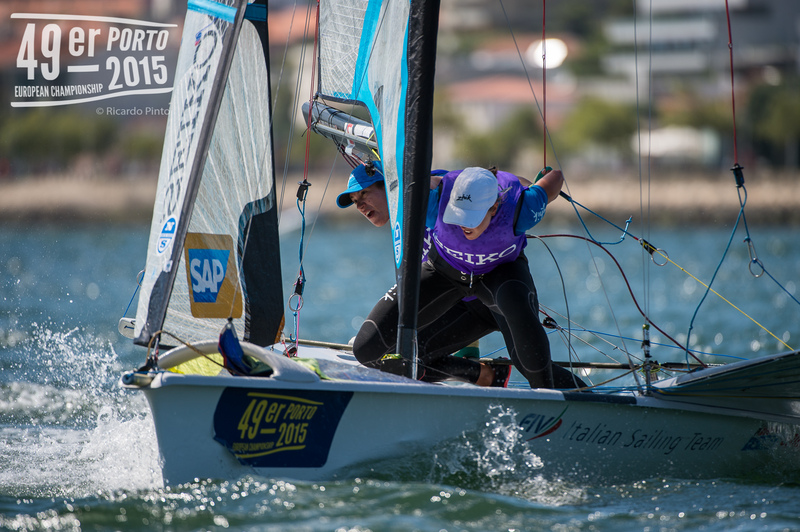 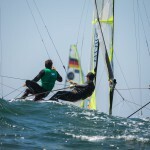 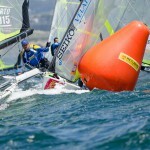 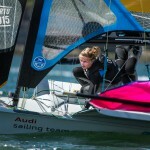 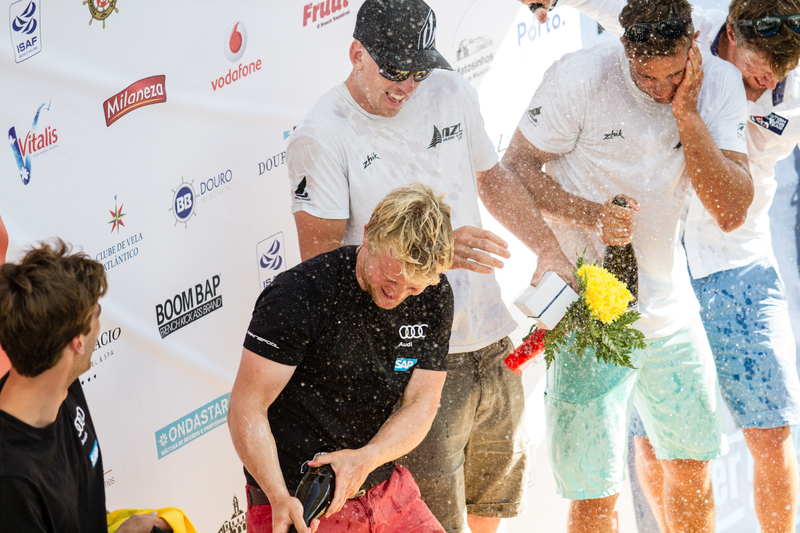 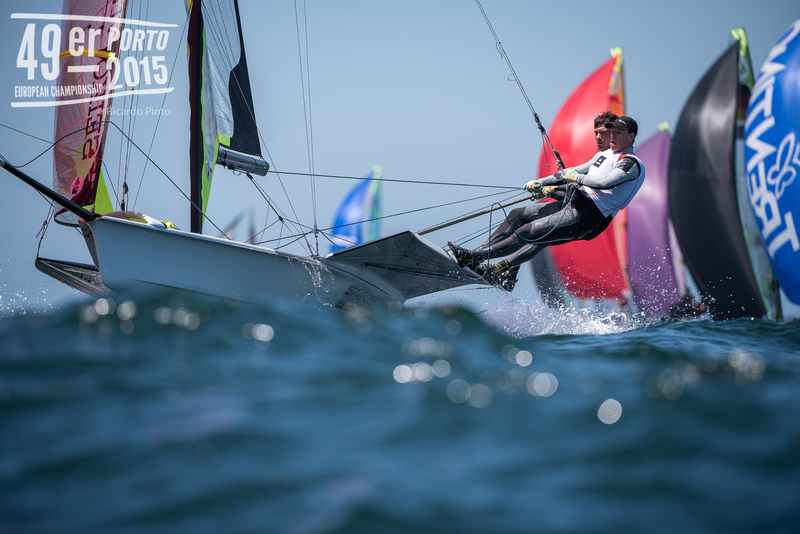 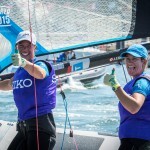 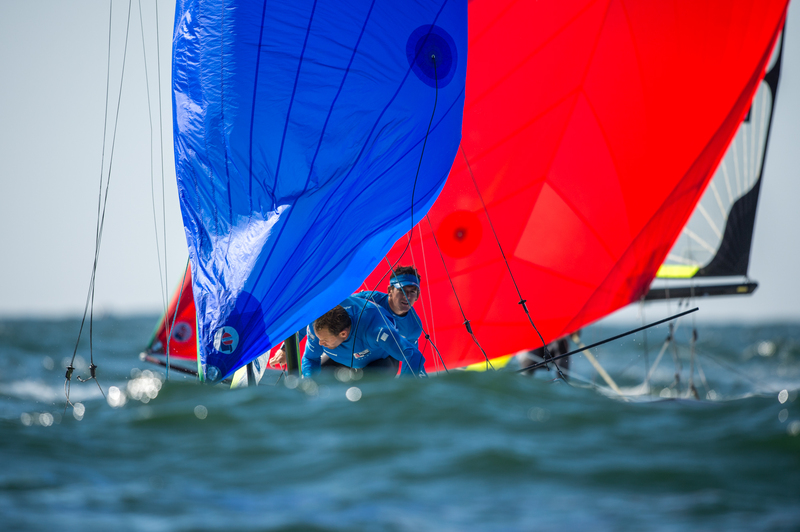 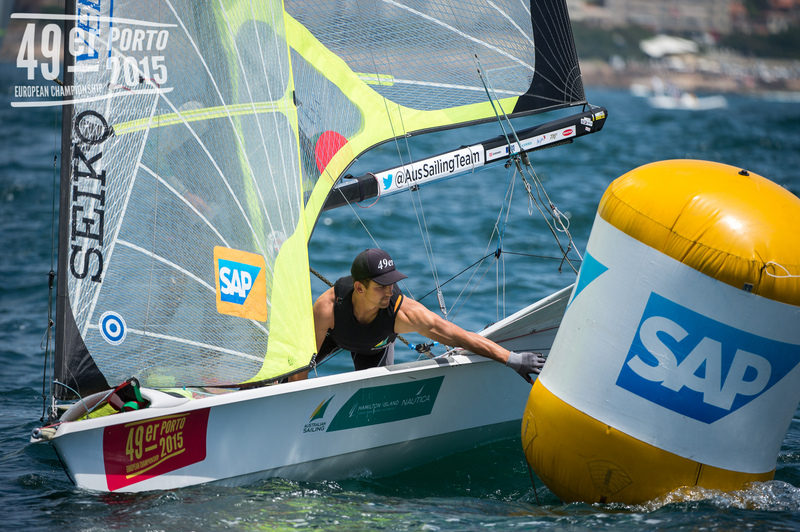 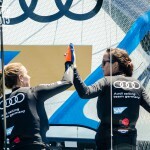 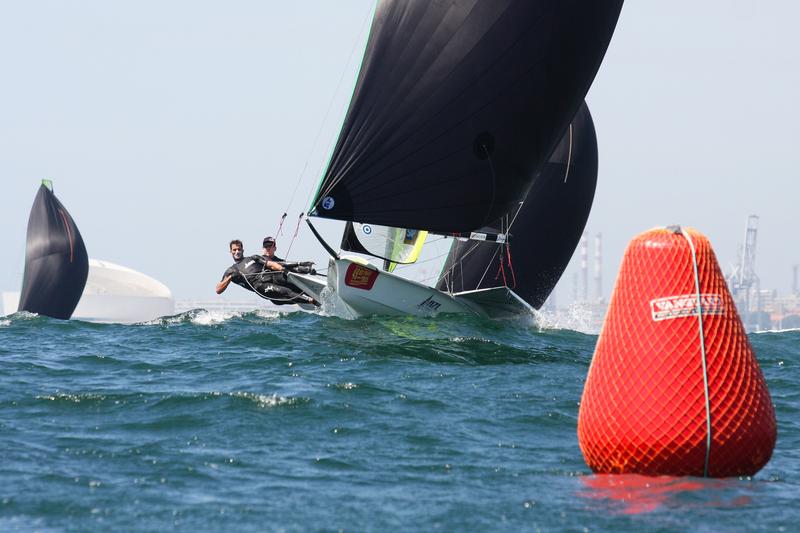 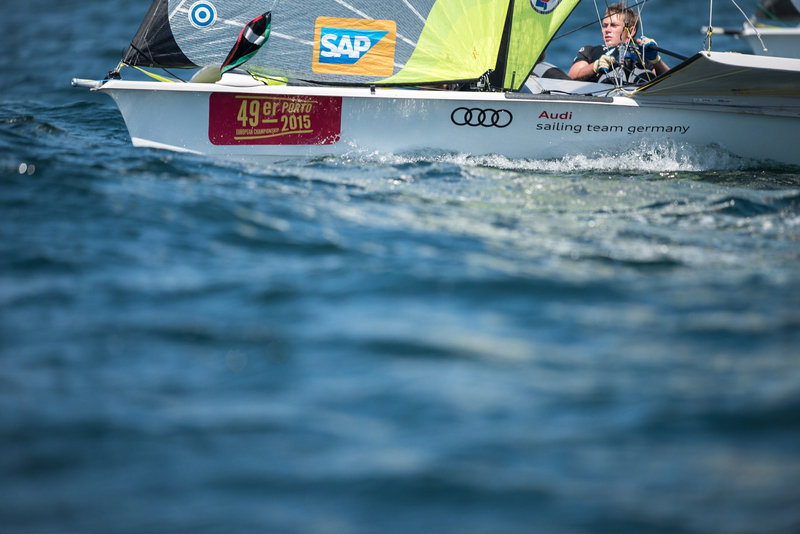 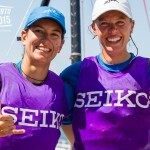 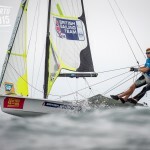 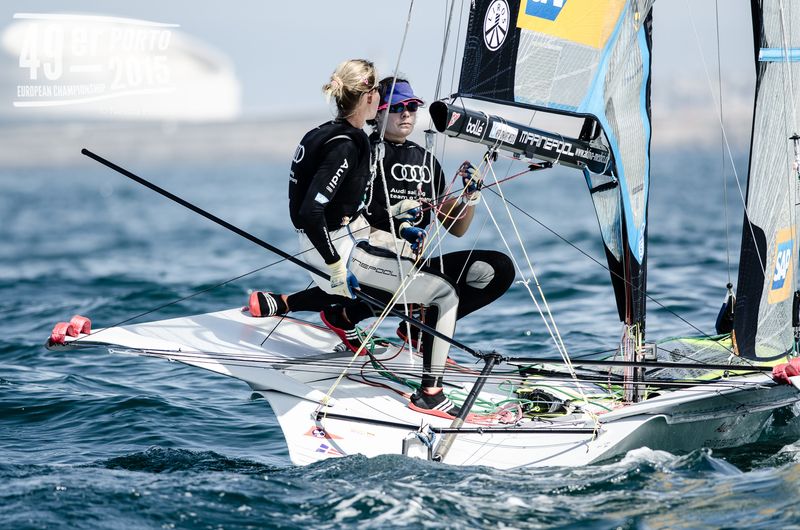 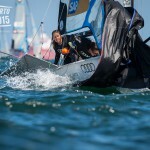 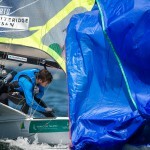 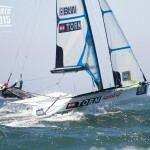 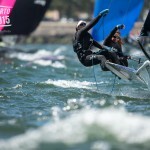 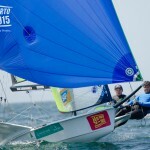 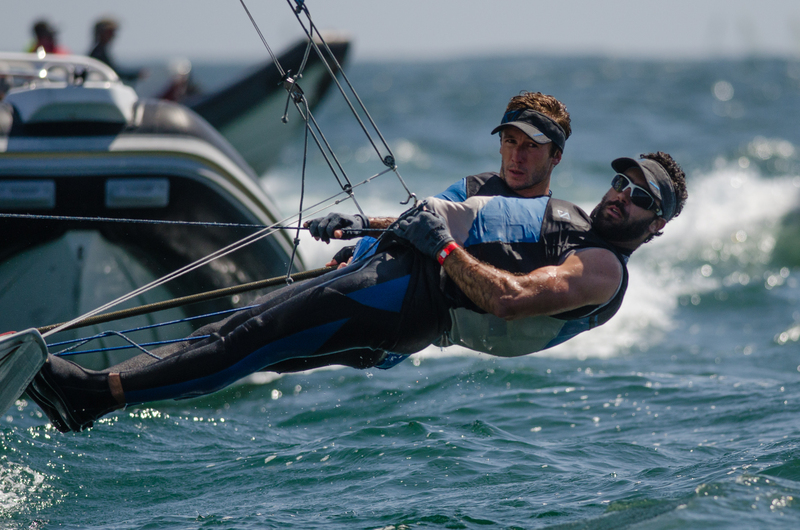 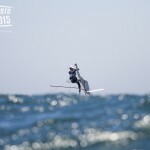 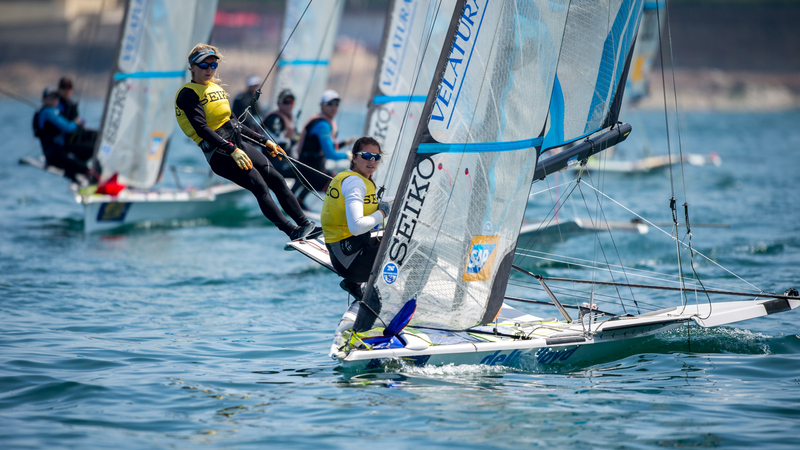 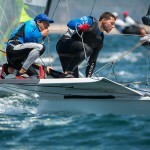 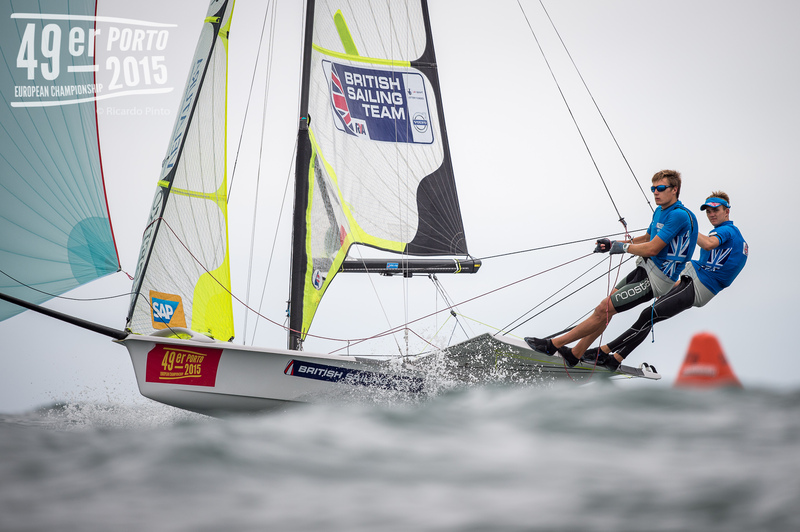 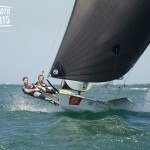 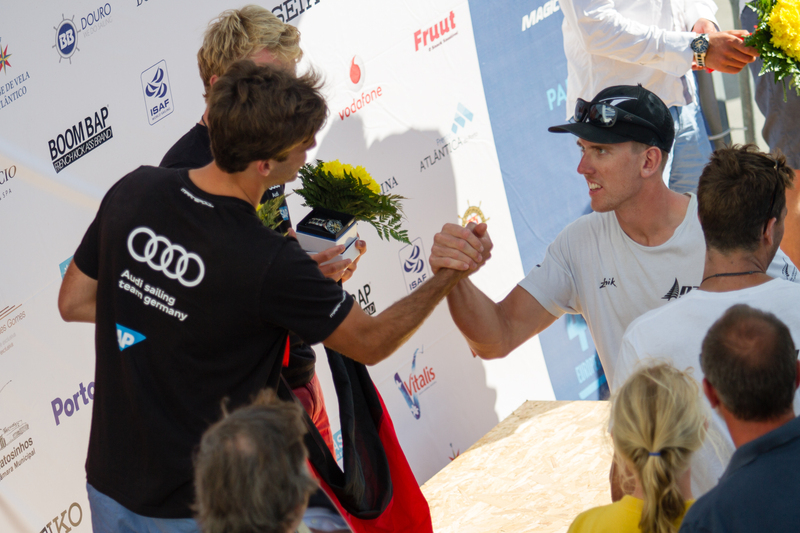 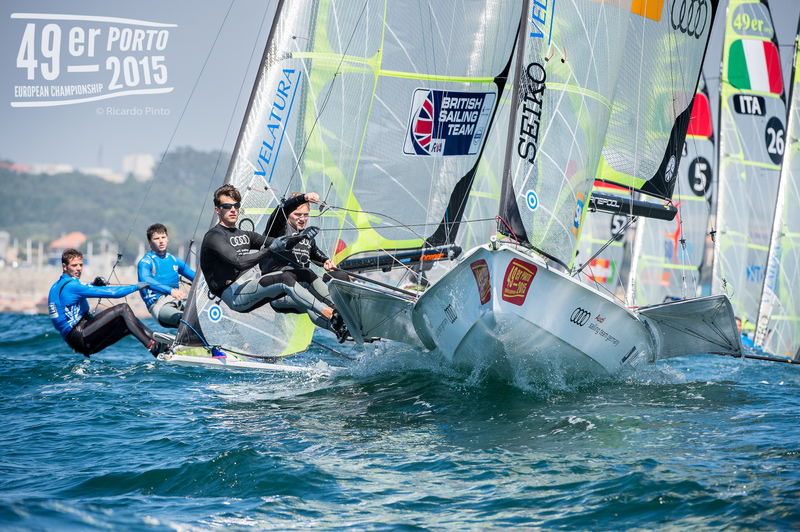 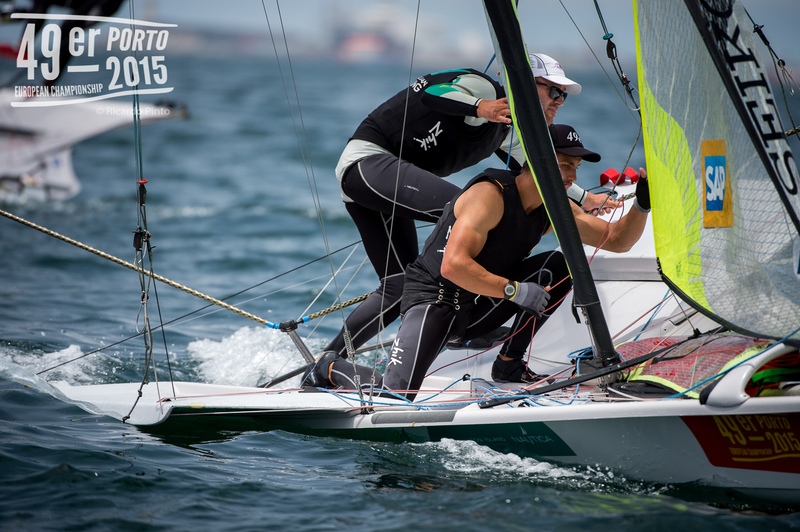 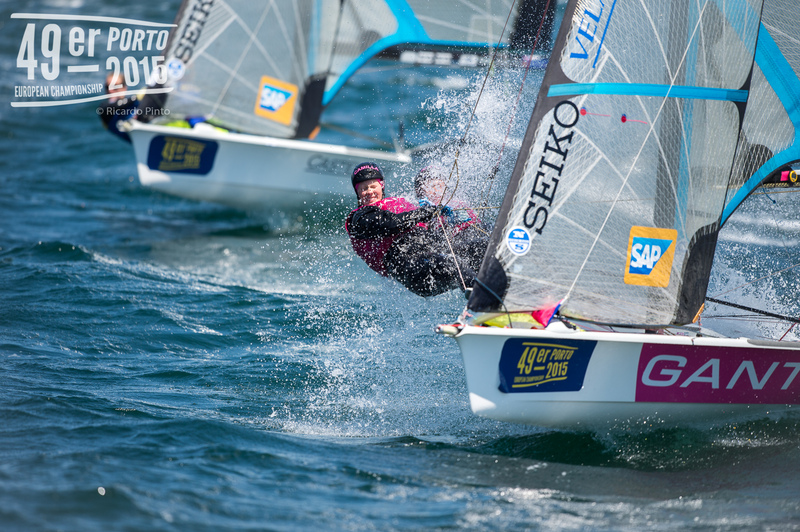 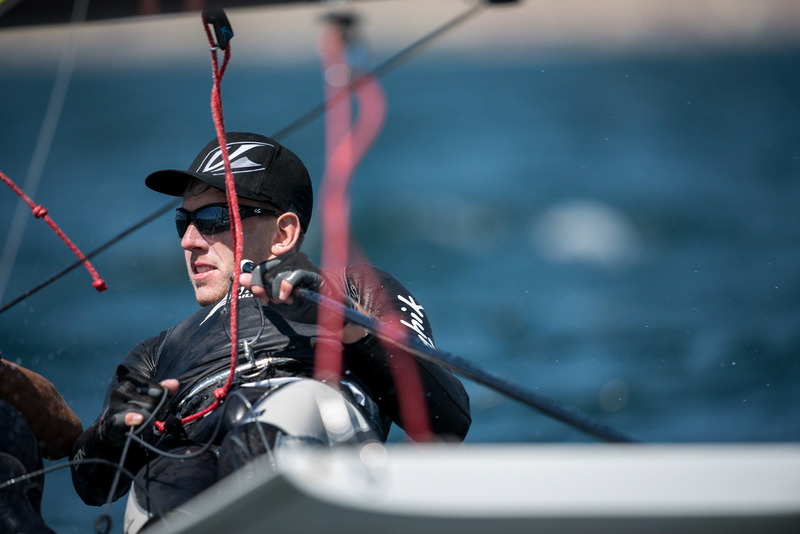 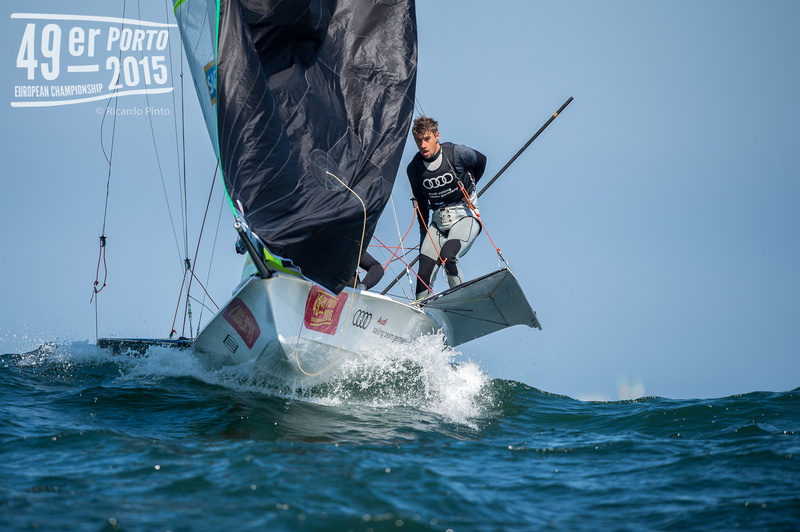 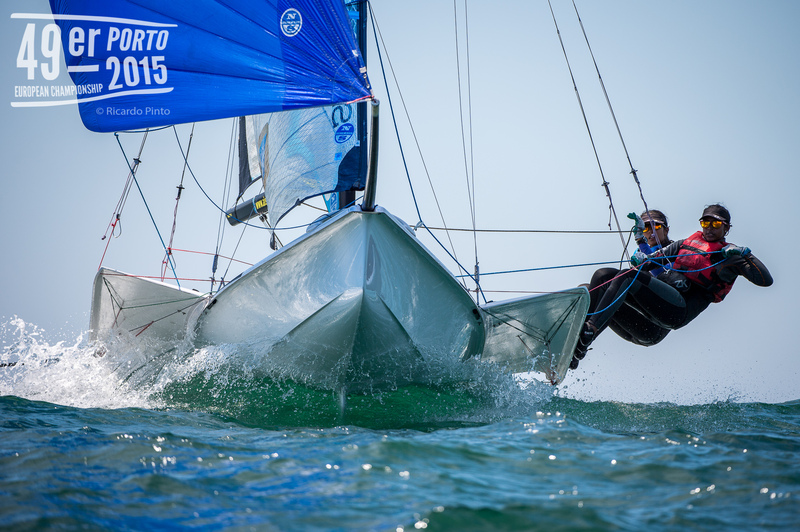 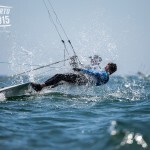 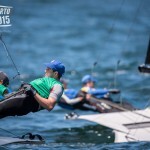 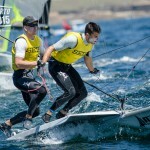 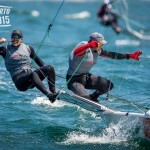 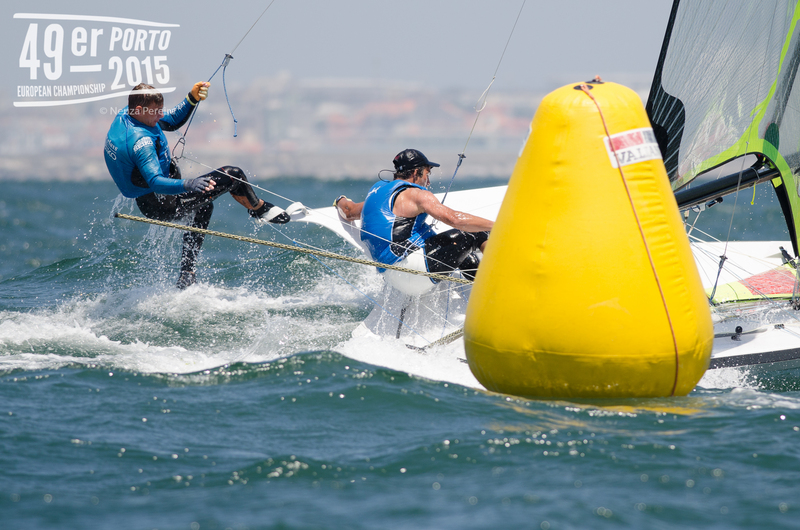 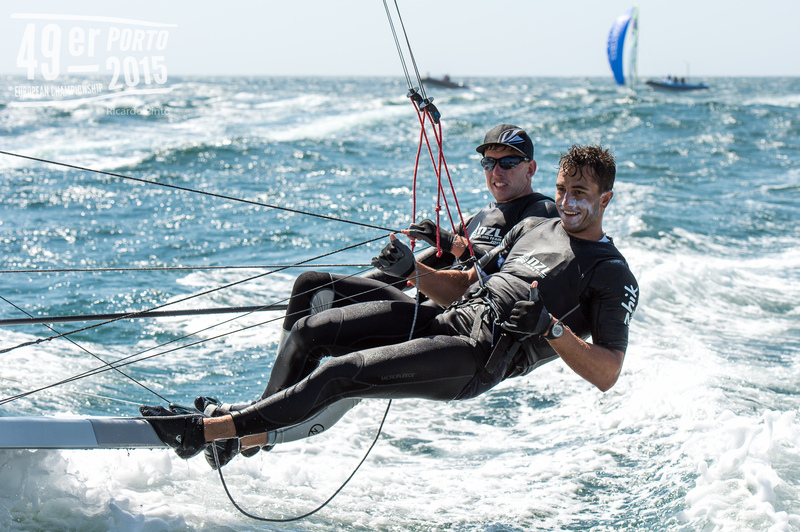 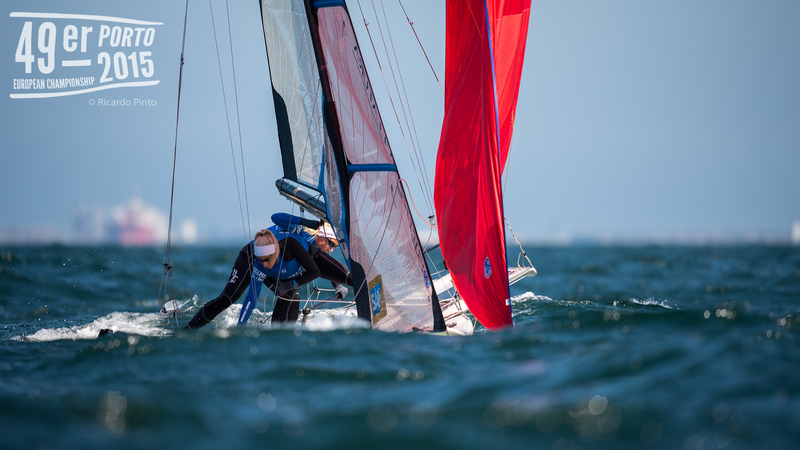 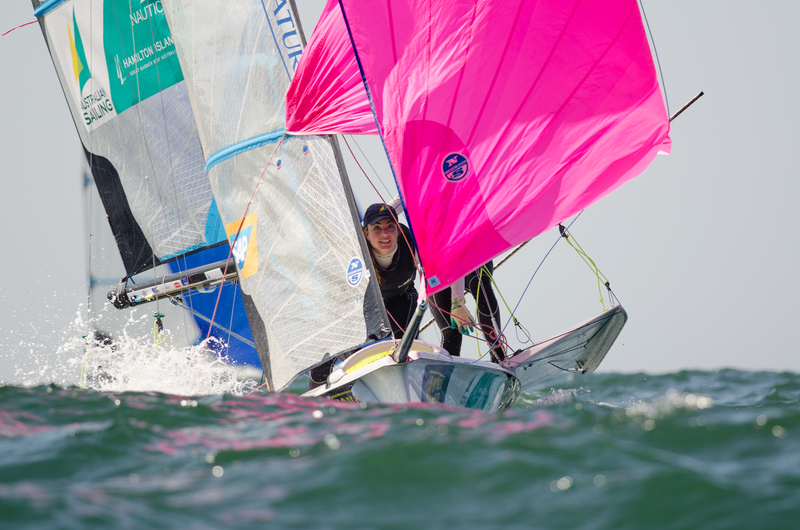 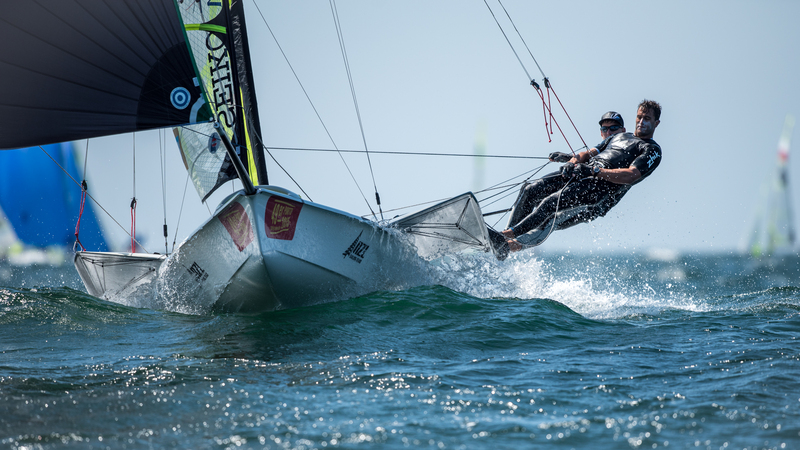 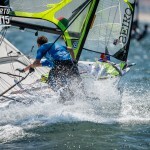 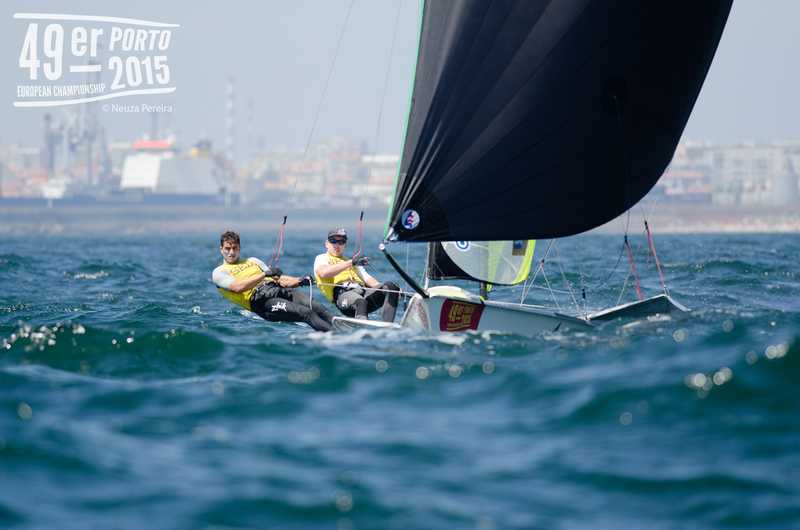 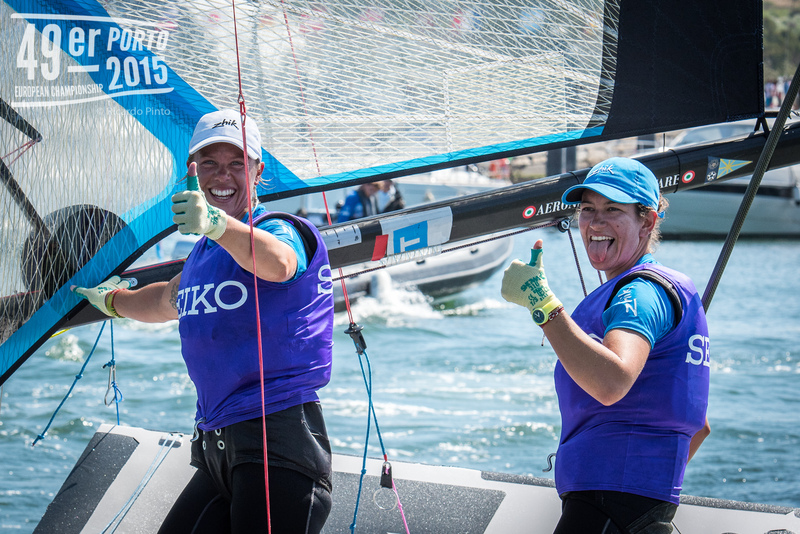 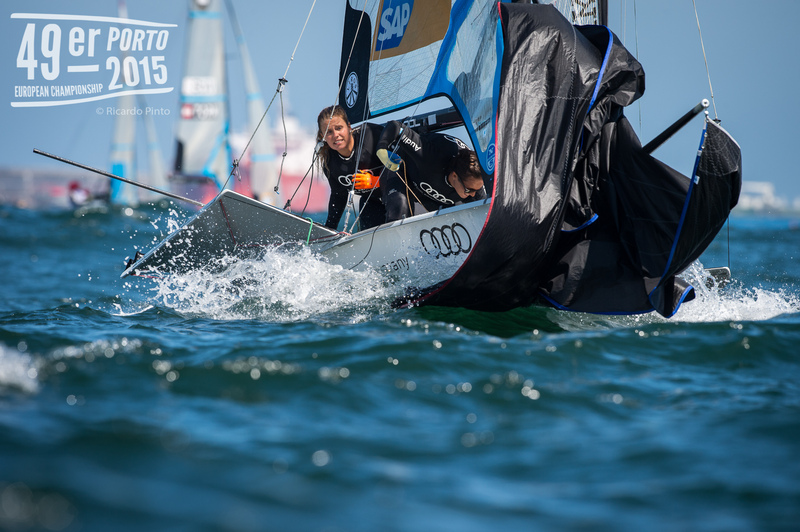 Will Anyone Catch Burling and Tuke This Week? 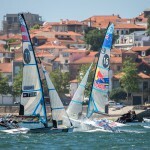 What would you rather win, 3 World Championships or 1 Olympic Gold Medal? 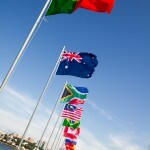 Which system produces a nations best Olympic chances? 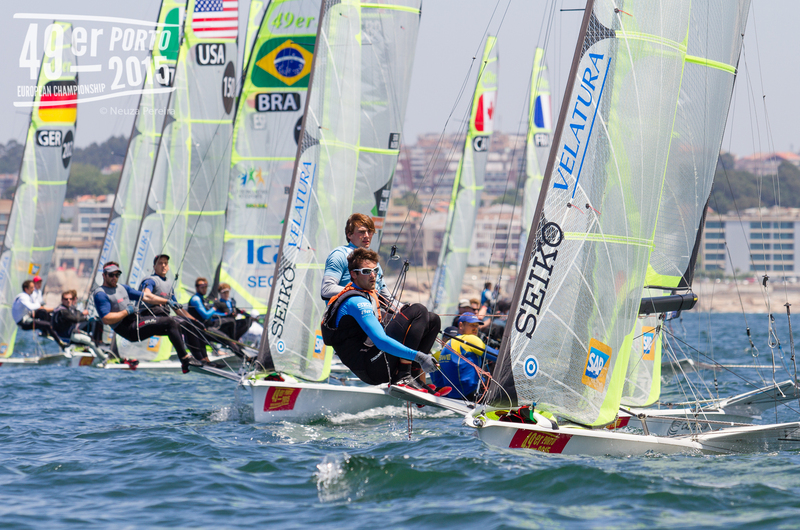 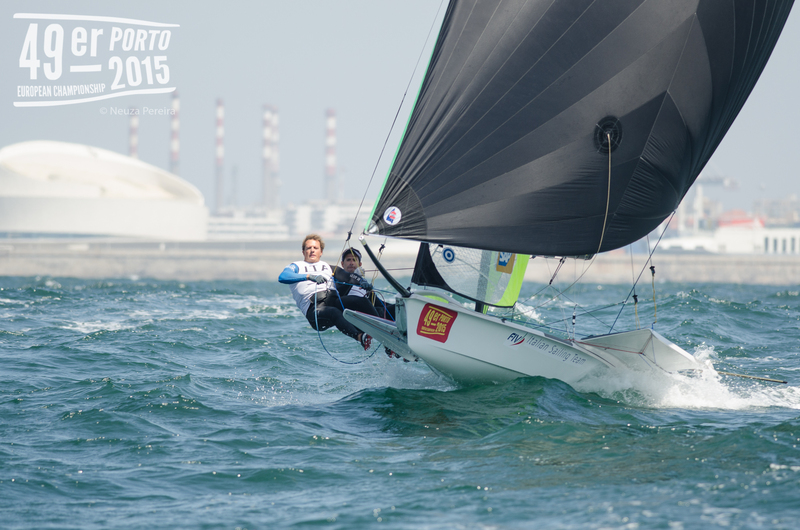 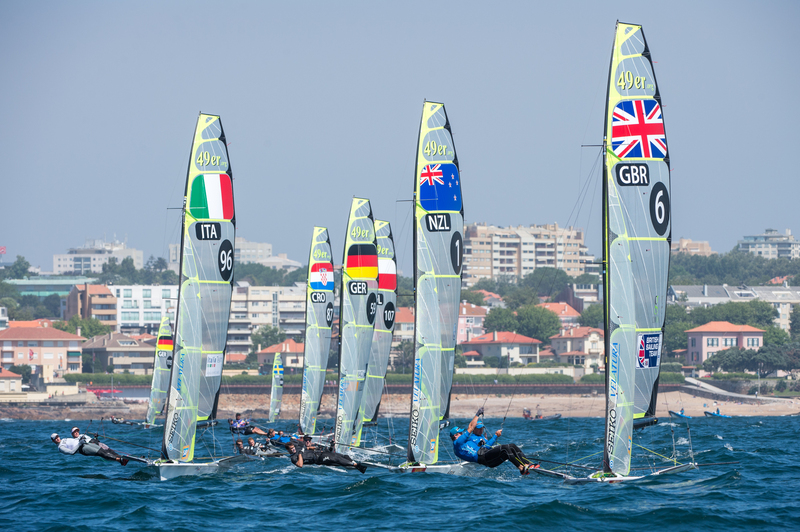 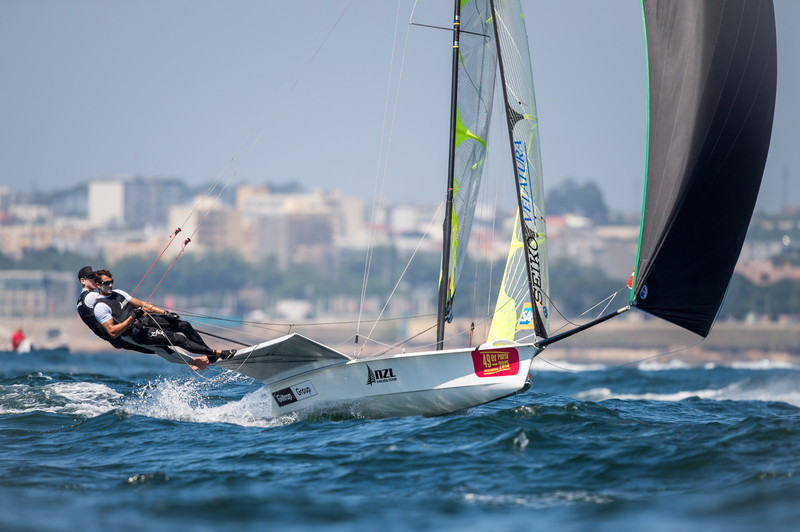 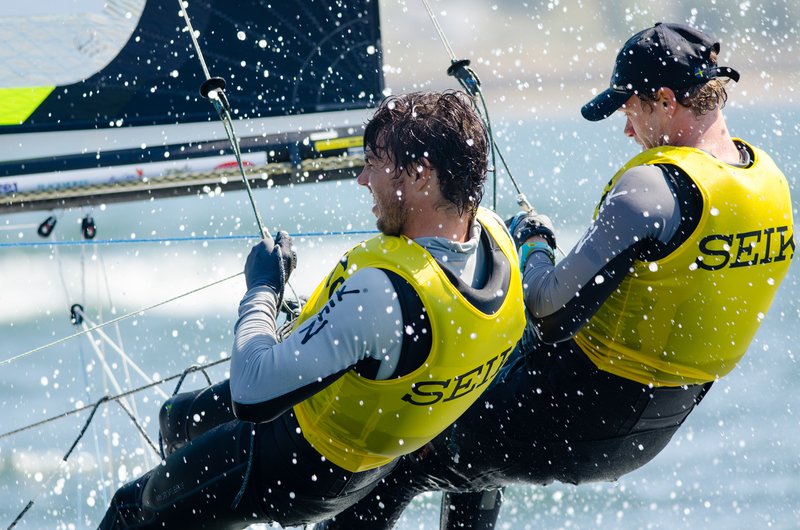 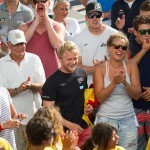 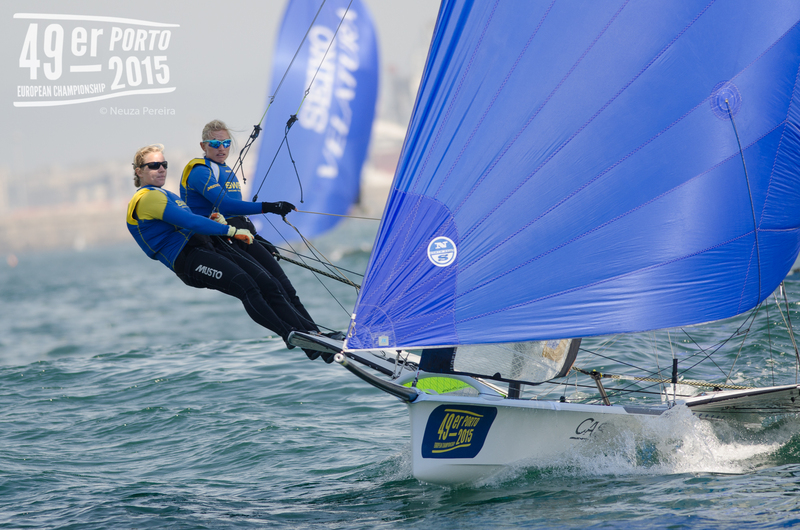 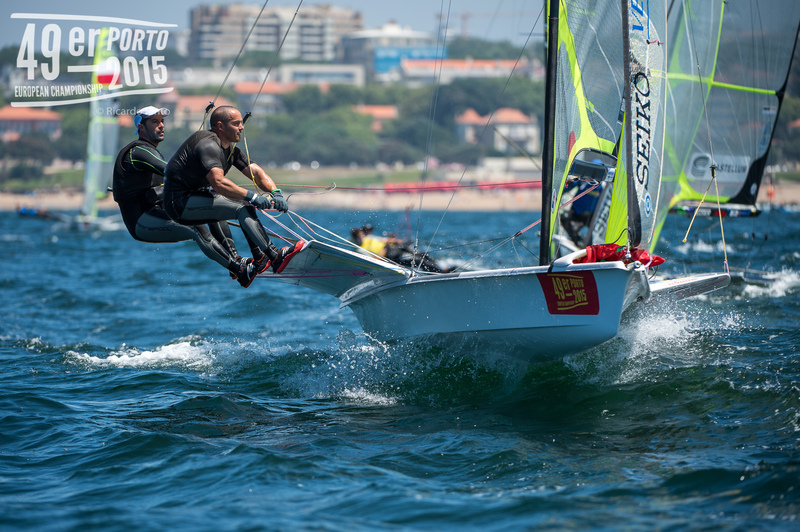 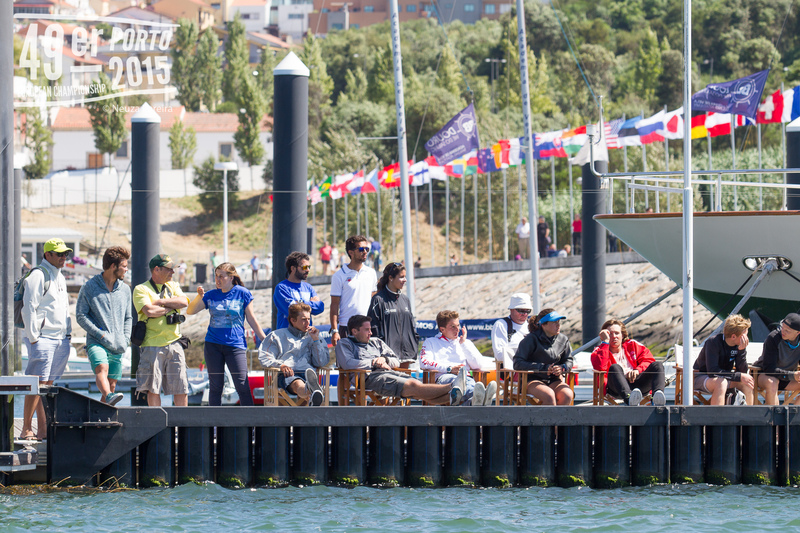 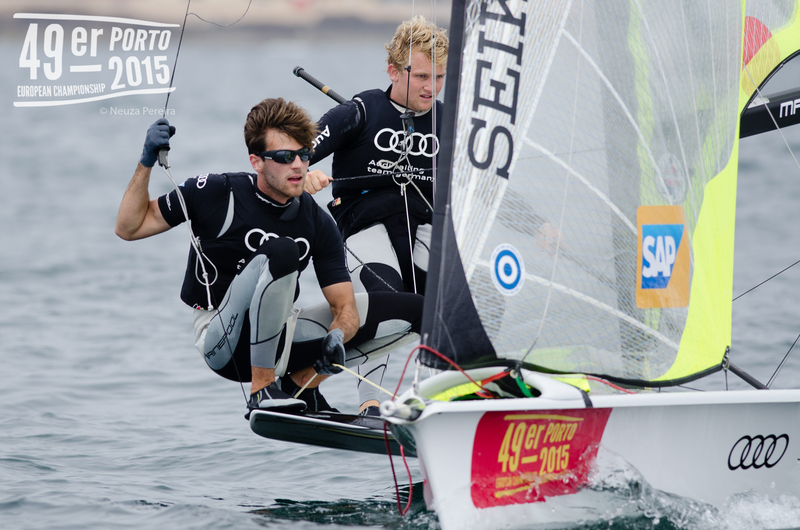 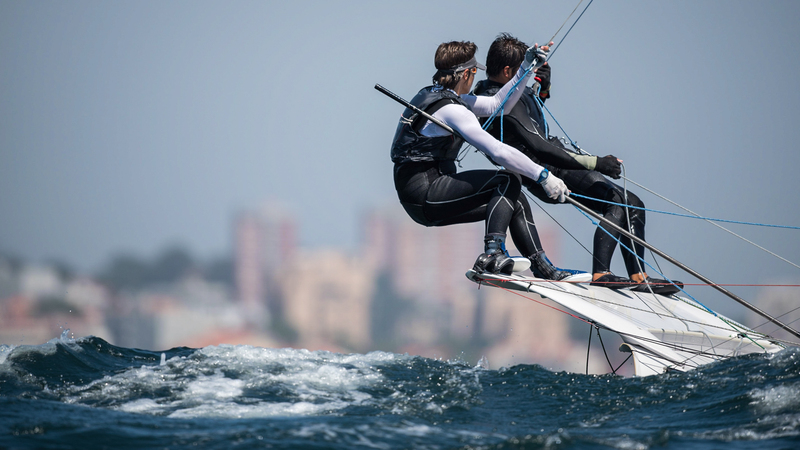 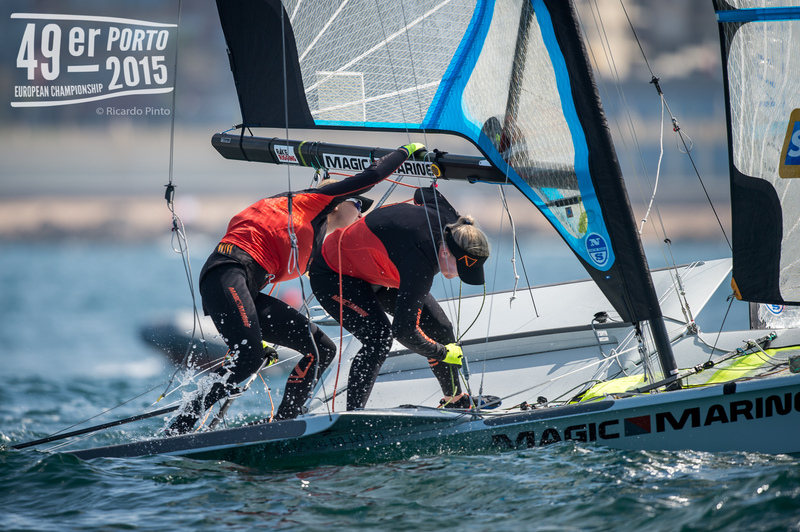 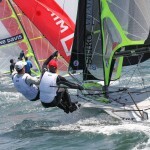 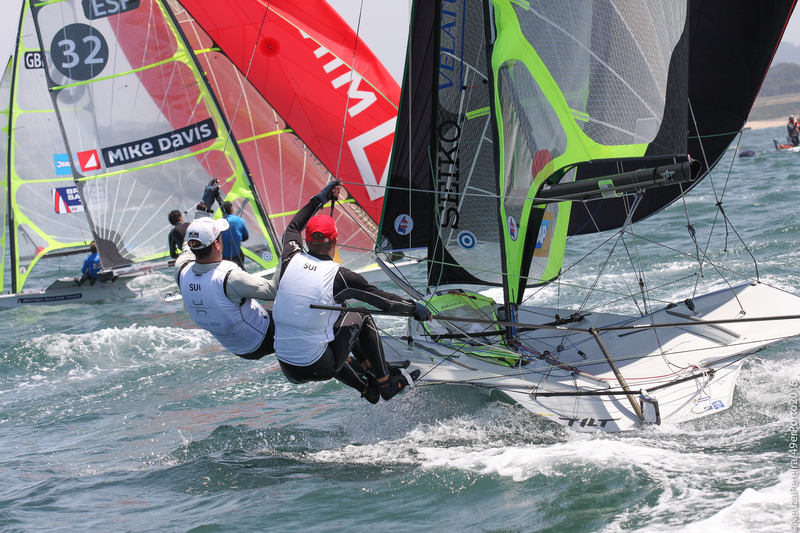 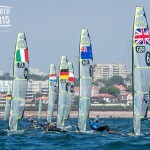 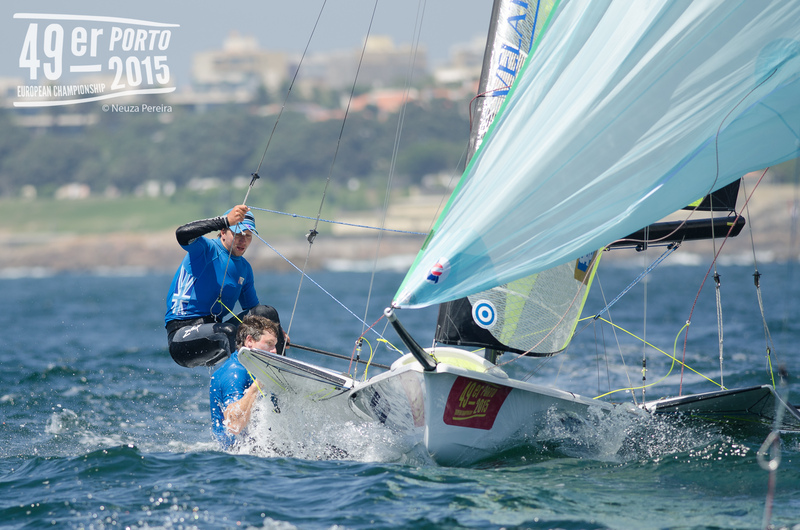 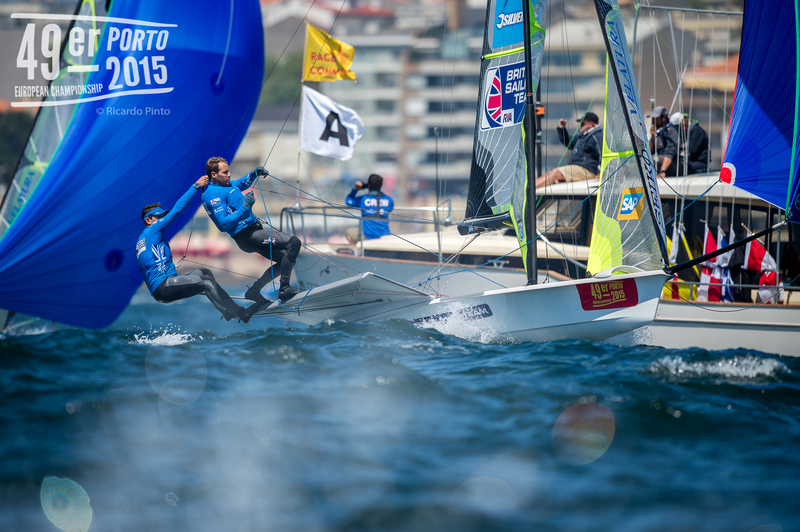 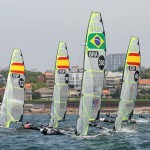 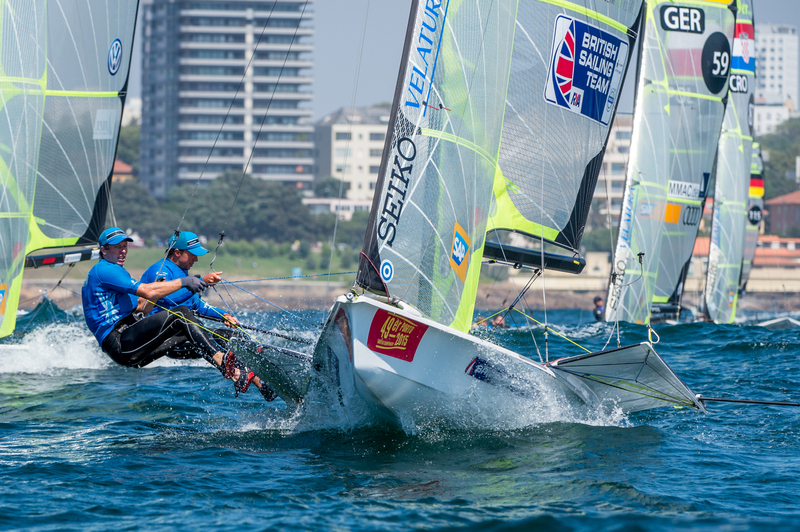 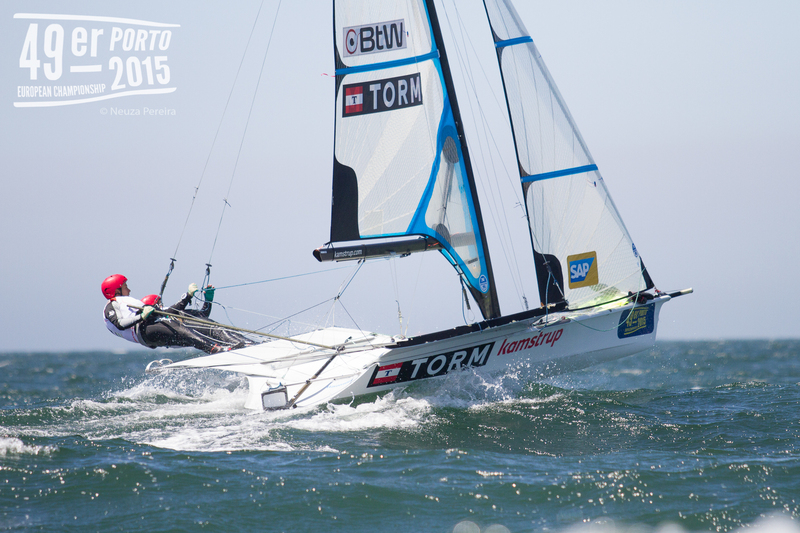 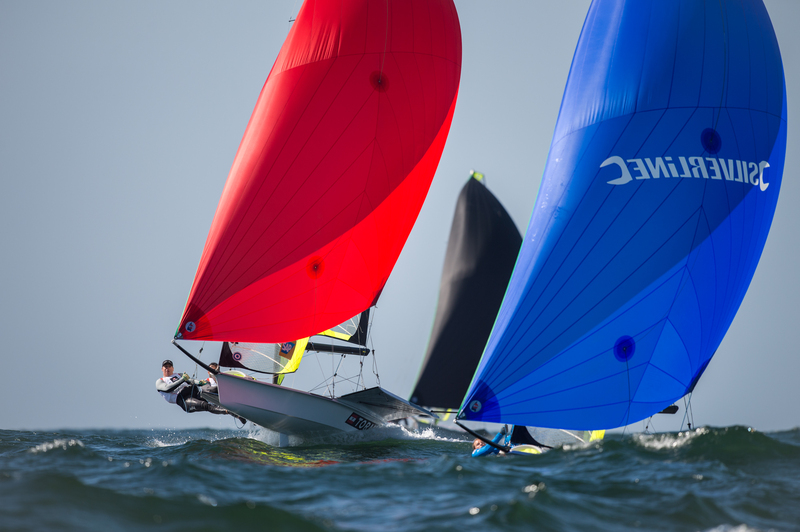 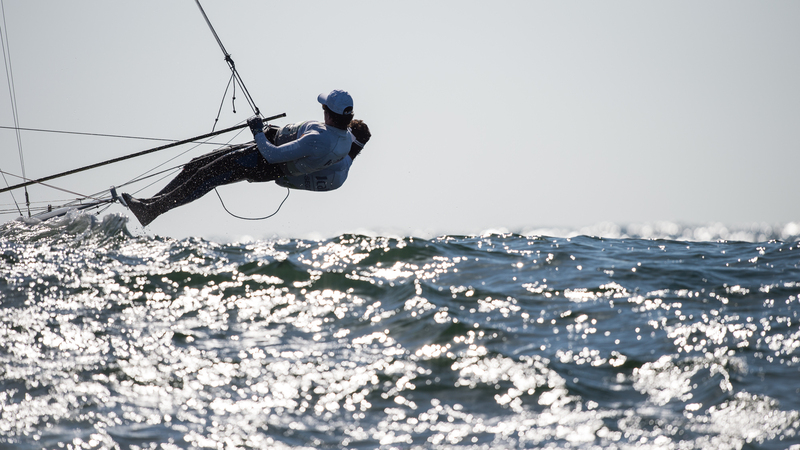 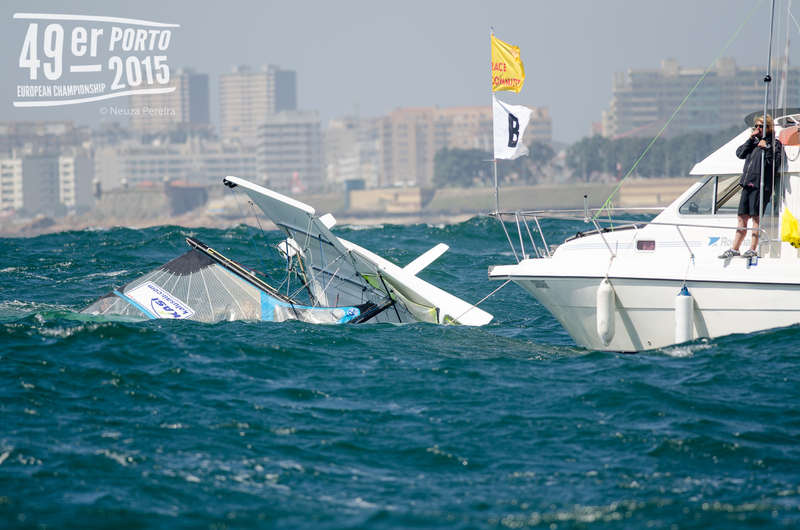 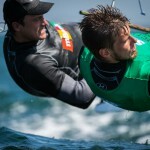 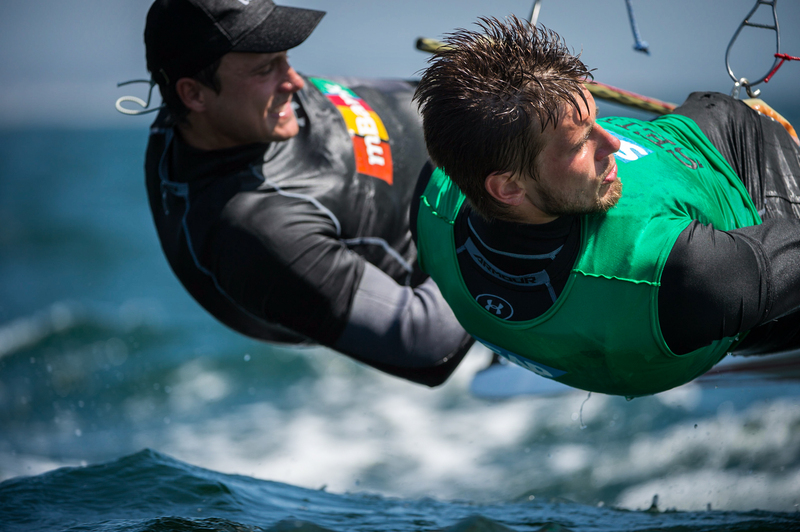 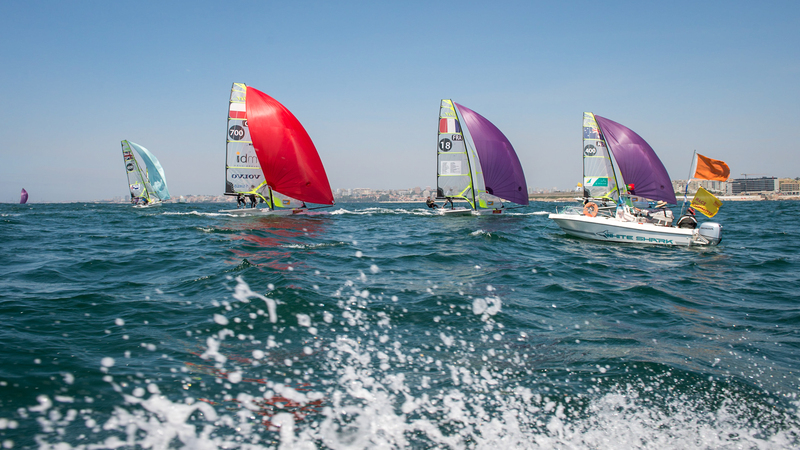 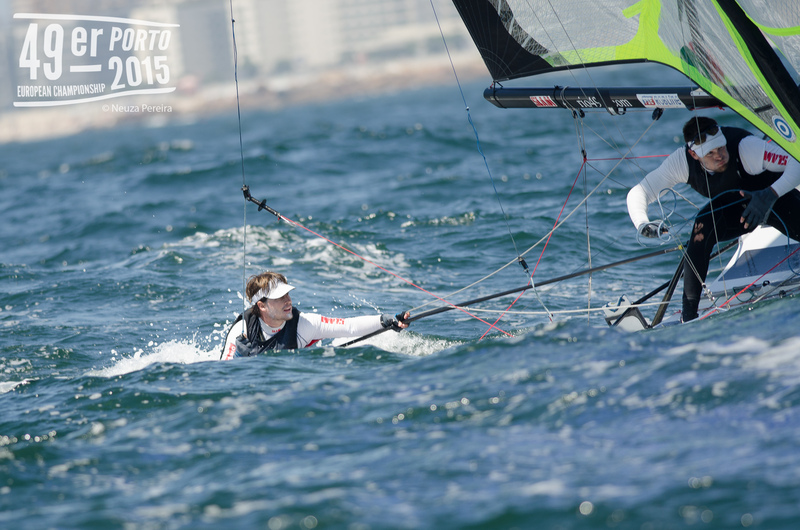 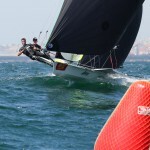 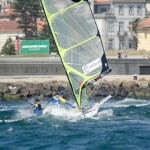 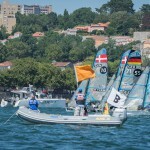 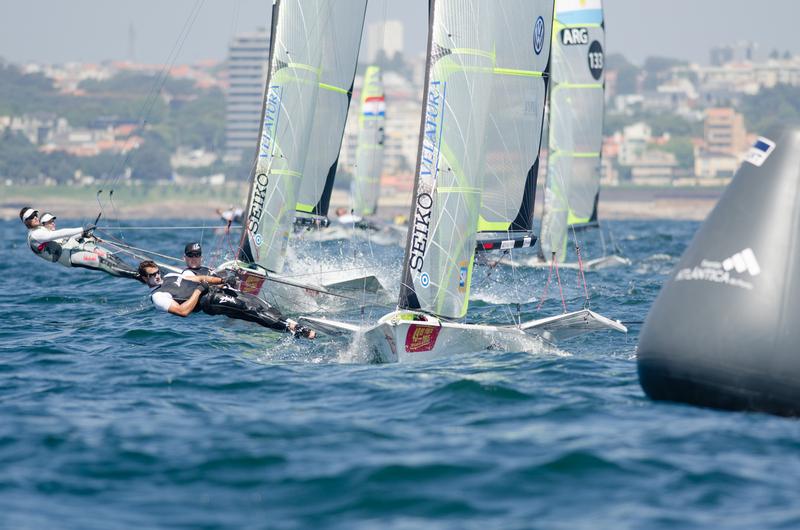 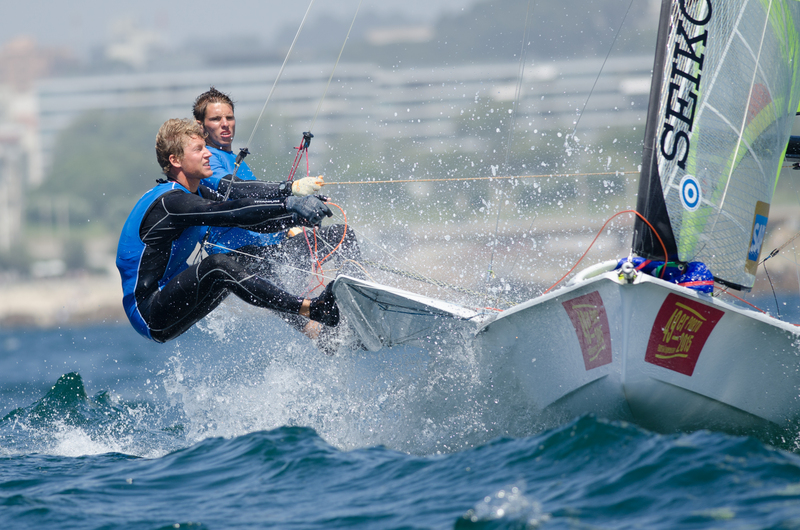 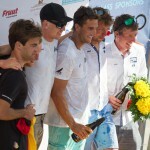 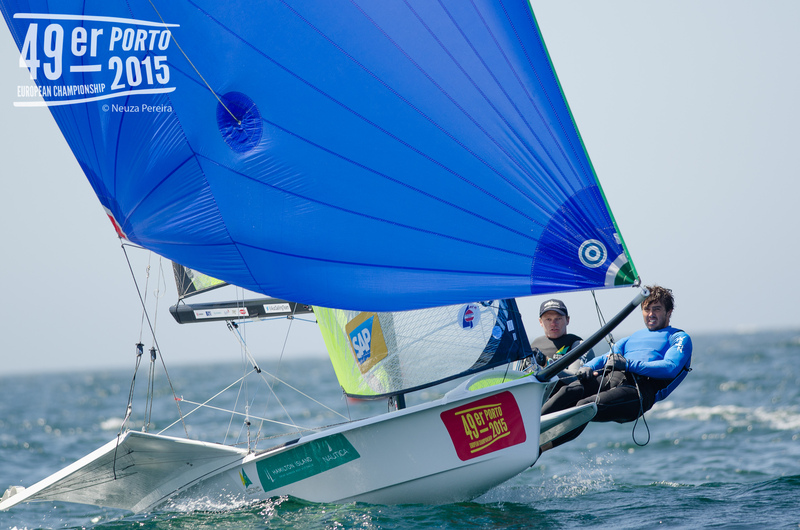 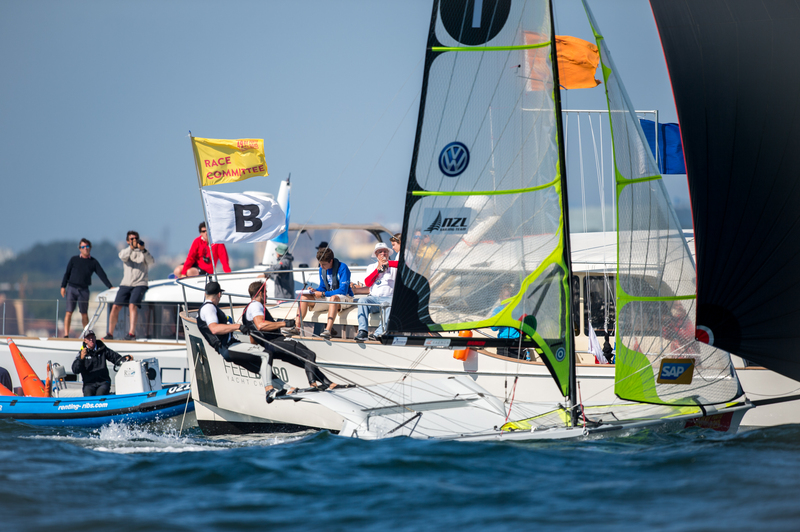 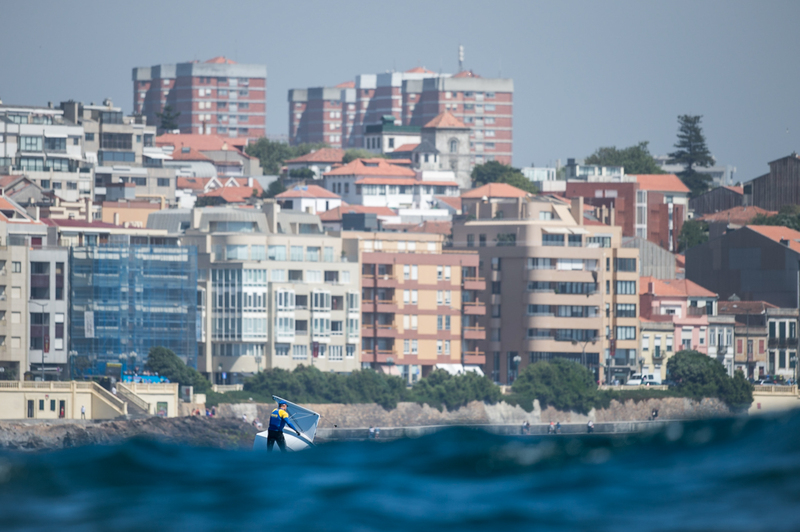 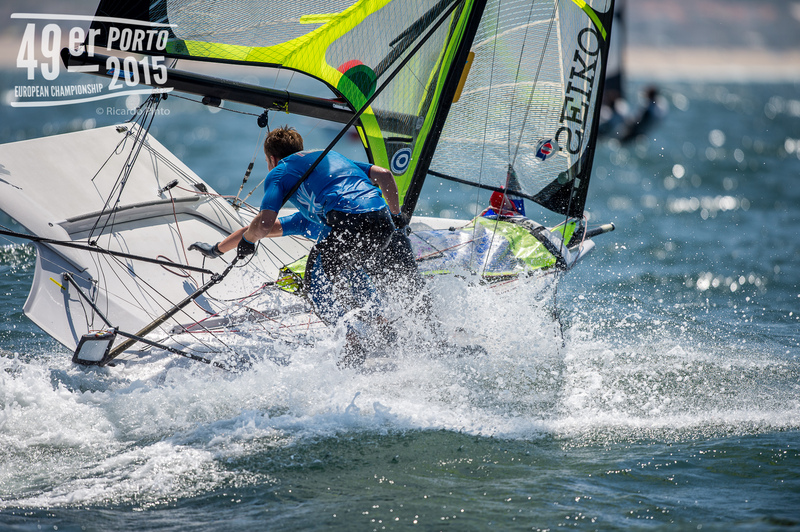 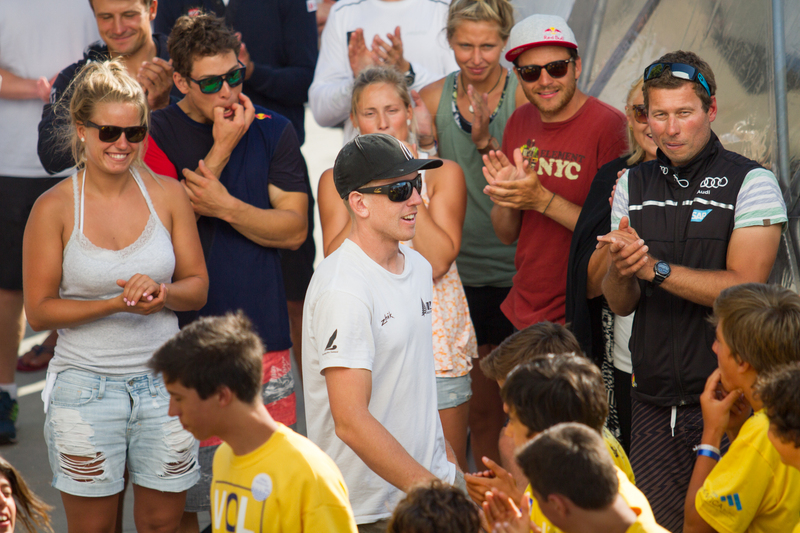 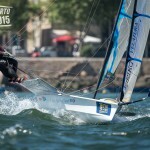 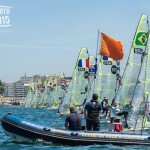 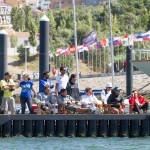 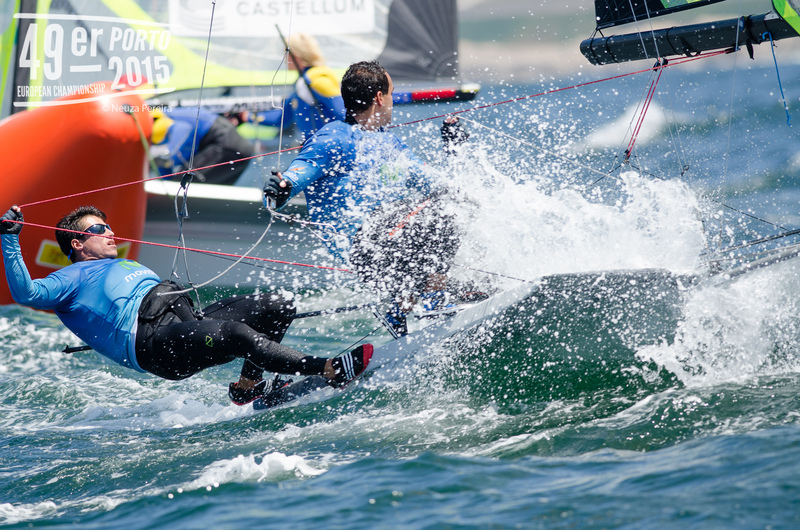 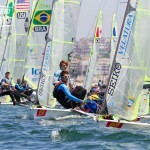 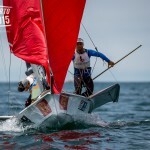 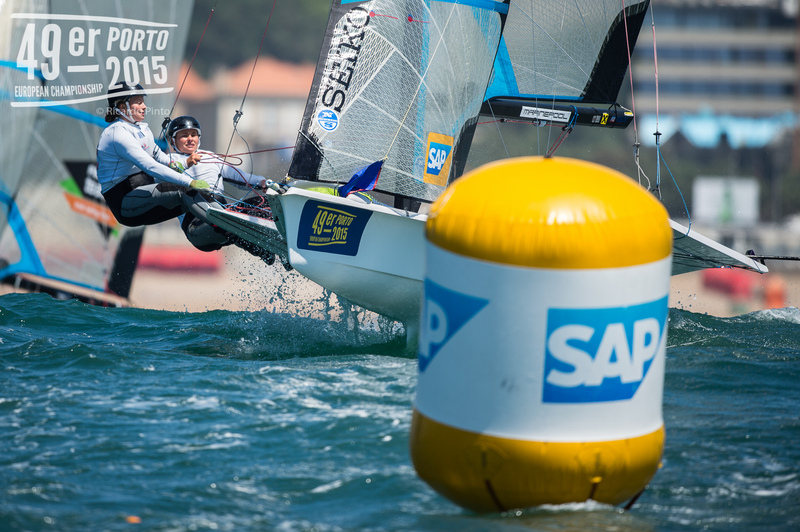 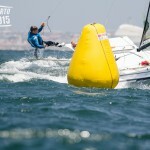 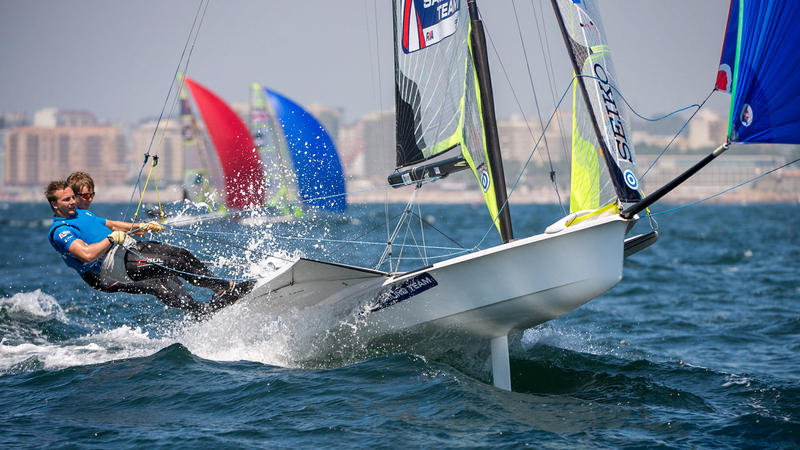 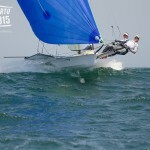 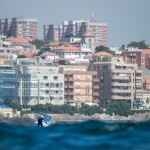 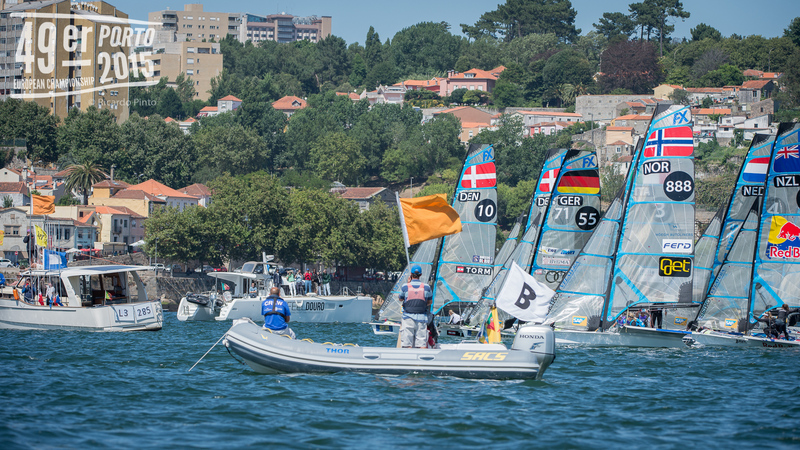 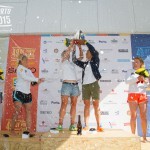 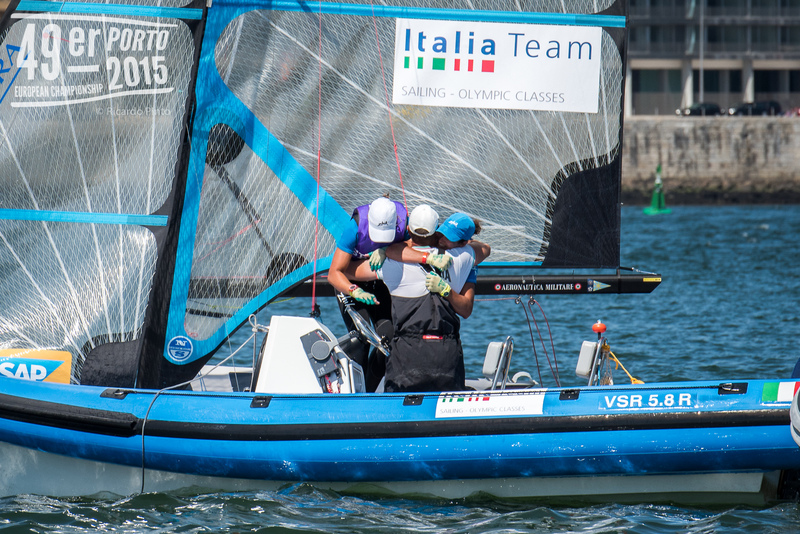 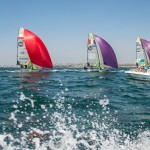 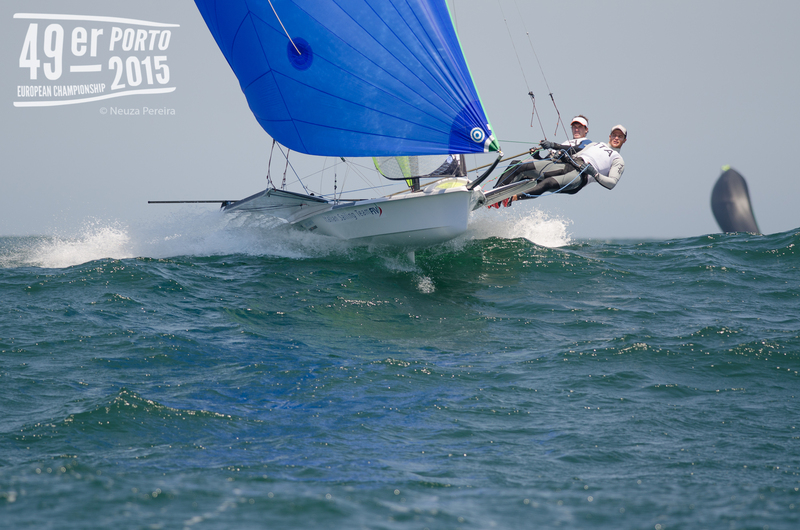 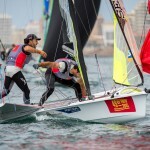 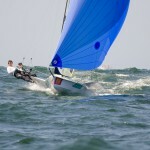 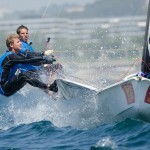 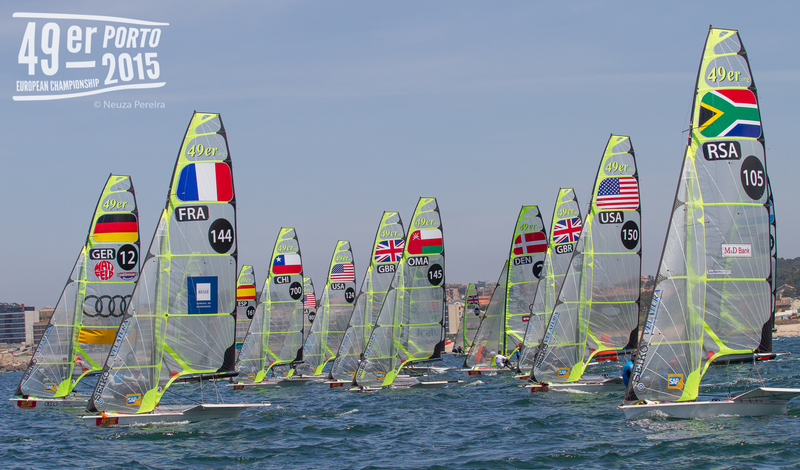 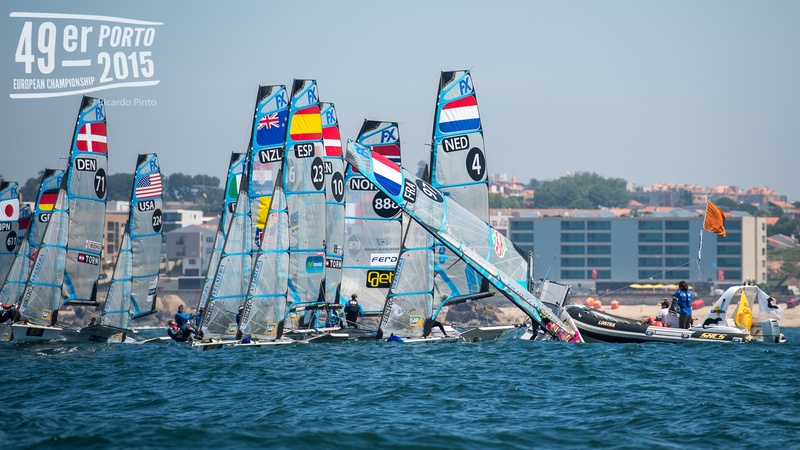 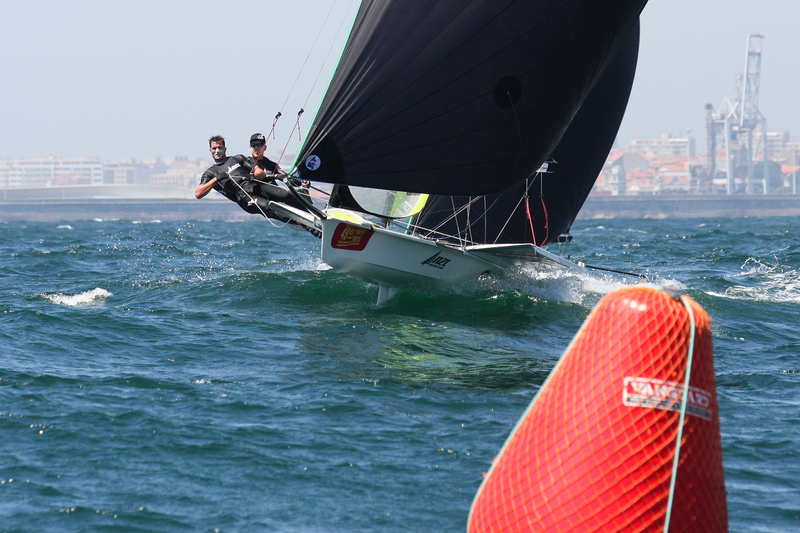 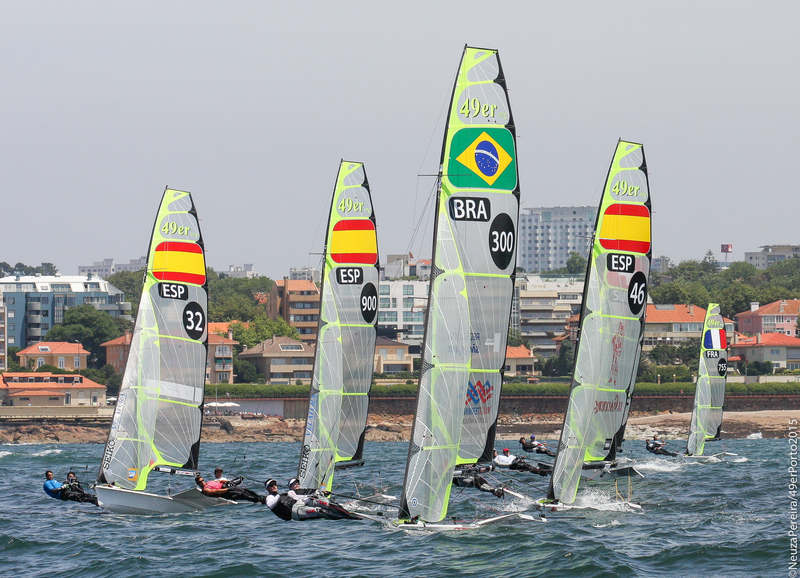 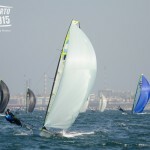 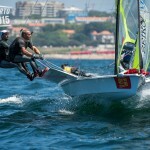 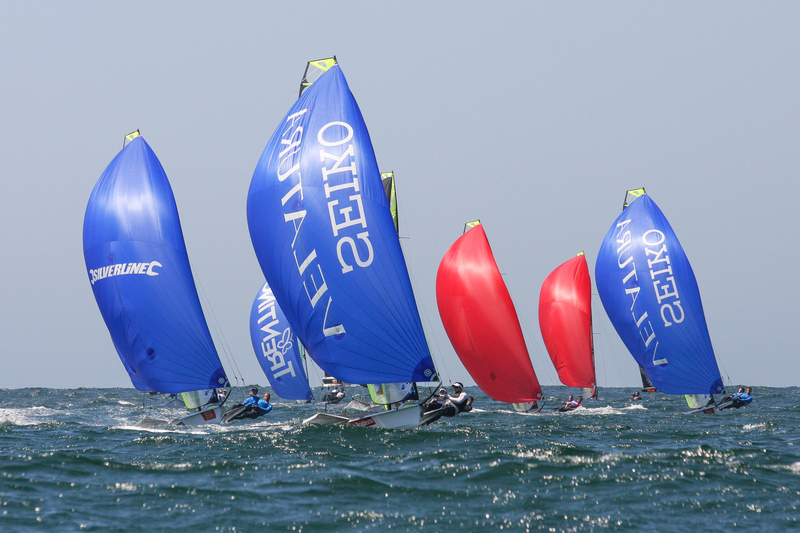 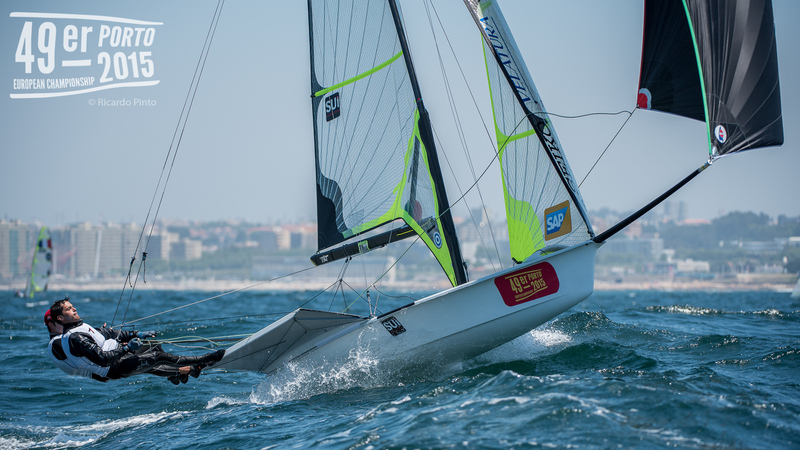 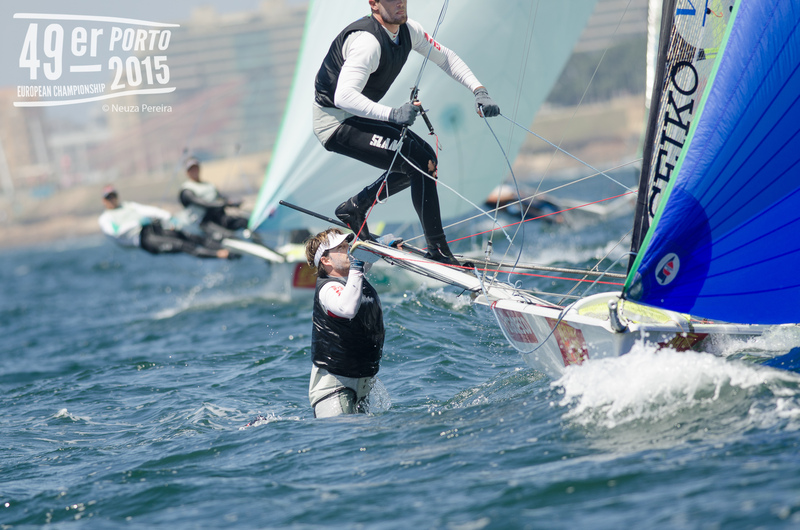 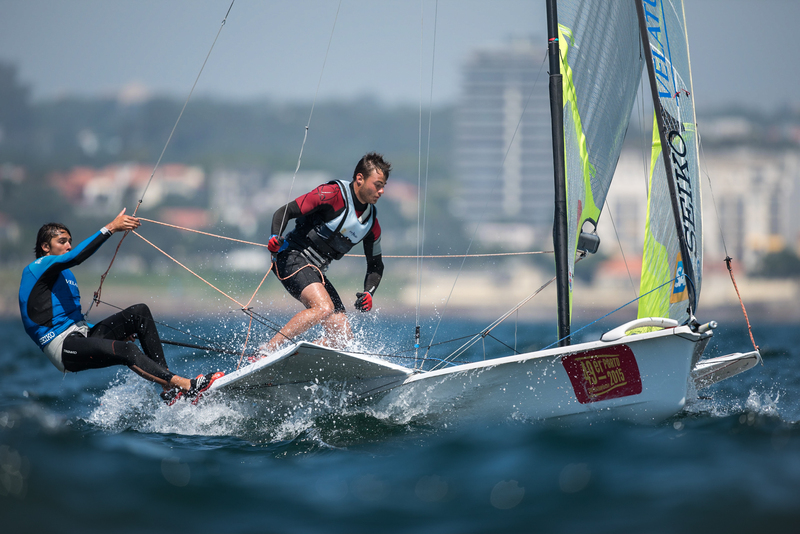 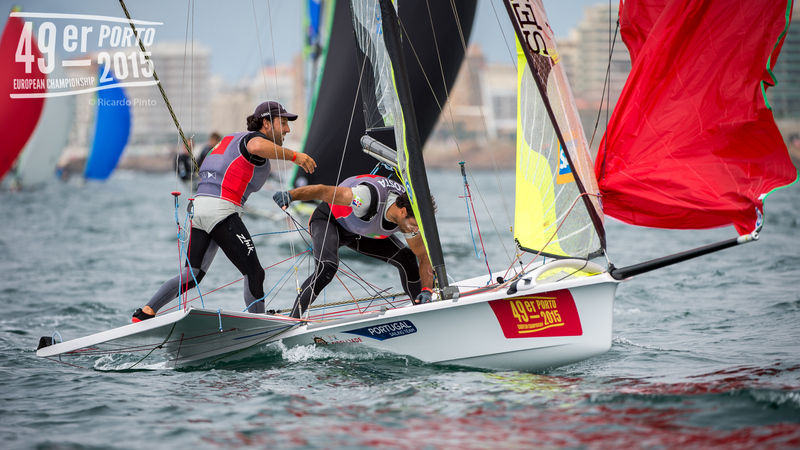 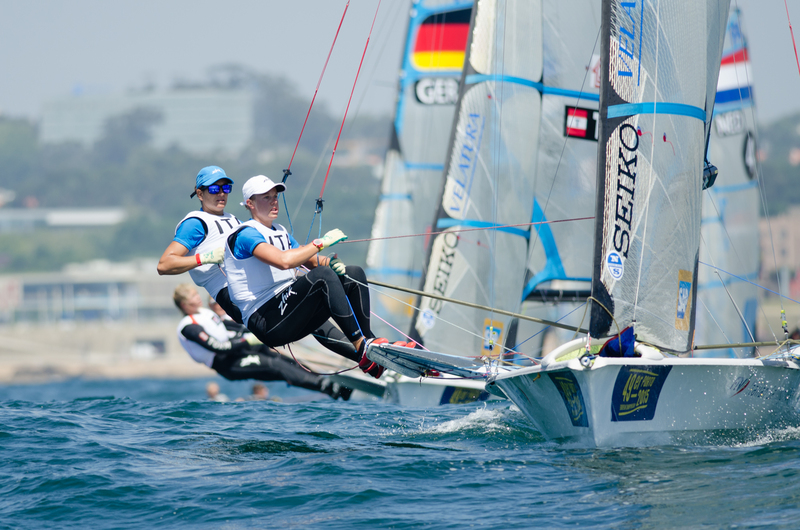 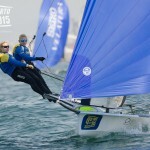 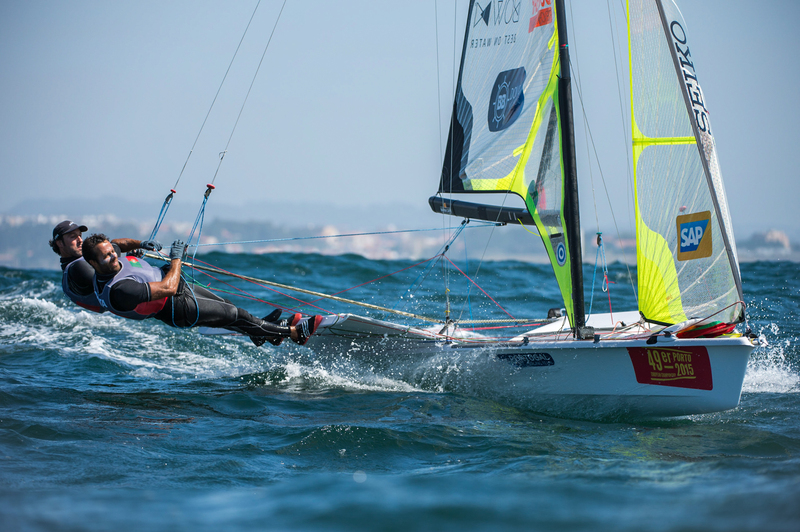 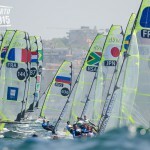 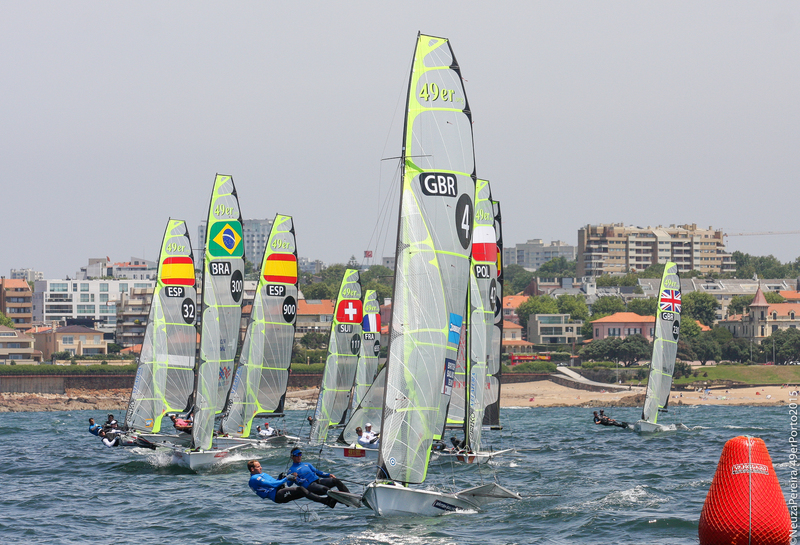 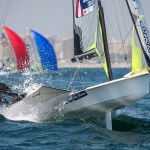 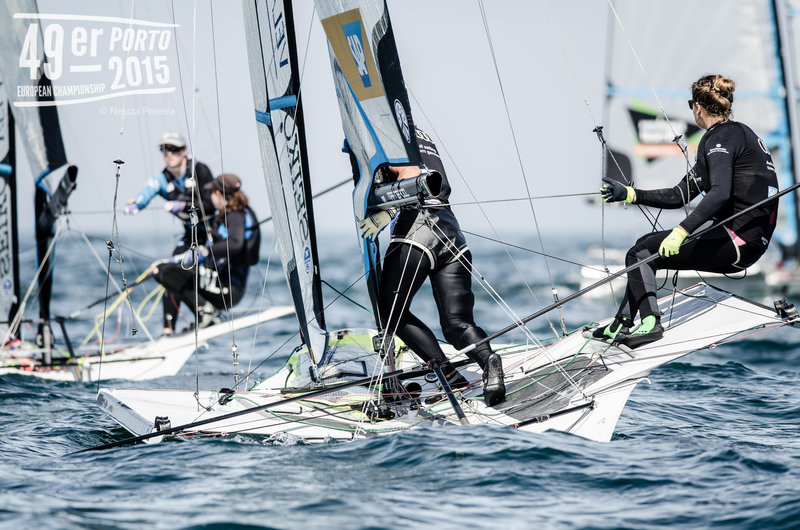 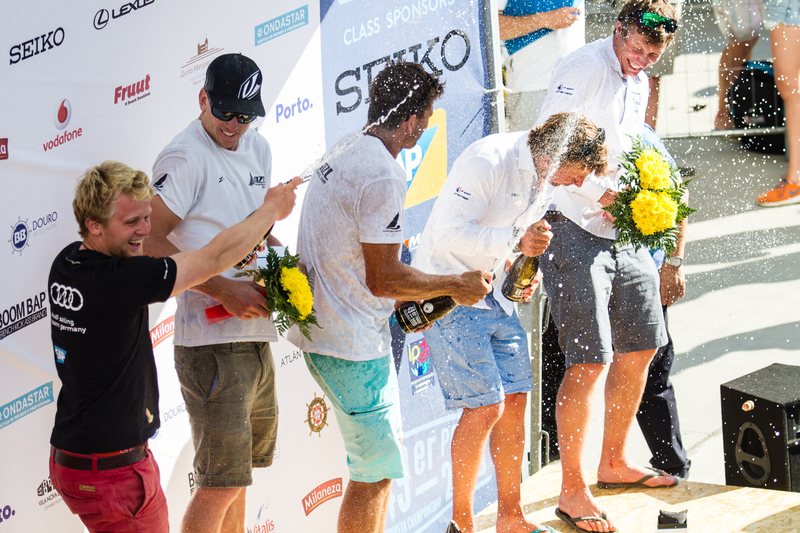 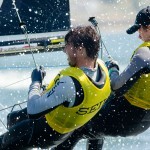 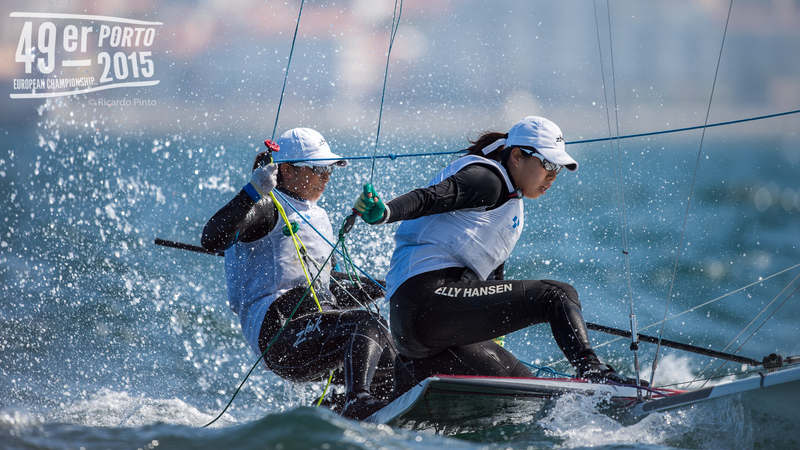 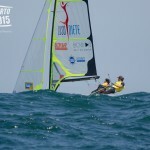 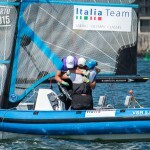 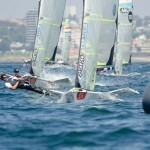 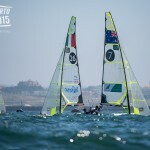 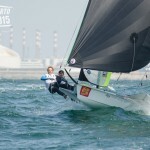 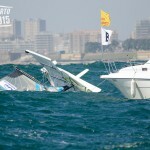 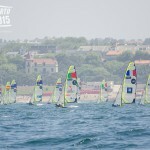 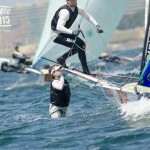 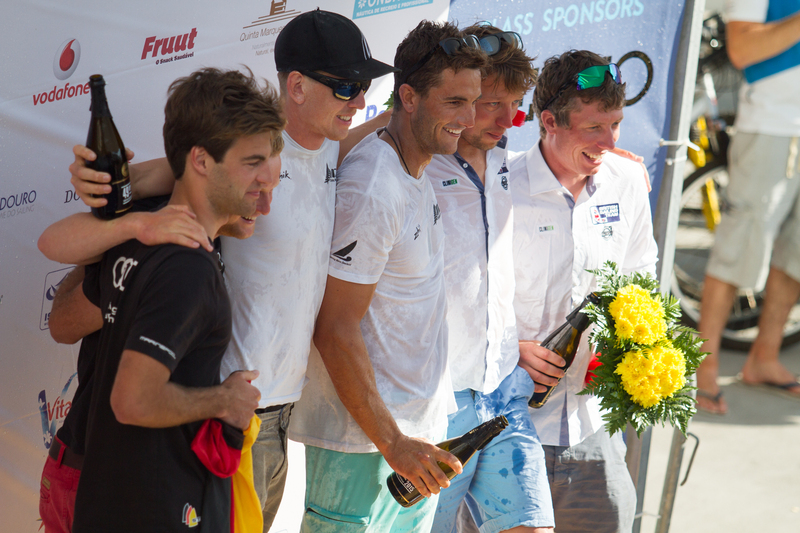 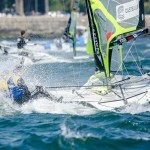 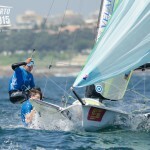 If a team splits up, who should keep the points on the ISAF Rankings?